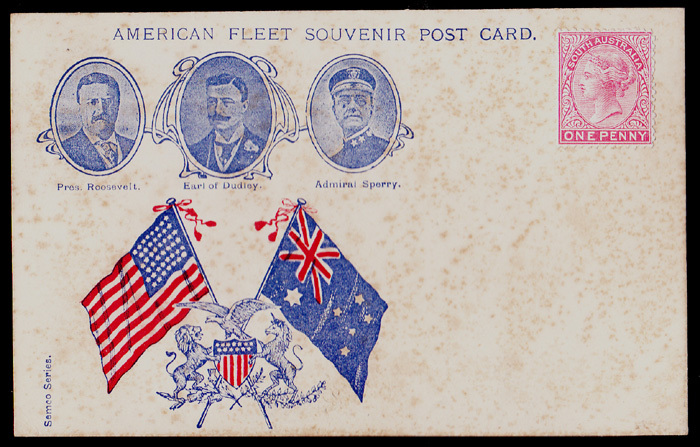 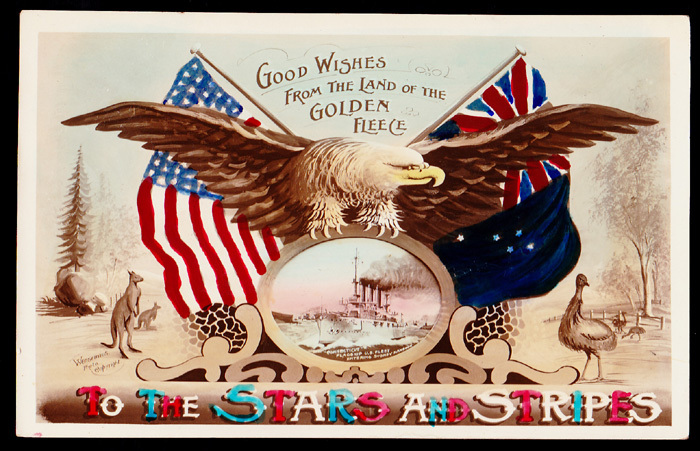 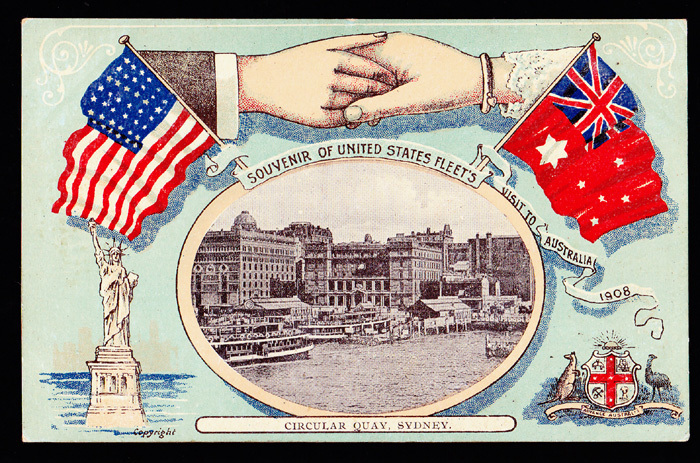 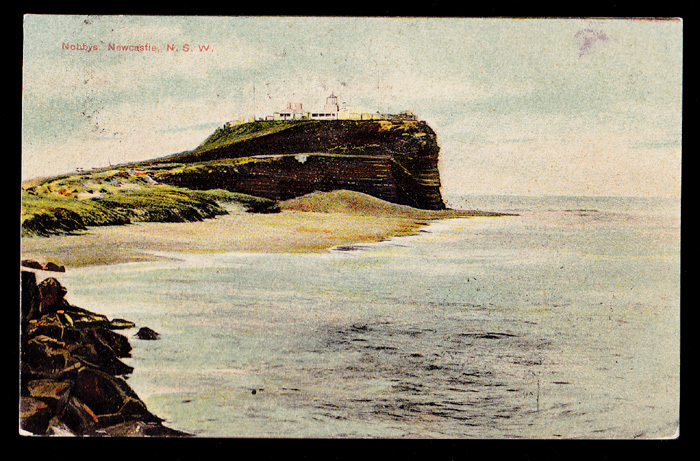 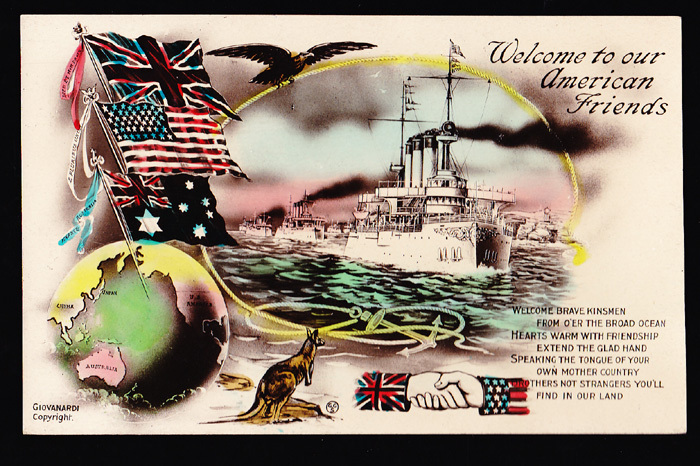 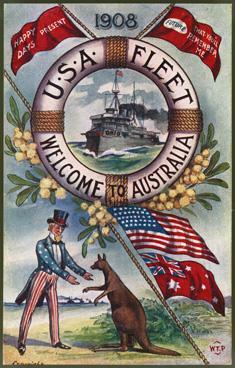 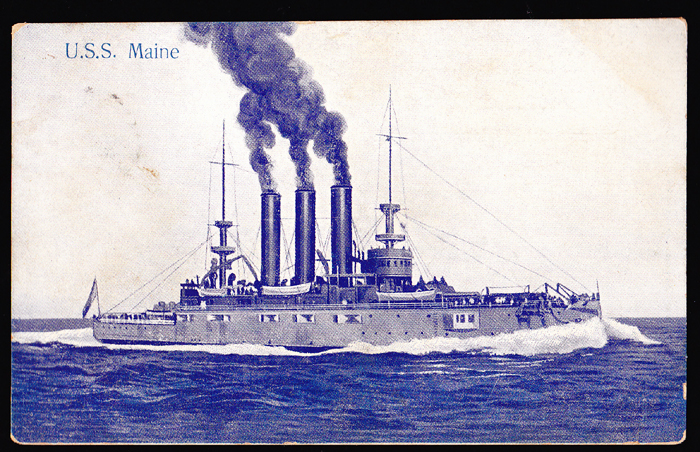 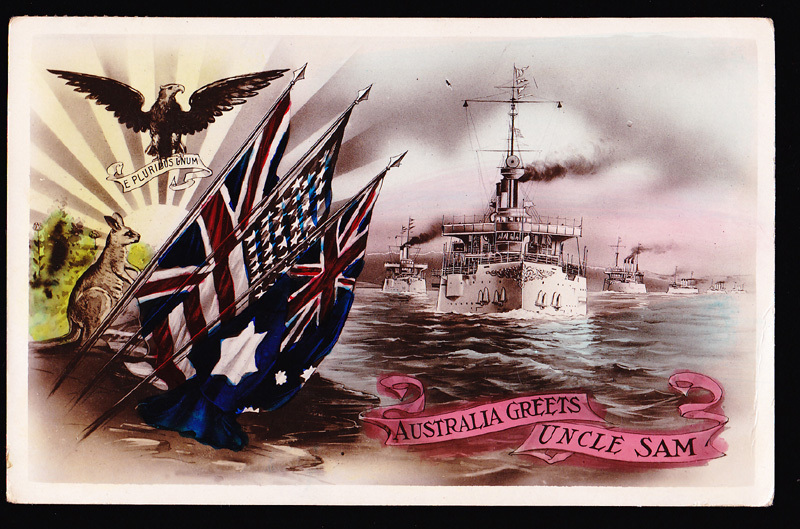 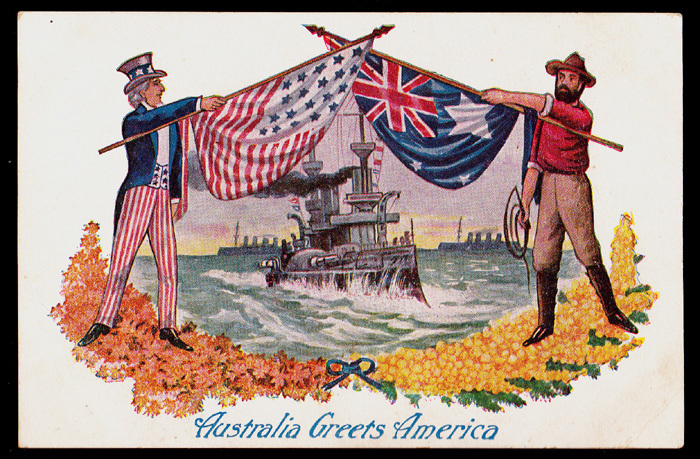 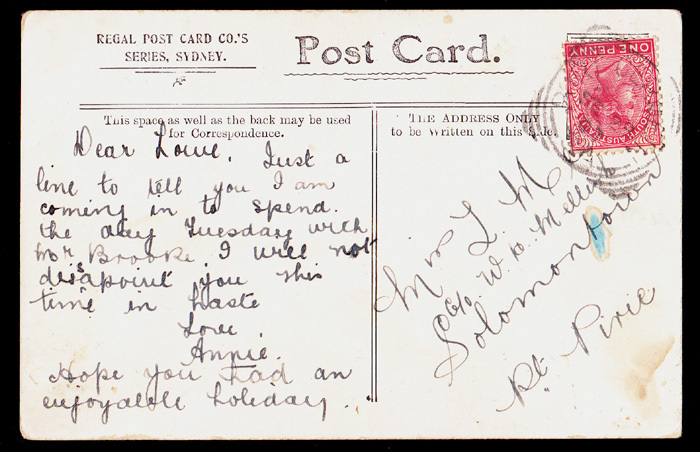 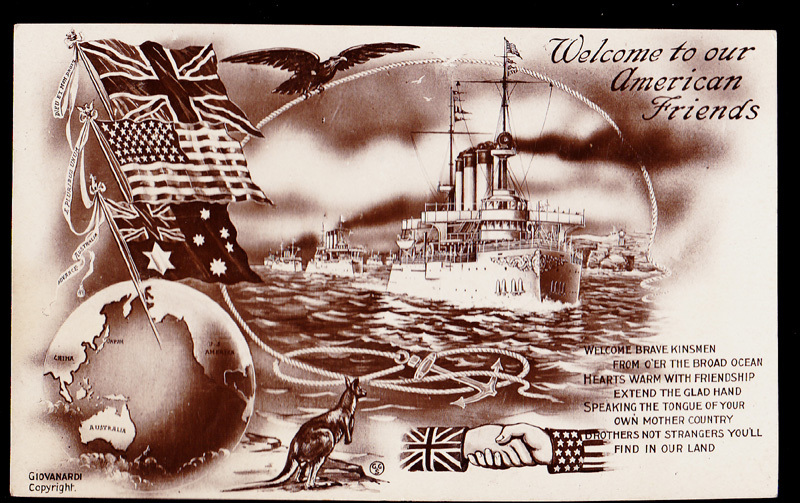 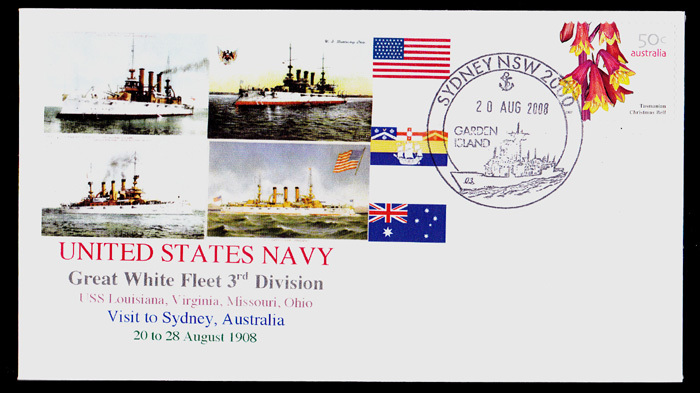 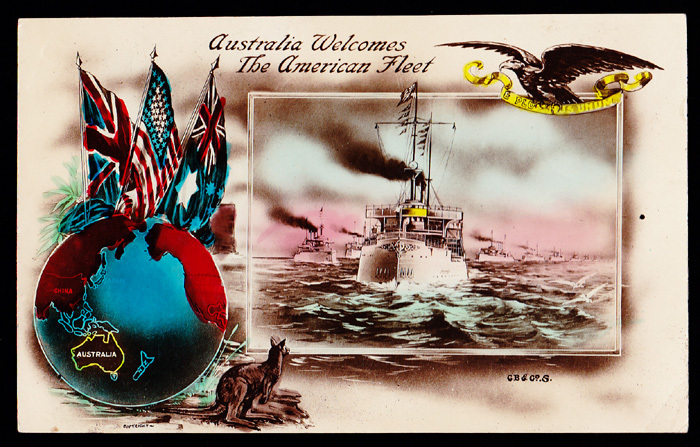 20/08/1908 "American Great White Fleet"
( Dear Emily. 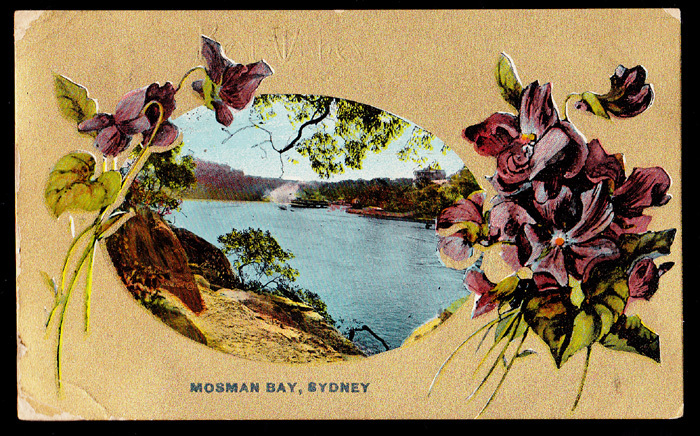 We arrived down here safely. 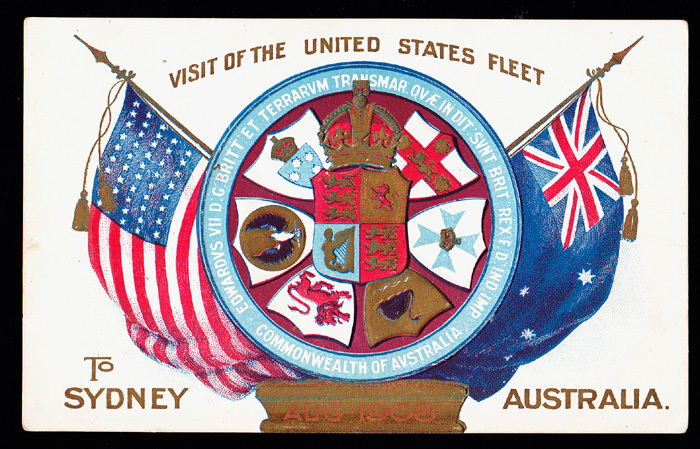 We went to Watson's Bay to see the Fleet. 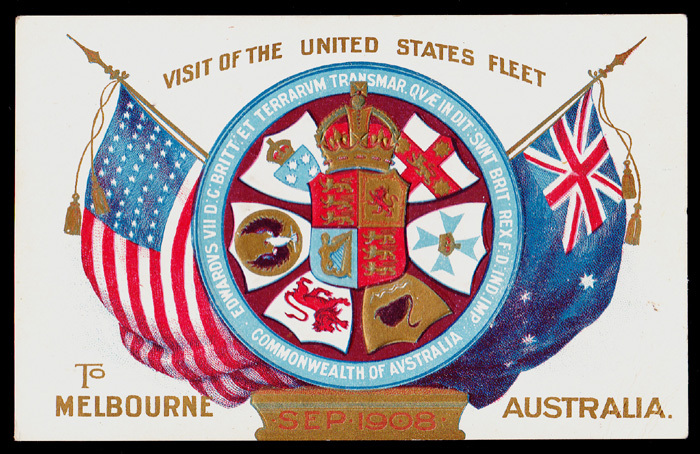 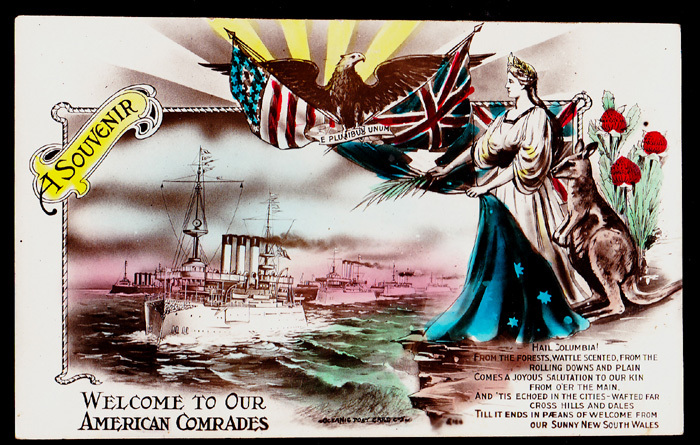 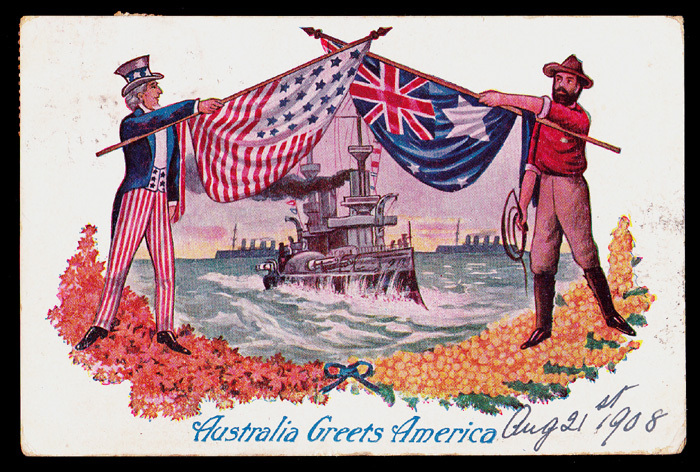 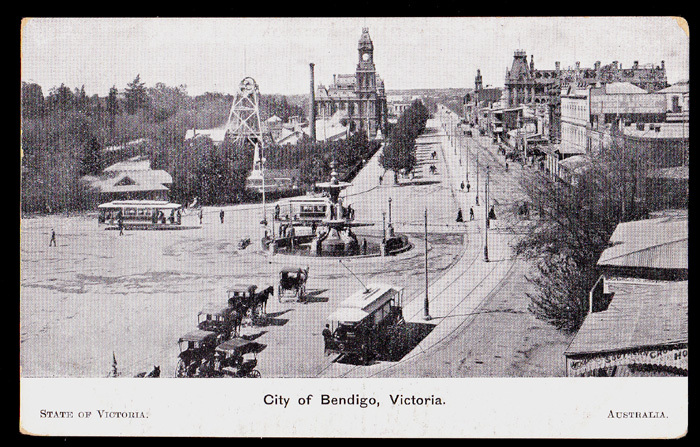 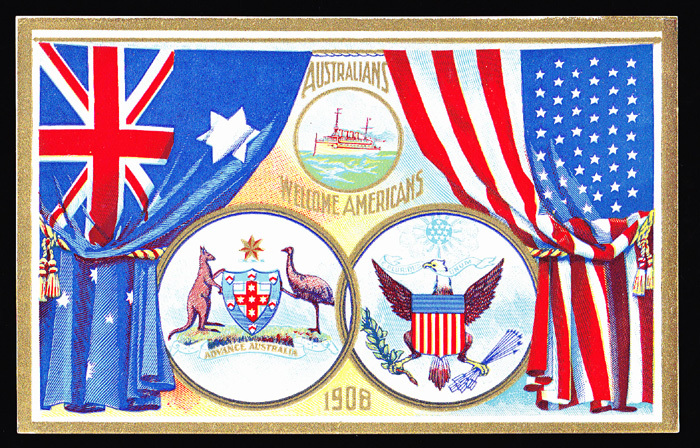 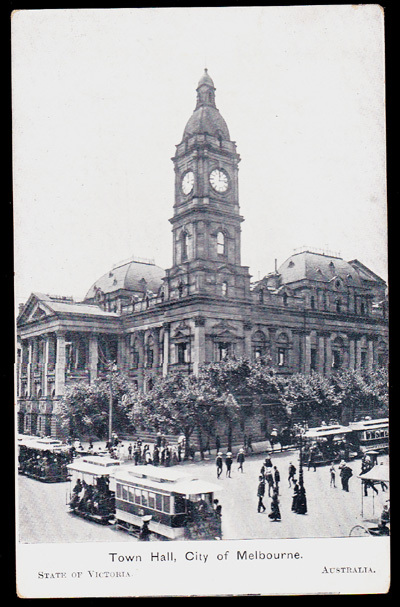 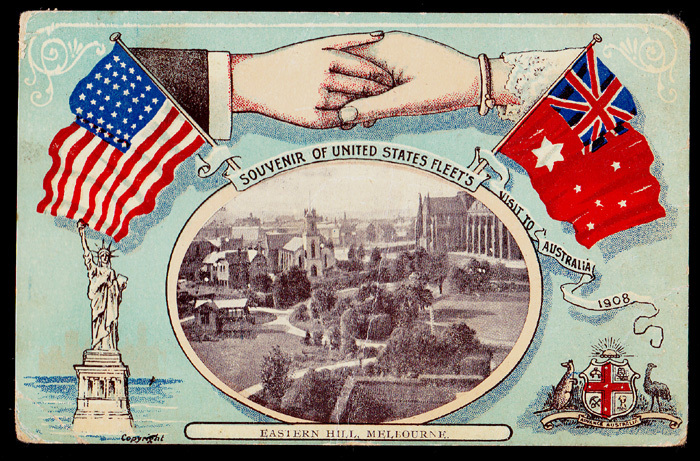 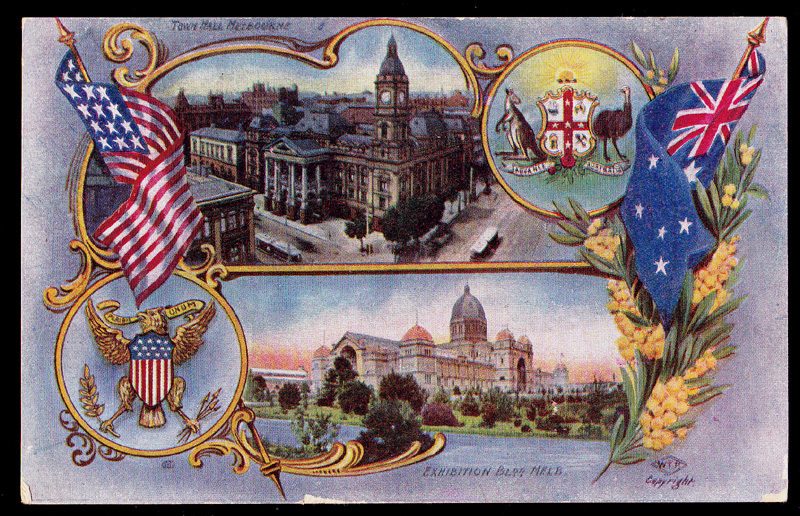 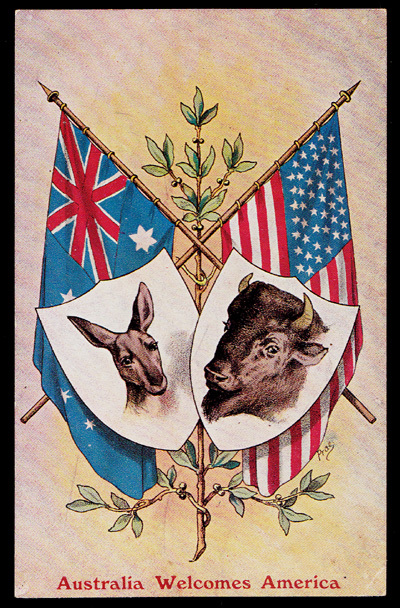 South Australia 1d Red "Second Sideface"
NSW 1d Red "Arms Shield"
21/08/1908 "American Great White Fleet"
29/08/1908 "American Great White Fleet"
31/08/1908 "American Great White Fleet"
01/09/1908 "American Great White Fleet"
03/09/1908 "American Great White Fleet"
04/09/1908 "American Great White Fleet"
08/09/1908 "American Great White Fleet"
11/09/1908 "American Great White Fleet"
Western Australia 1d Red "Swan"
16/09/1908 "American Great White Fleet"
Queensland 1d Red "Fourth Sideface"
"Great White Fleet Visit To Sydney 1908"
Censored Mail via "California Clipper"
No.3 Australia L of C.P.U. 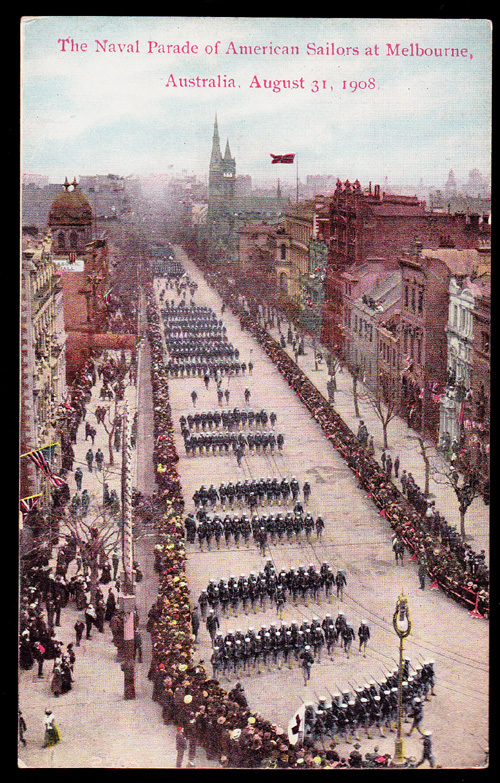 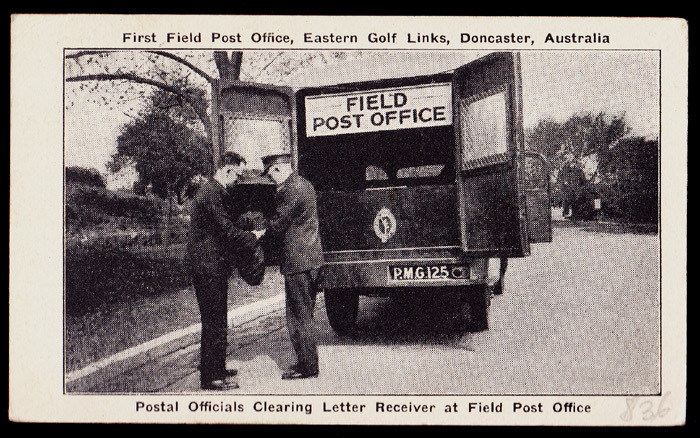 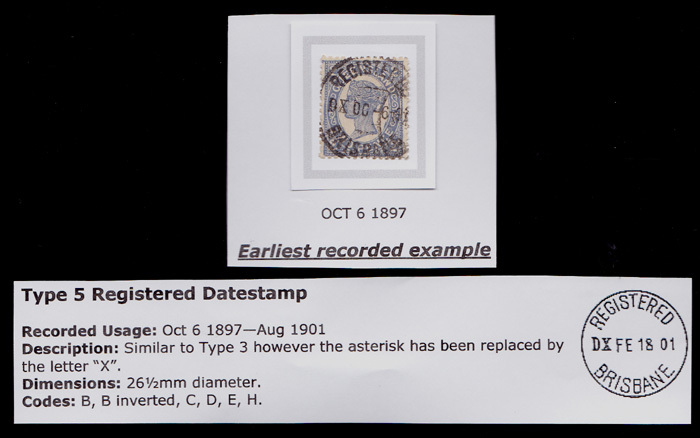 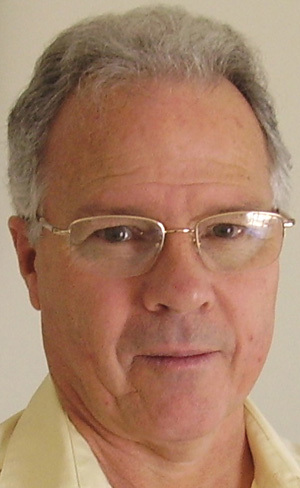 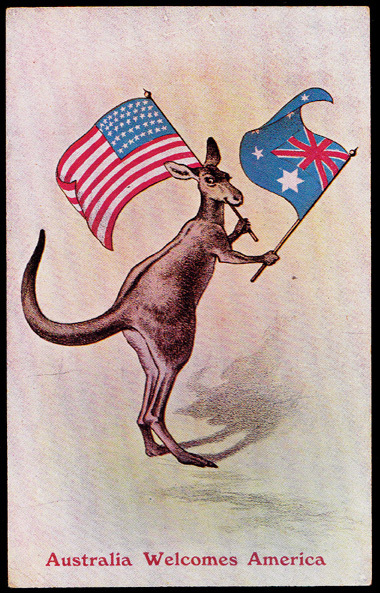 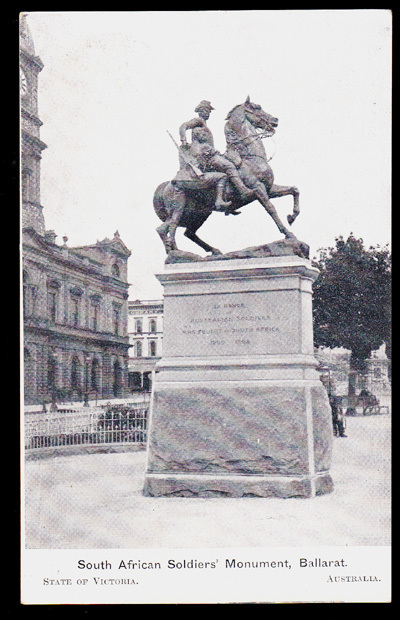 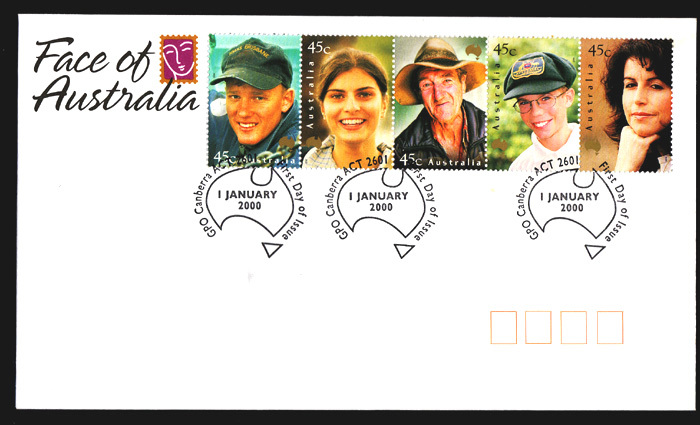 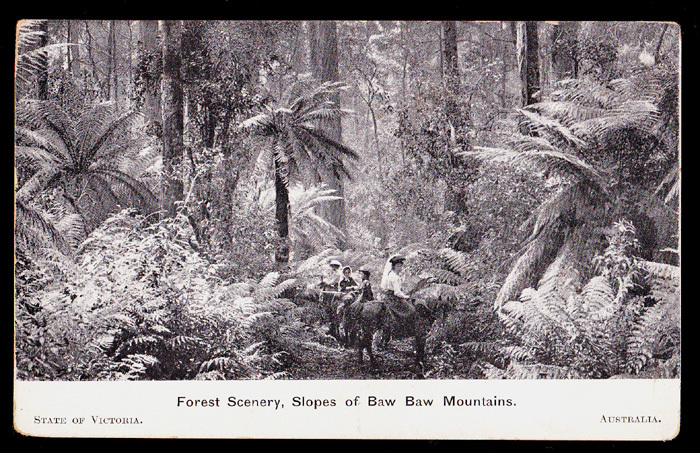 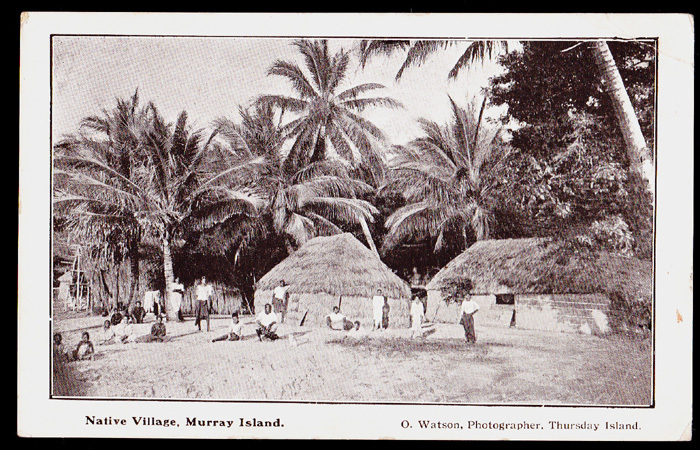 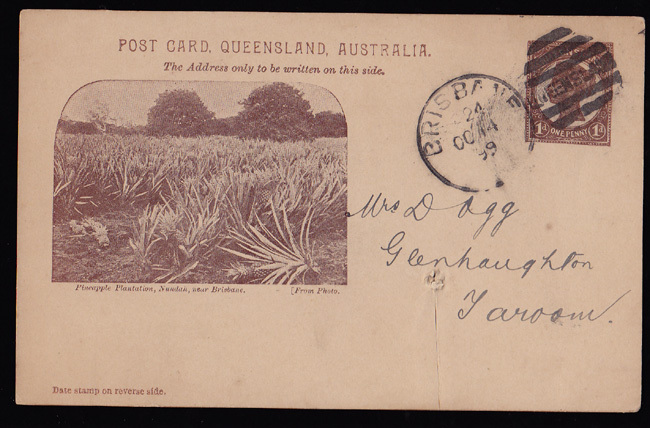 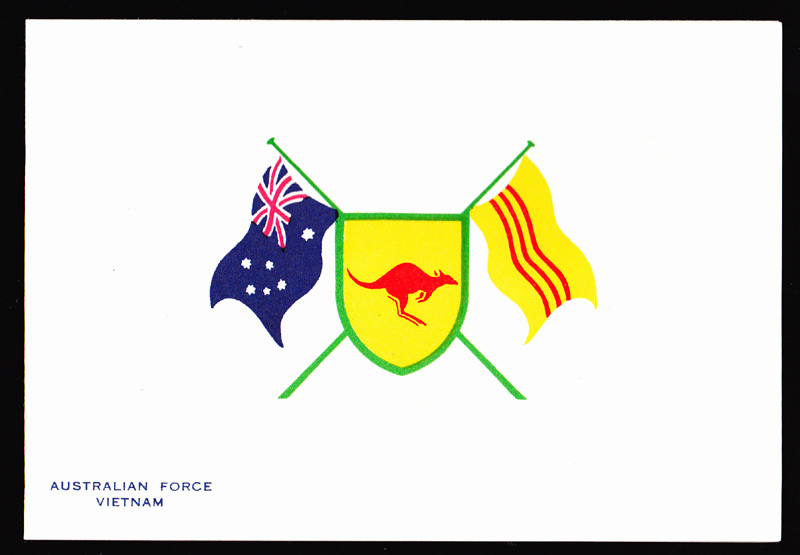 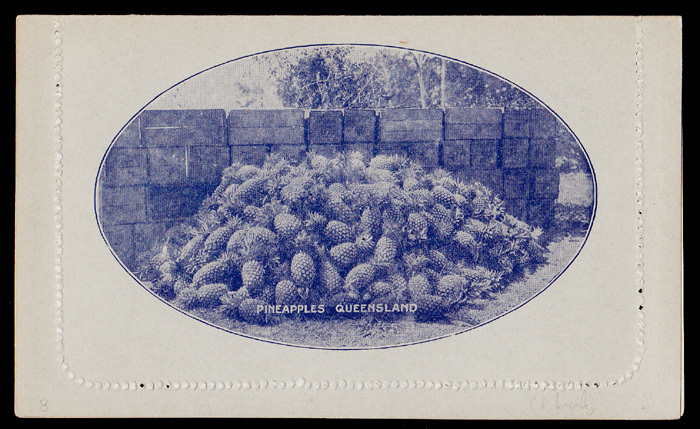 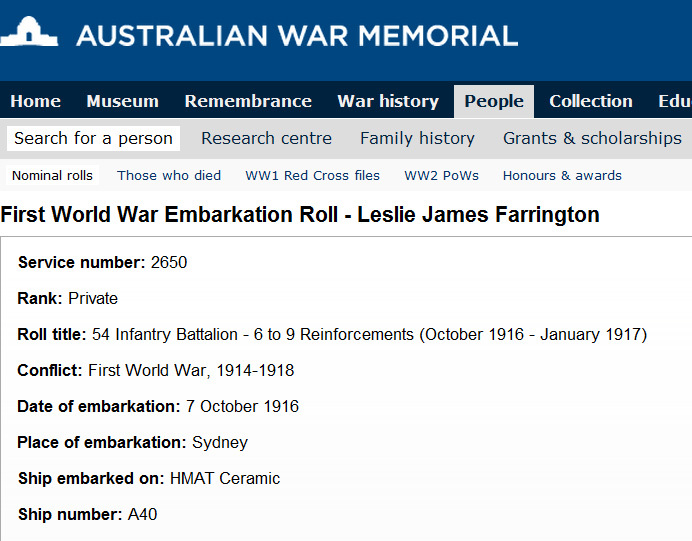 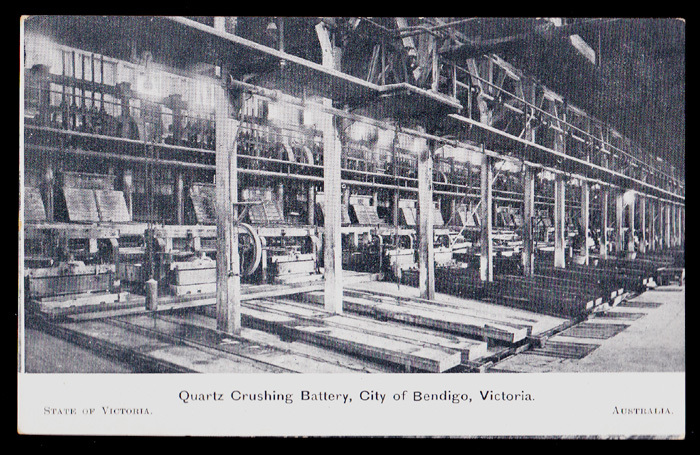 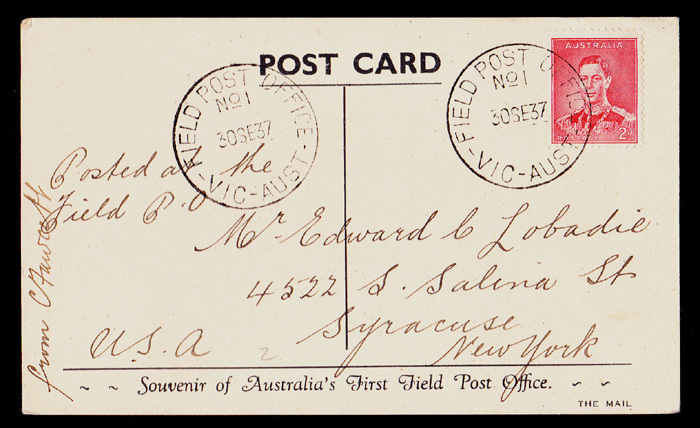 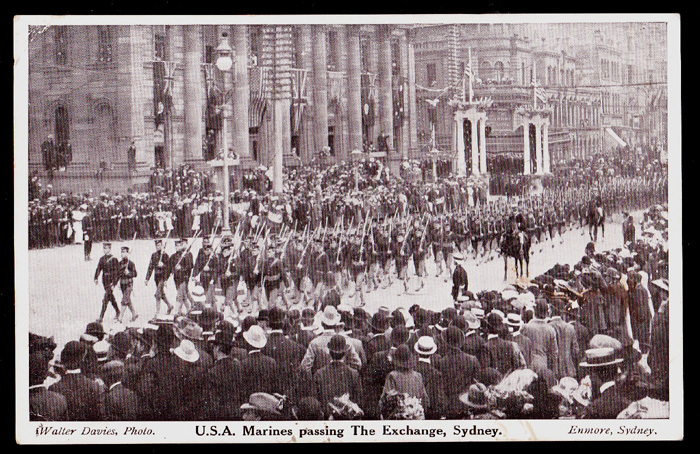 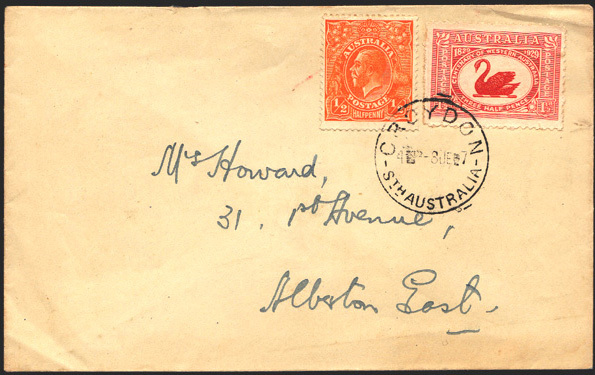 No.1 Australia L of C.P.U. 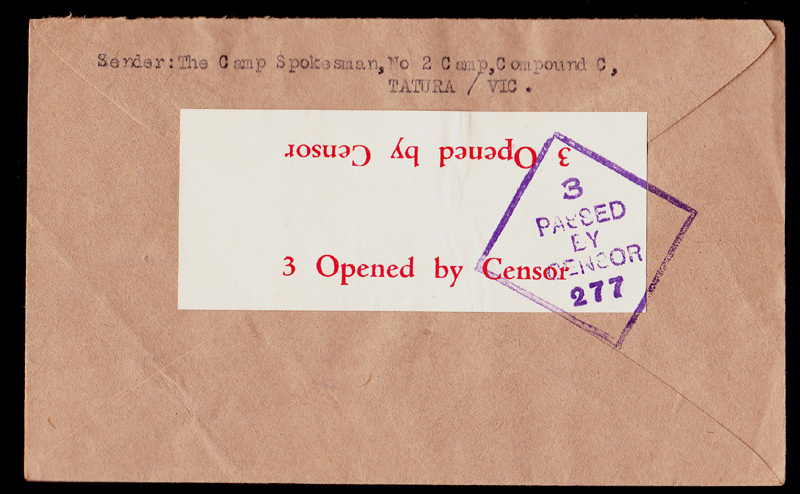 Diamond 3 "Passed By Censor" violet h/s. 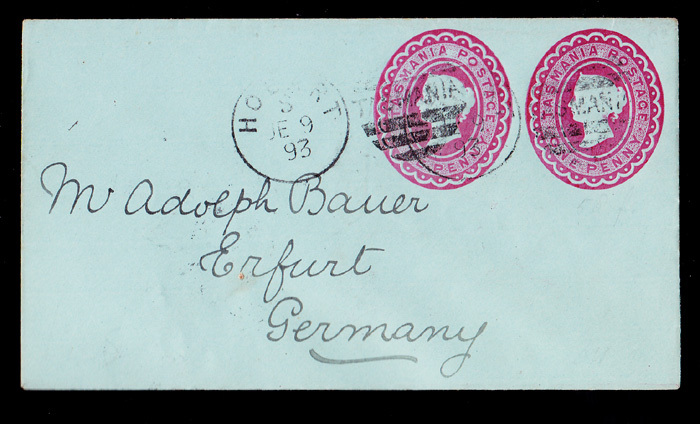 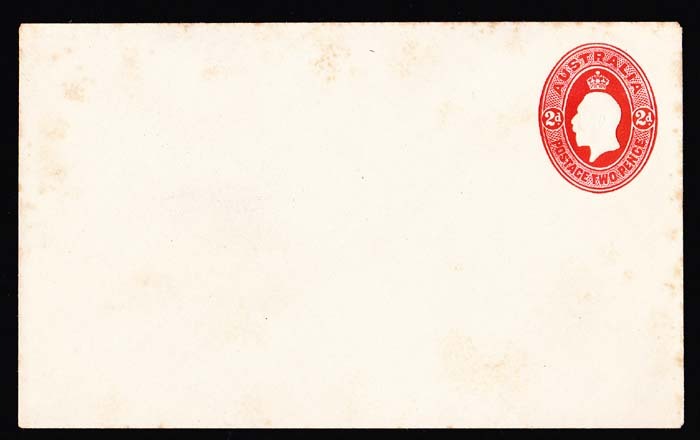 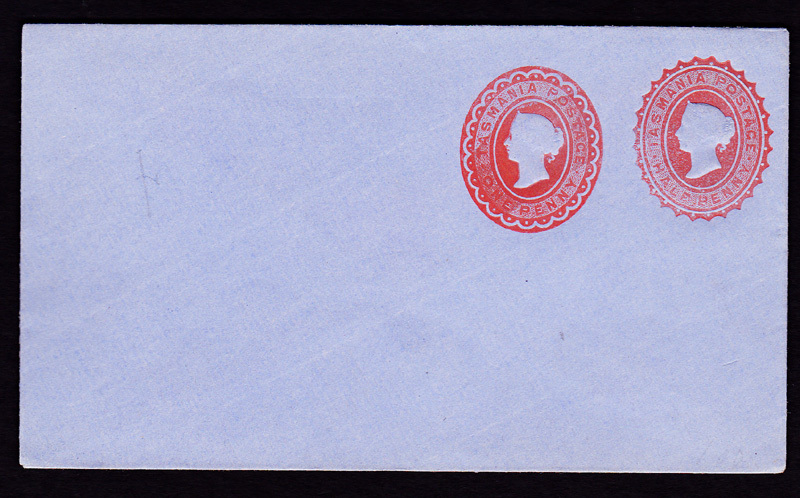 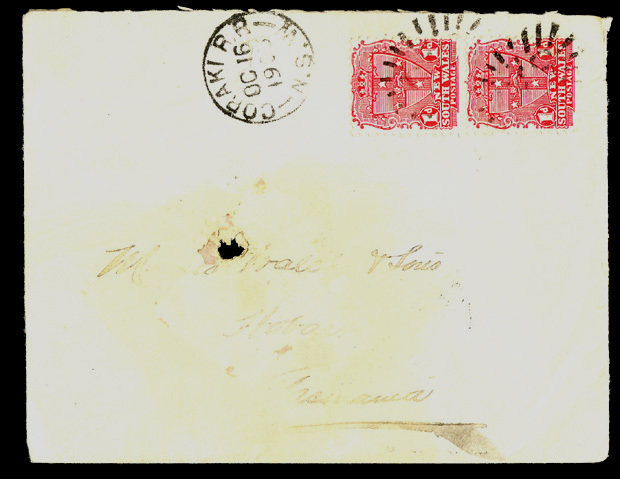 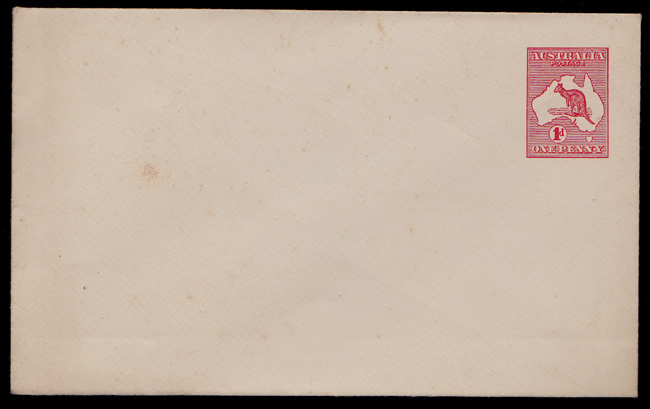 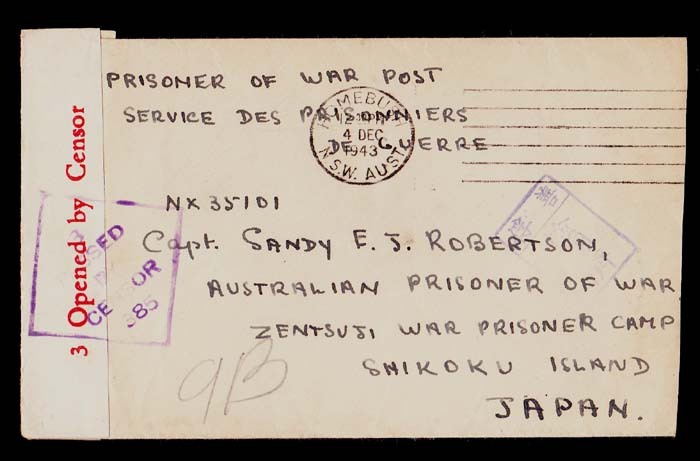 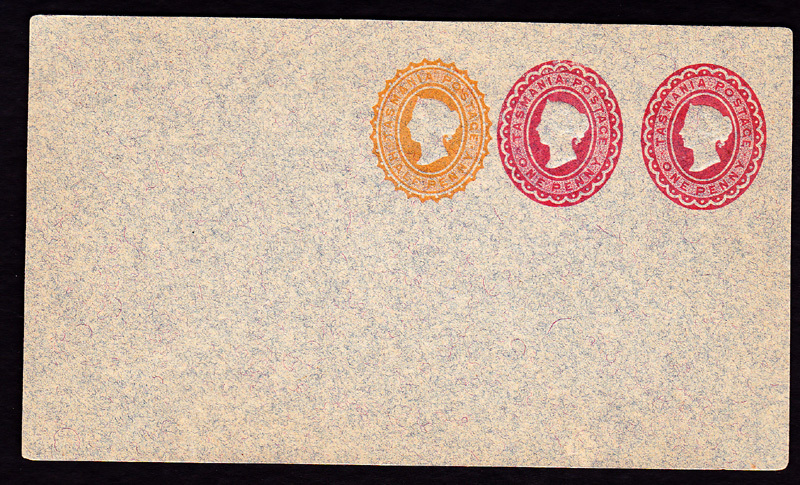 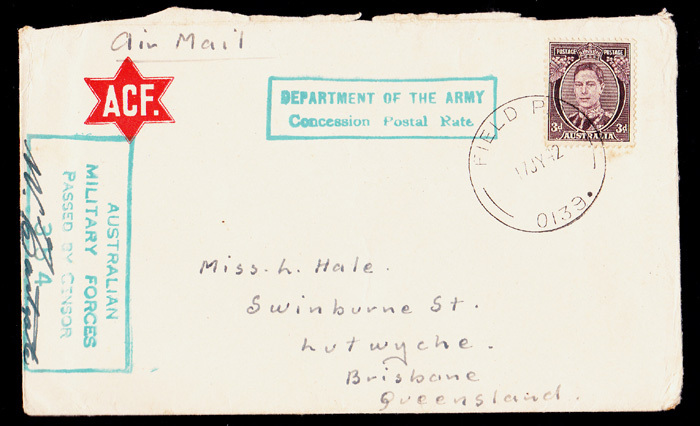 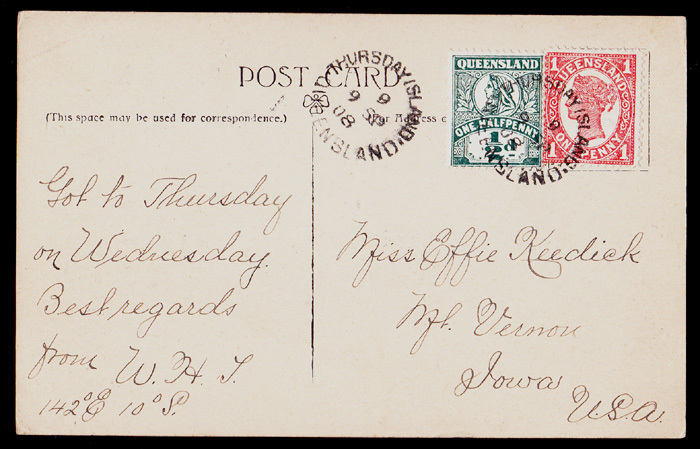 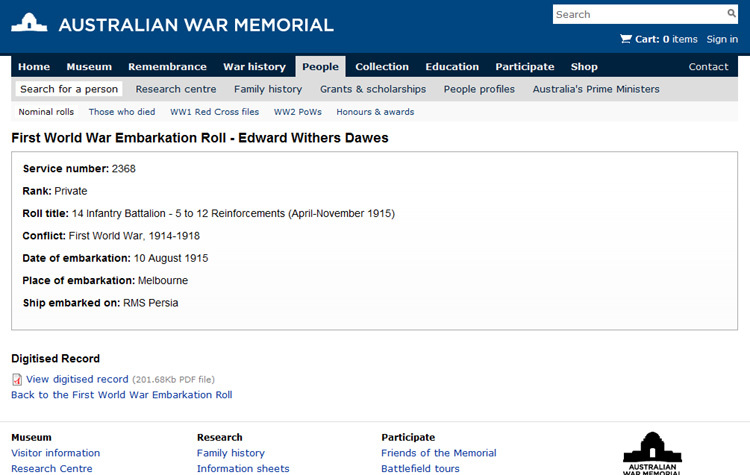 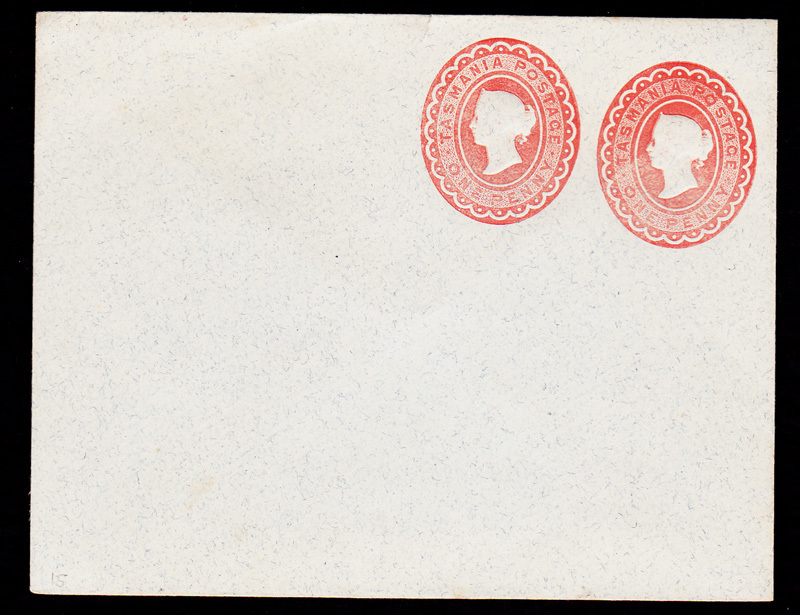 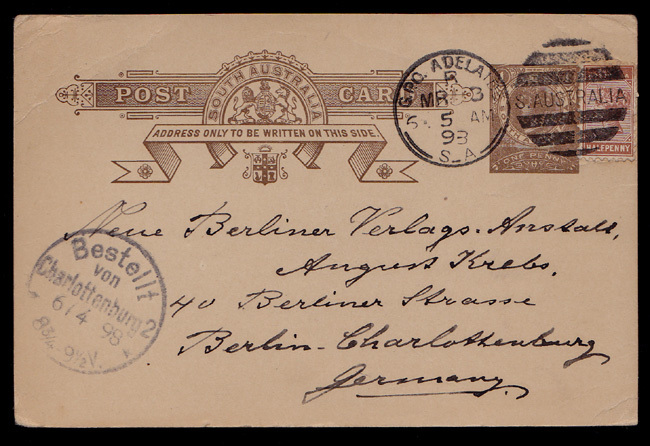 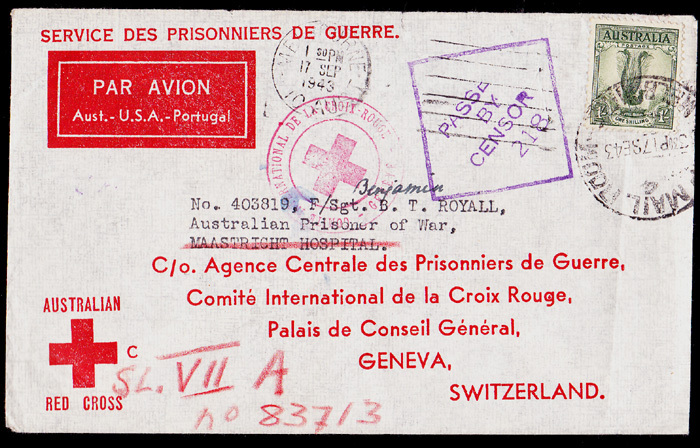 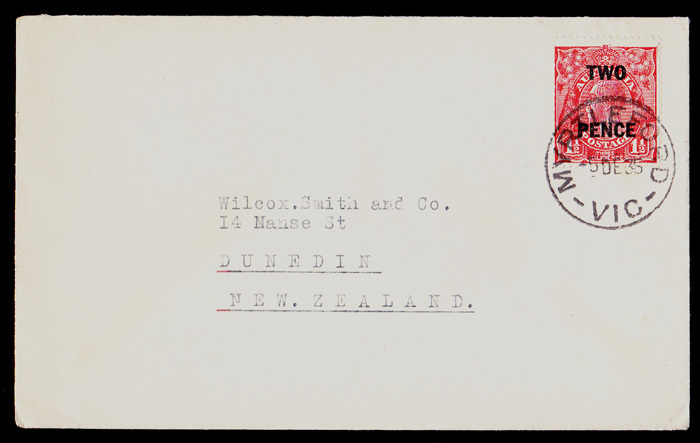 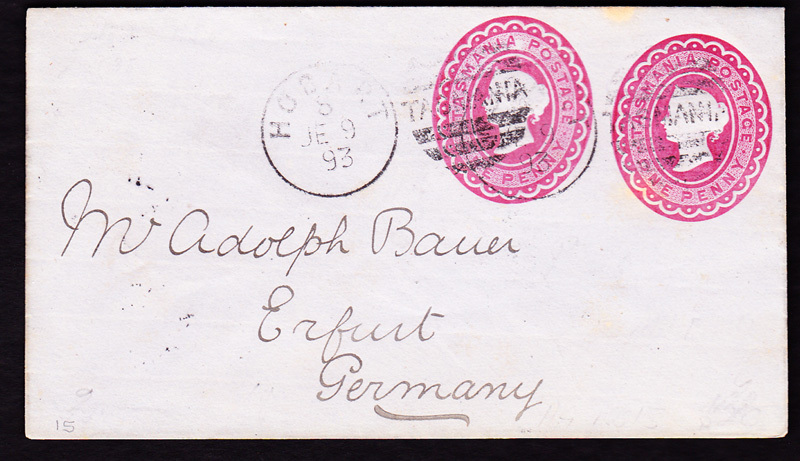 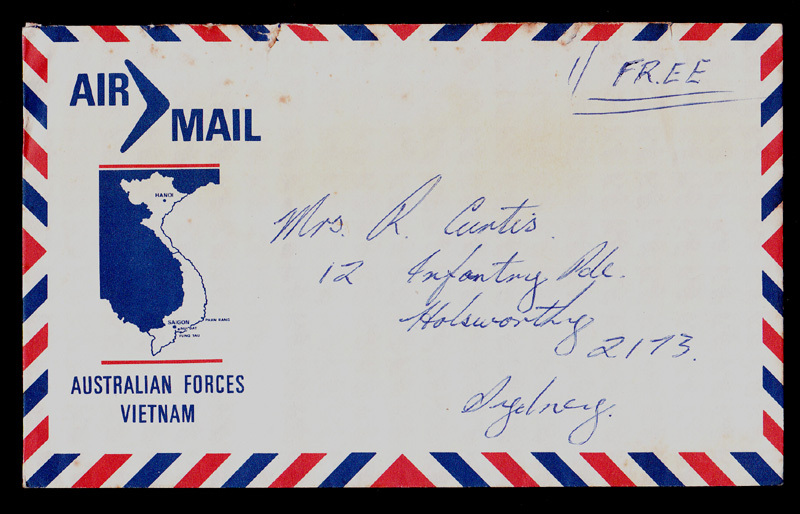 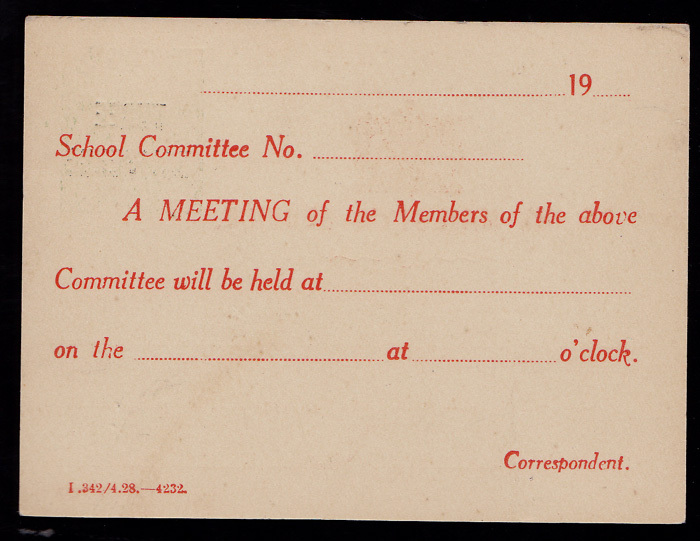 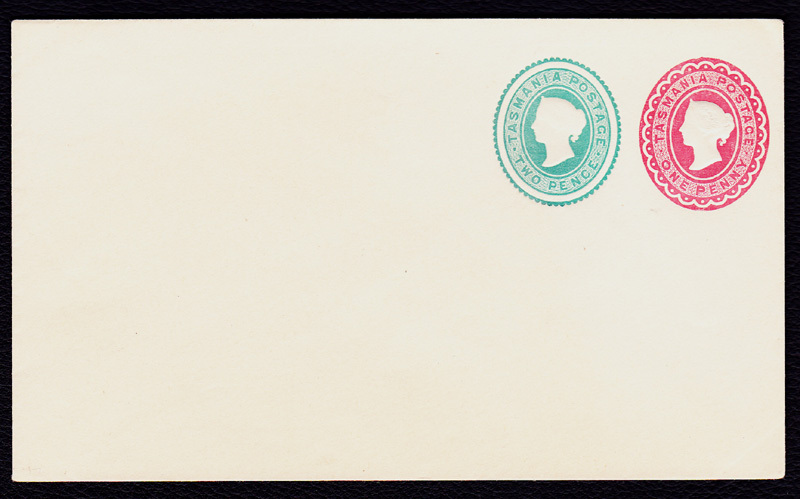 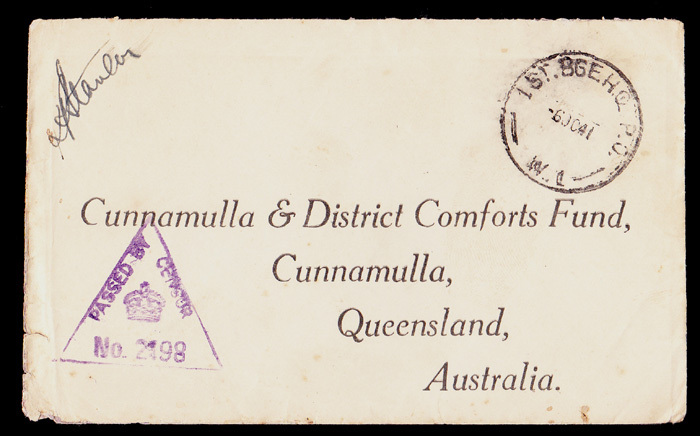 5/- Queen Elizabeth "Coronation Robes Definitive"
Passed by Censor red circular h/s"
Kure, RN Barracks, Japan .. No8 AUST BASE P.O. 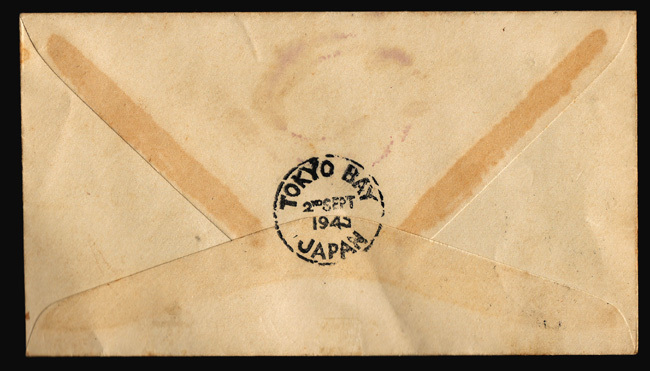 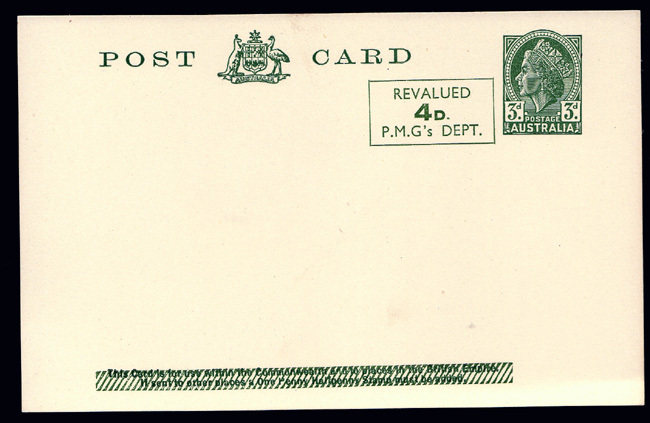 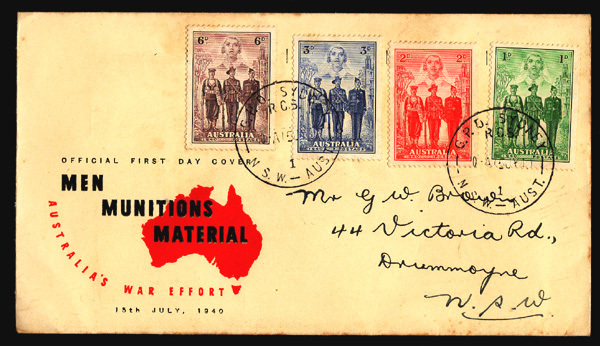 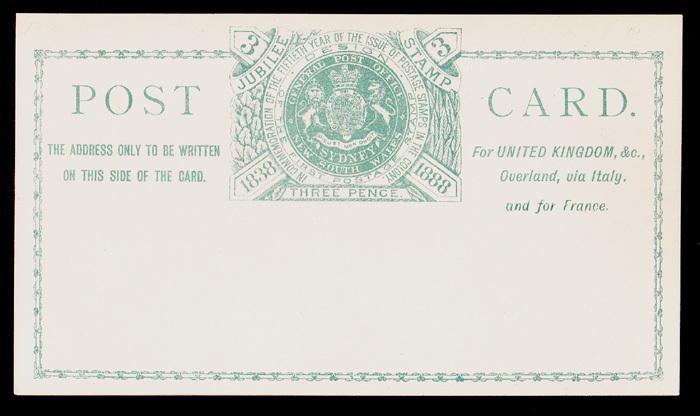 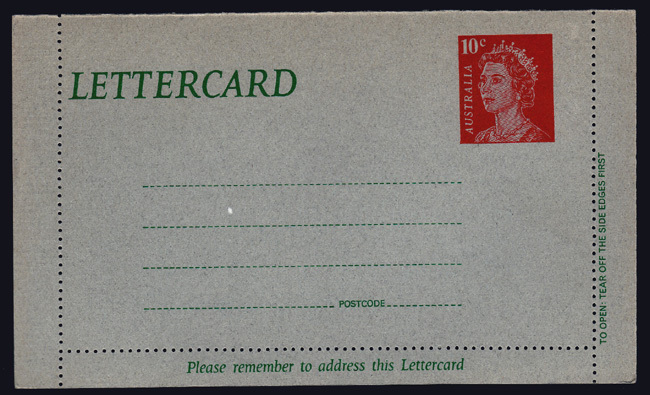 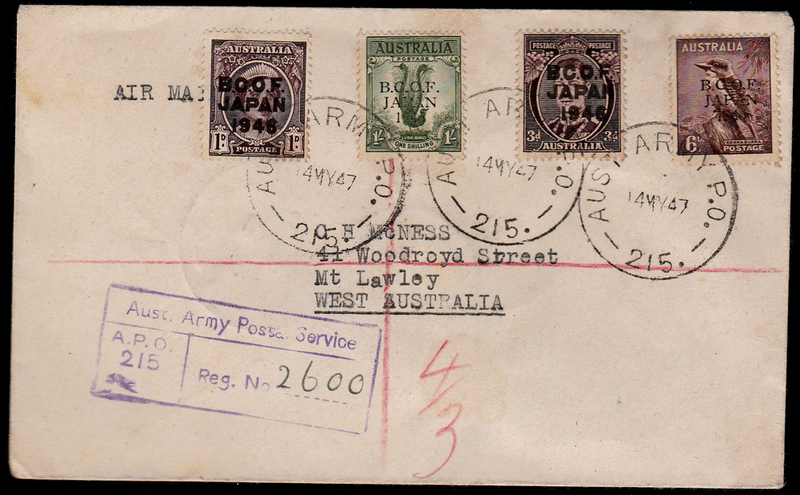 3d King George "Overprinted B.C.O.F JAPAN 1946"
1/-..6d..3d..1d "Overprinted B.C.O.F JAPAN 1946"
1/- Lyrebird Green .. Block of Six "Overprinted"
"Defence Forces Air Letter Sheet"
(because of the effects of the climate in South Vietnam) meant that most were destroyed. 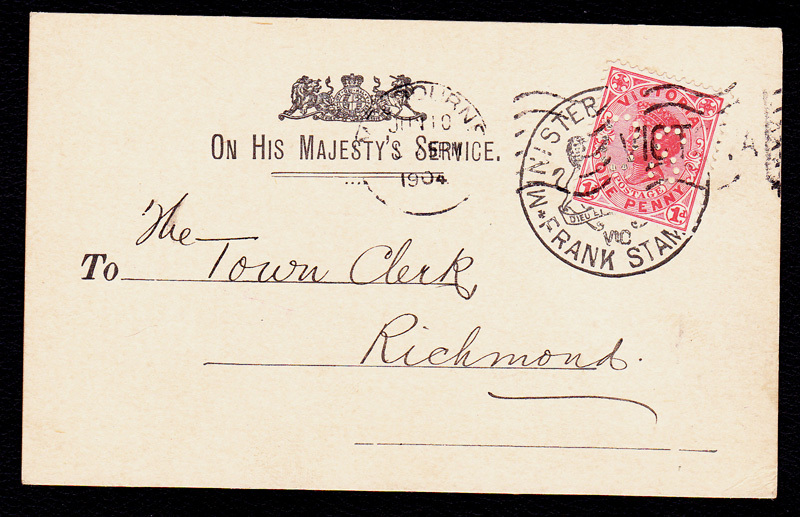 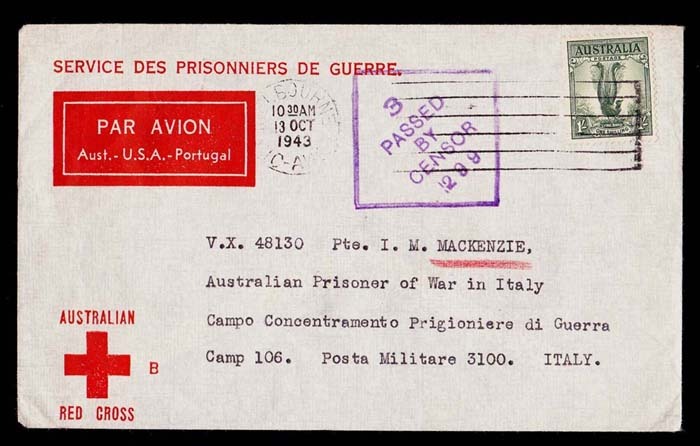 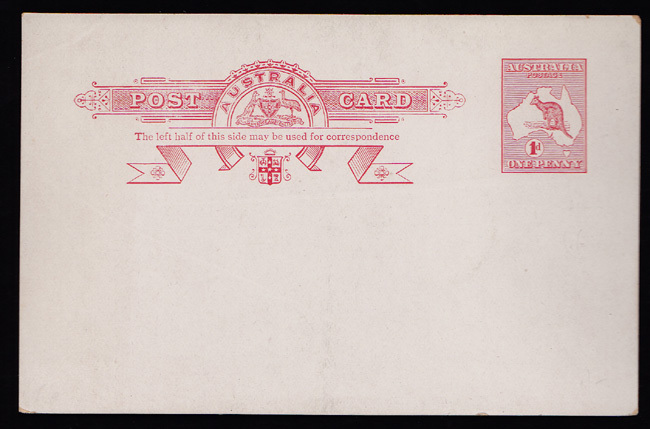 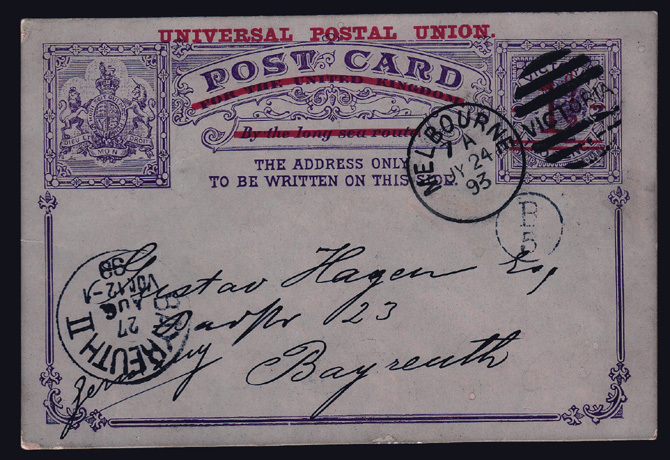 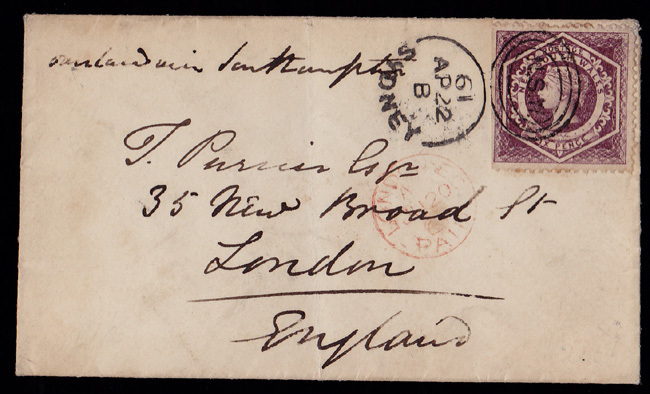 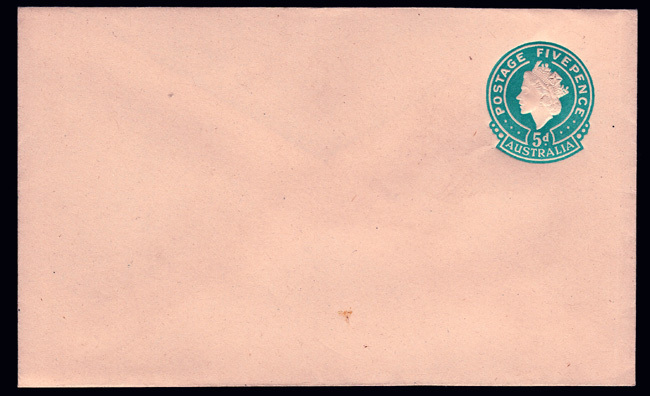 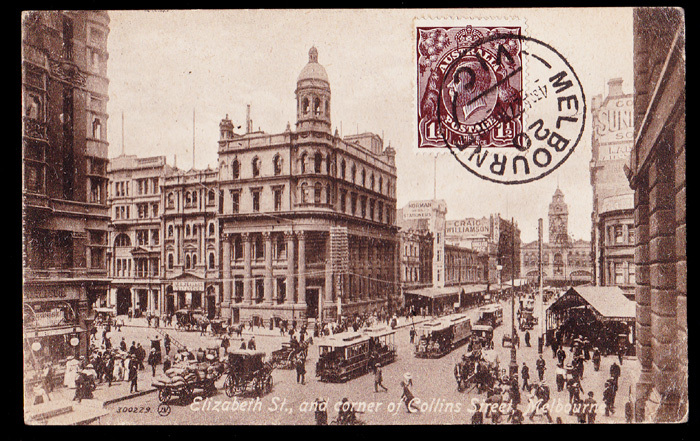 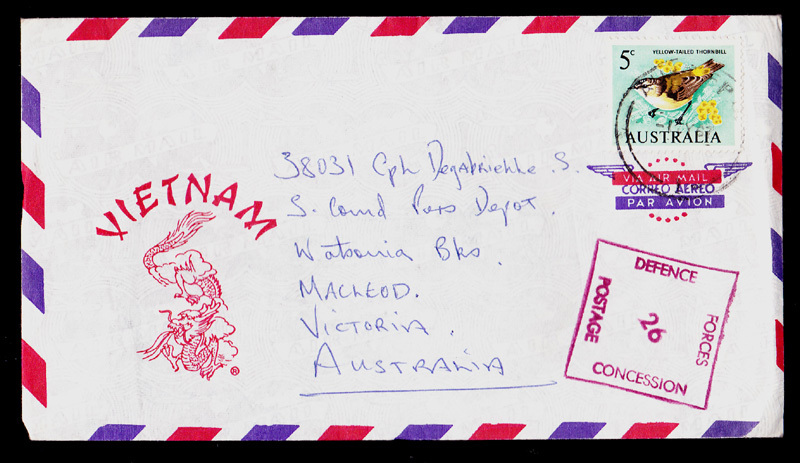 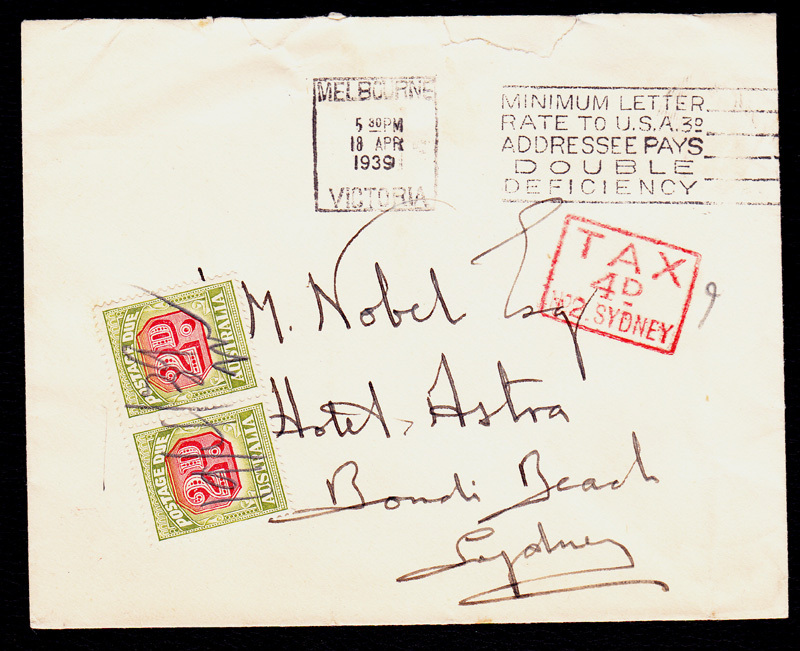 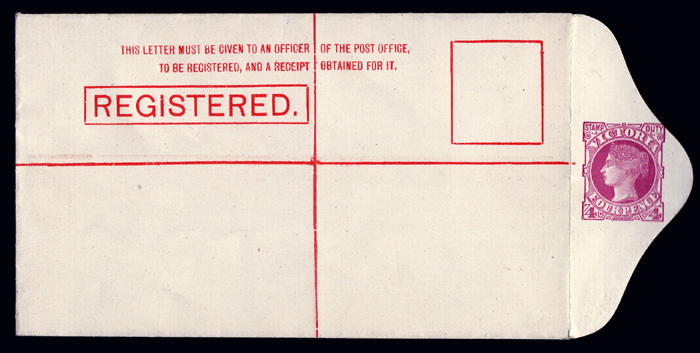 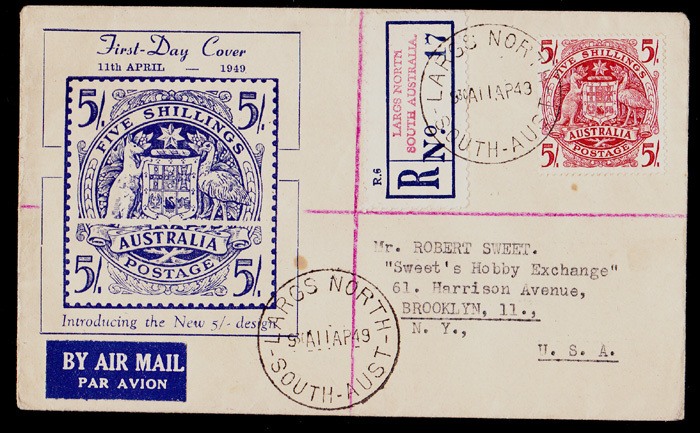 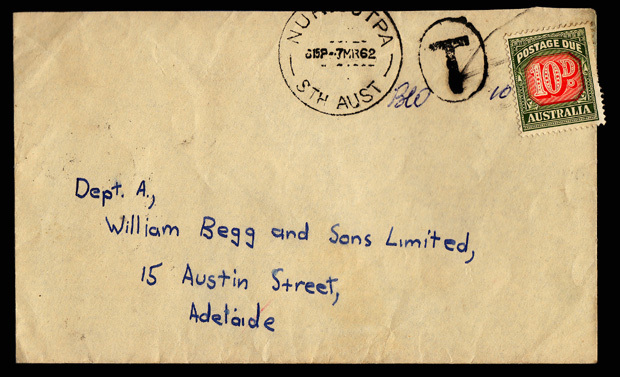 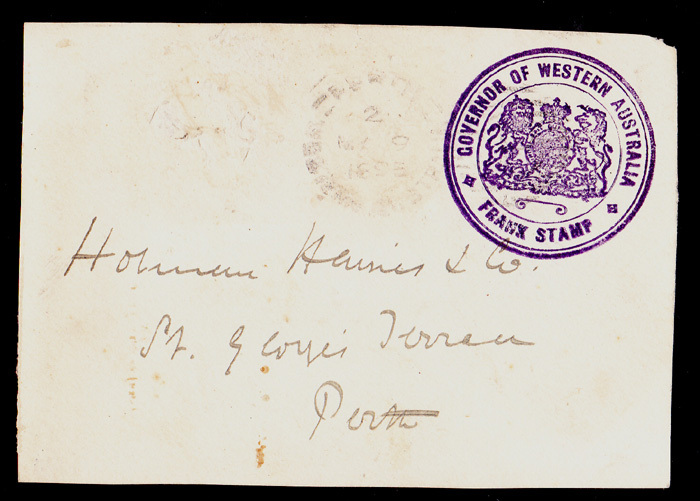 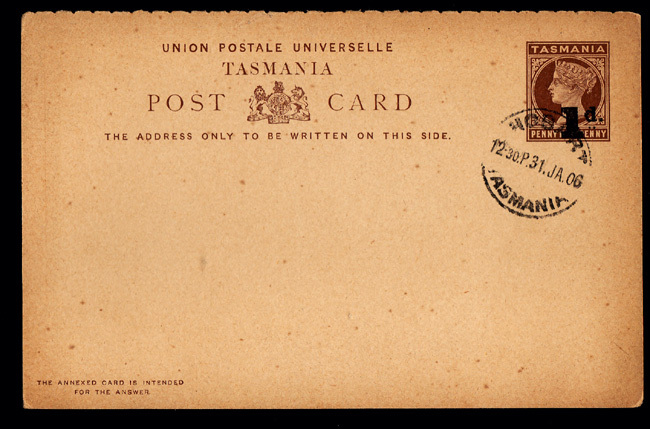 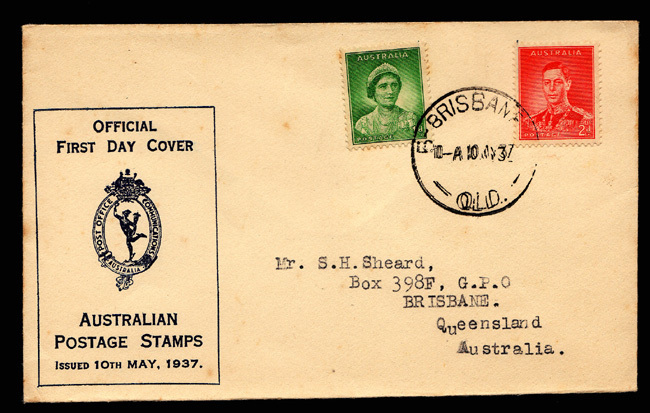 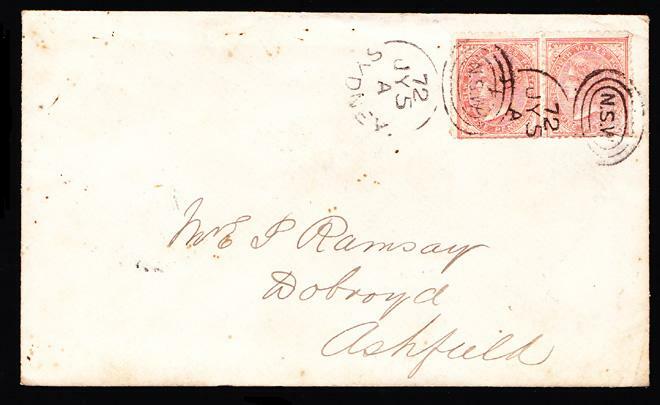 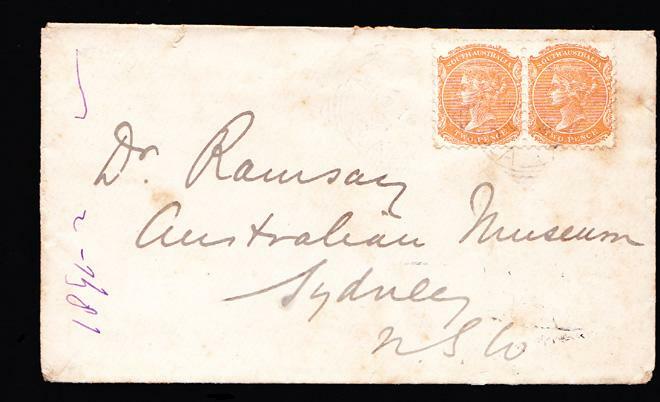 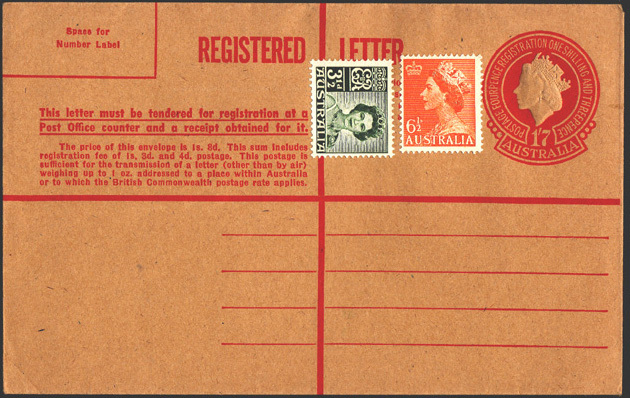 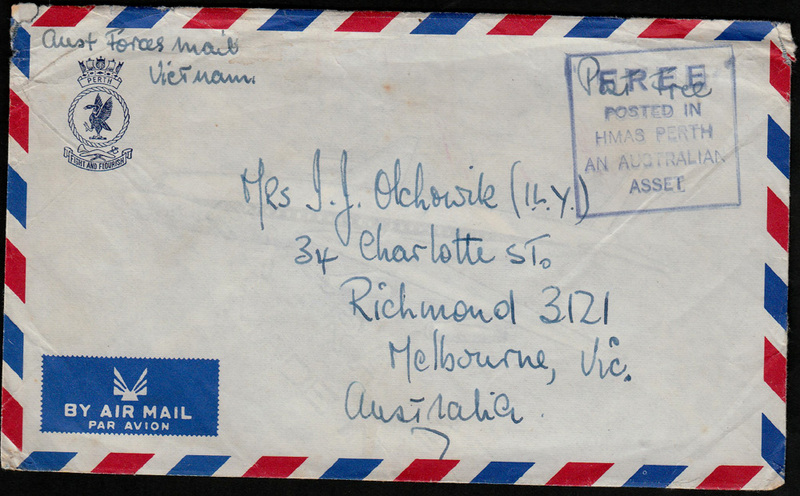 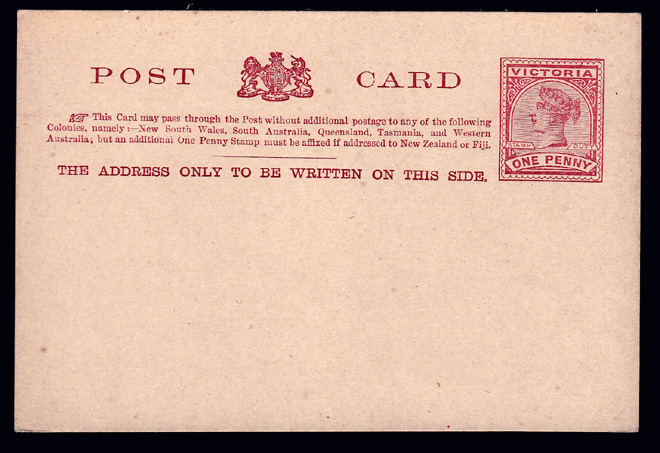 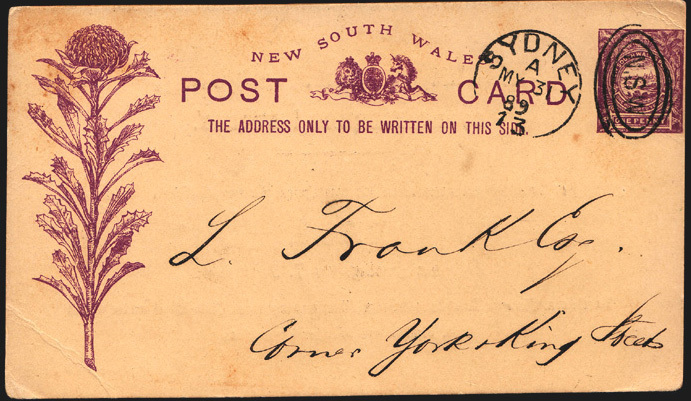 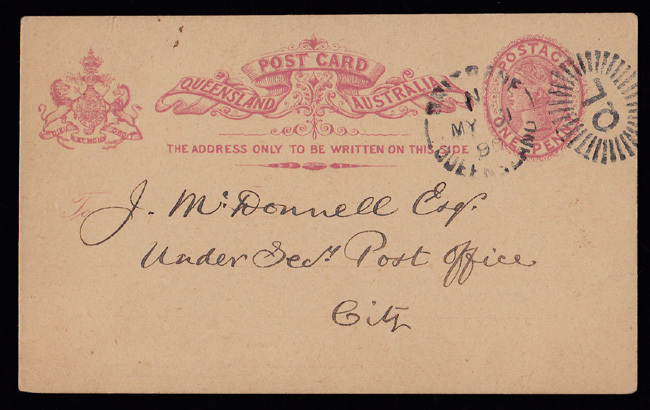 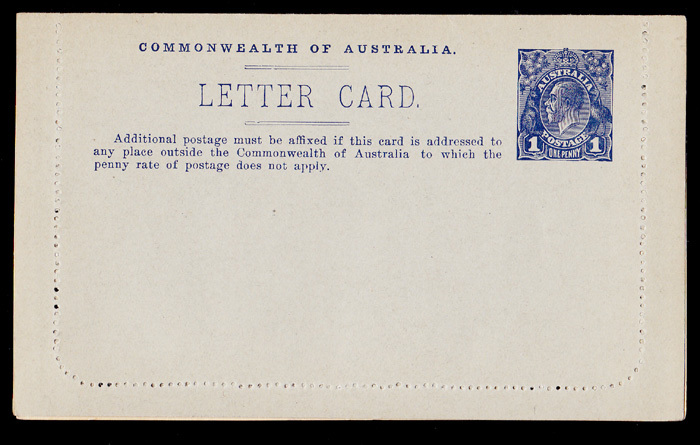 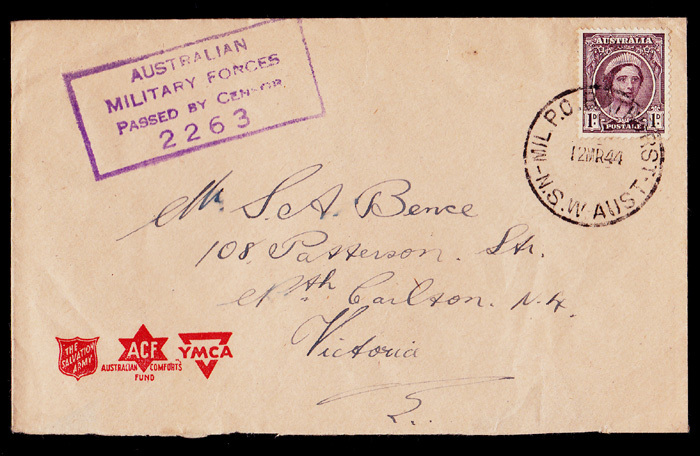 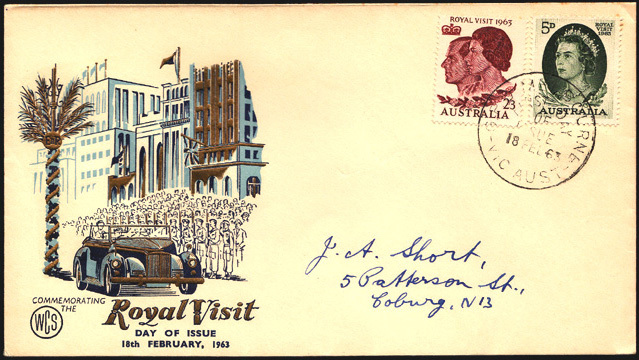 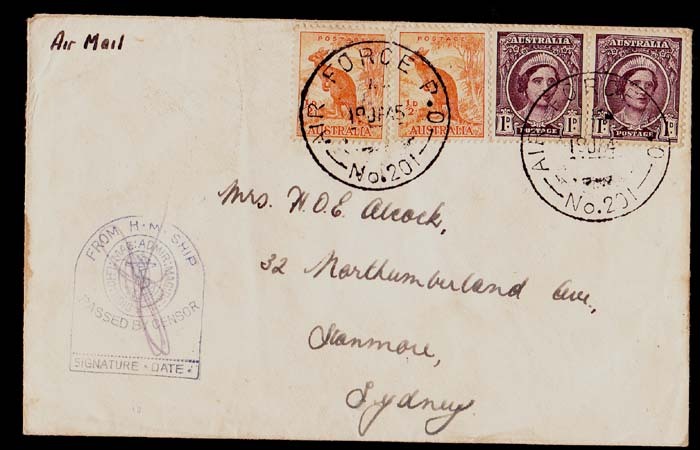 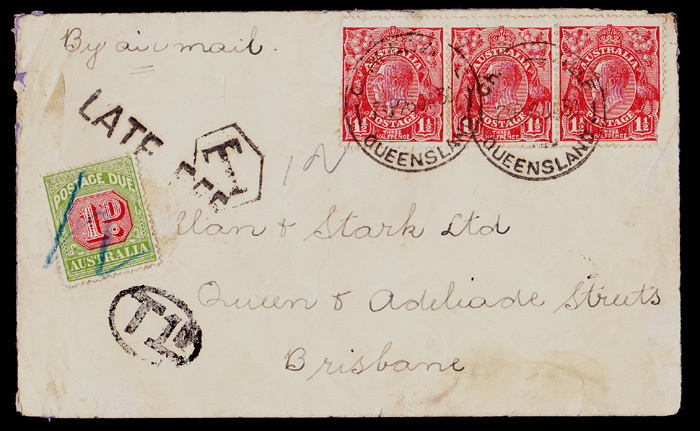 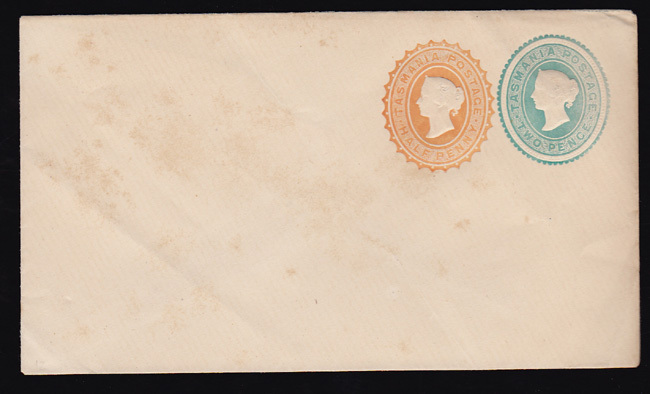 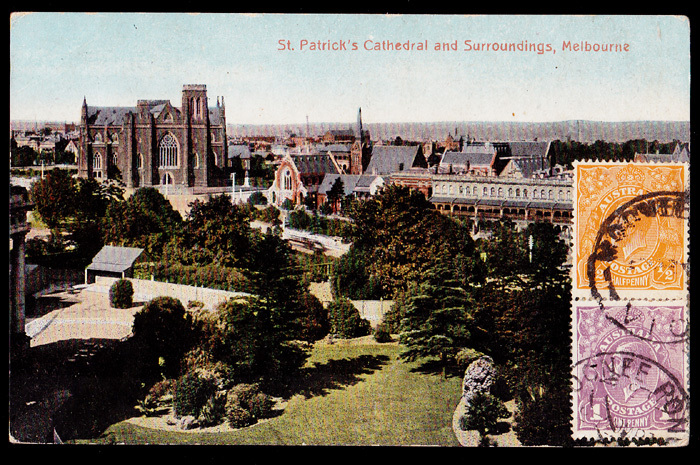 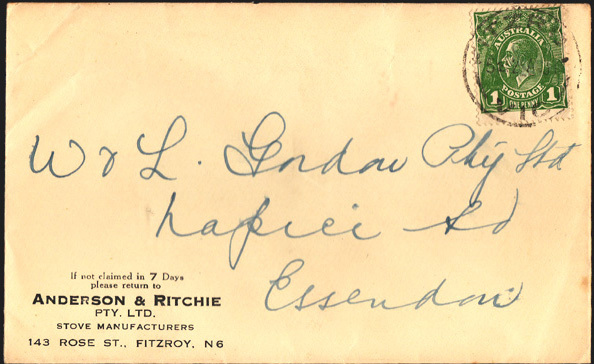 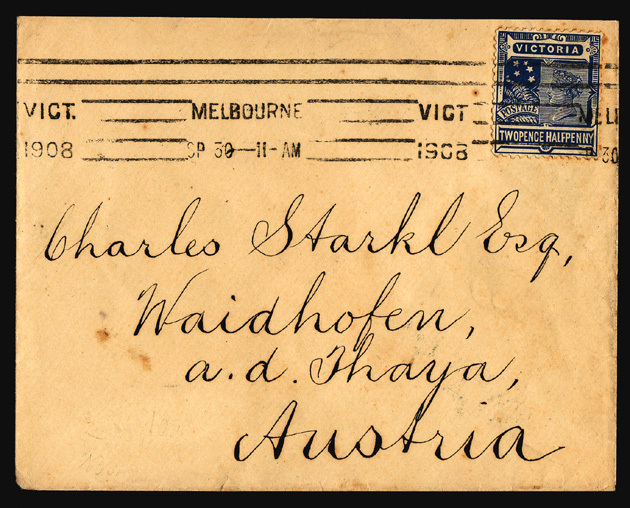 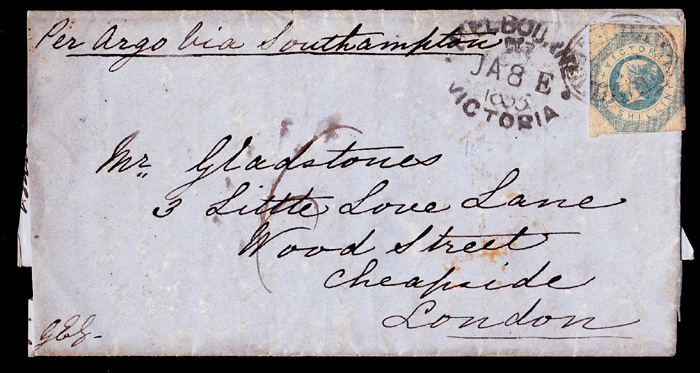 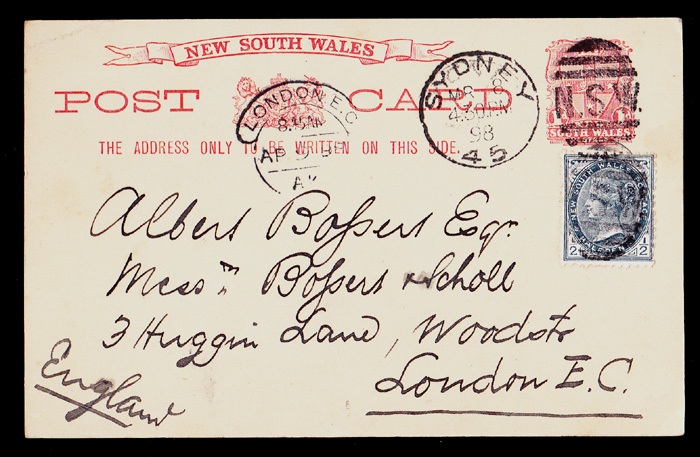 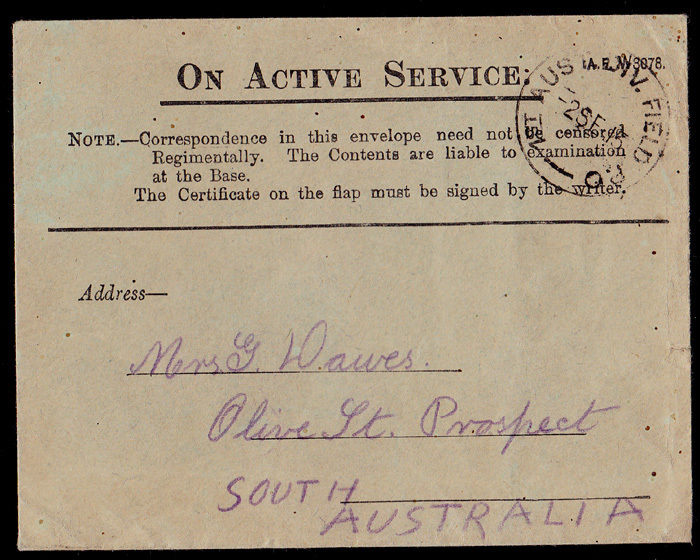 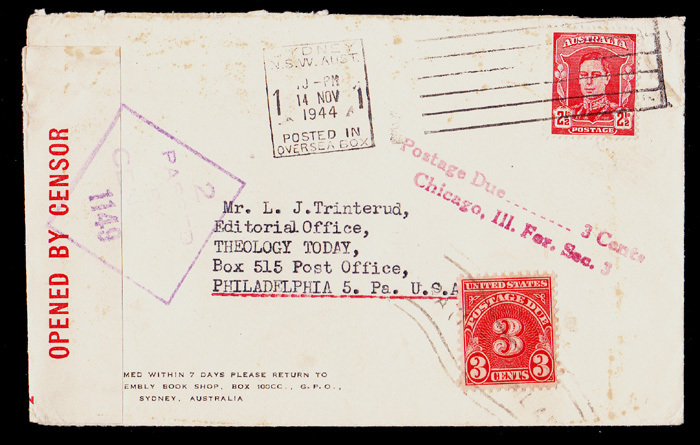 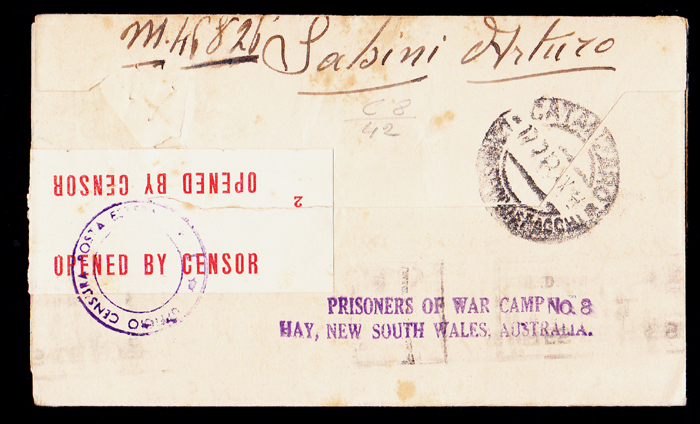 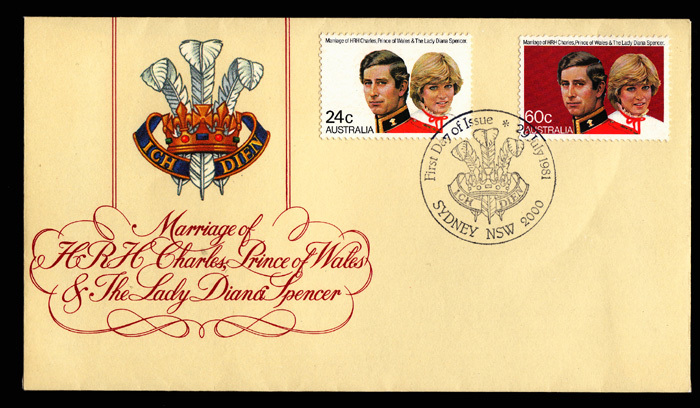 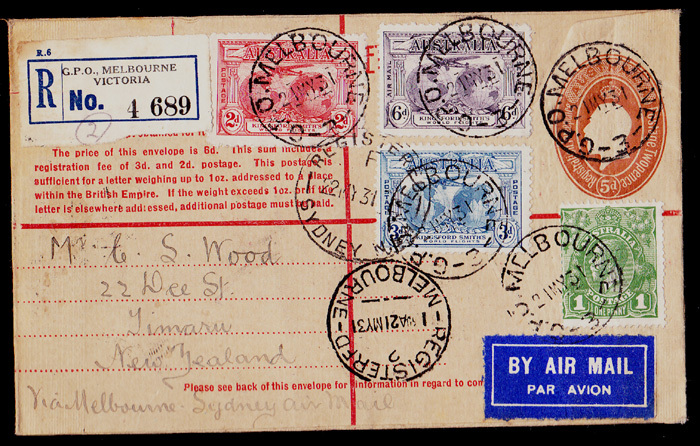 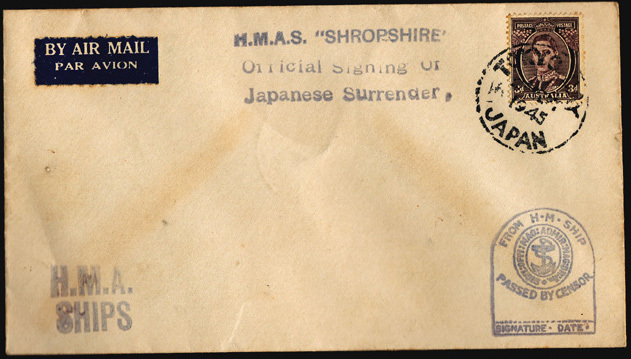 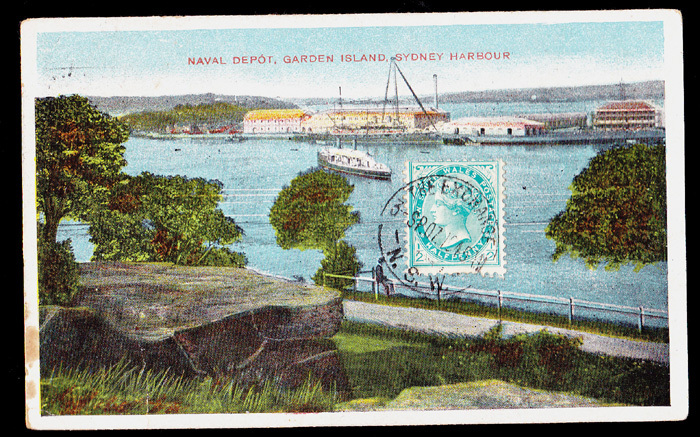 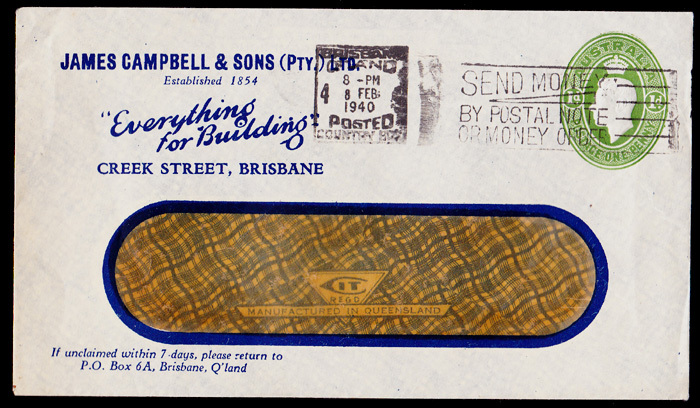 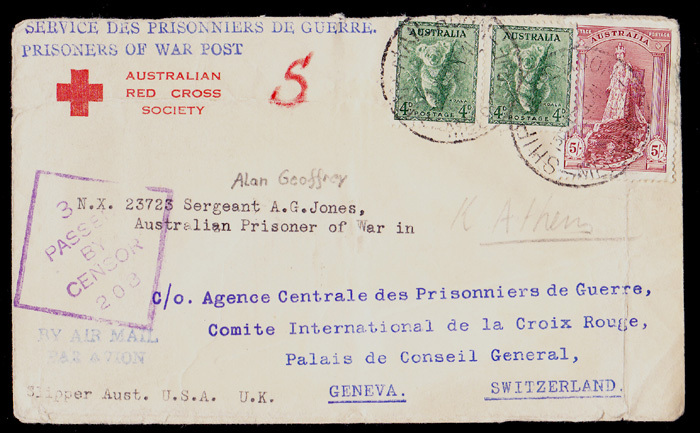 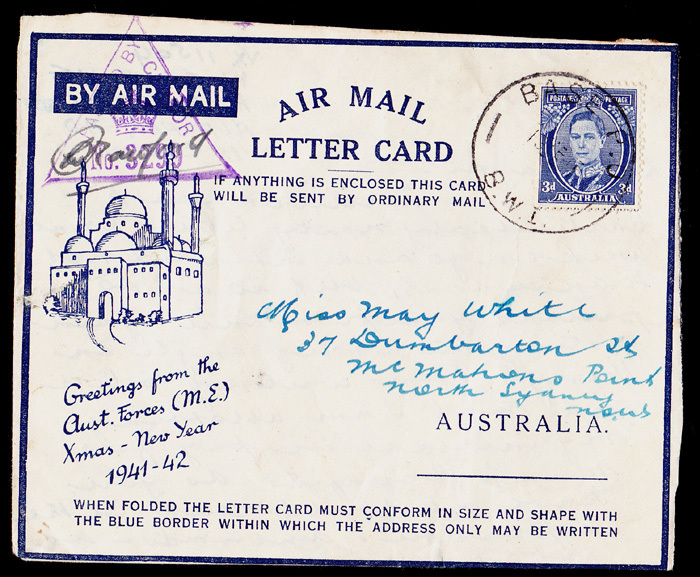 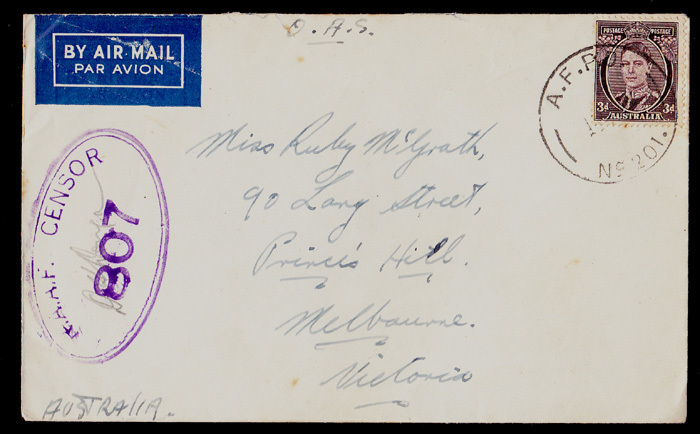 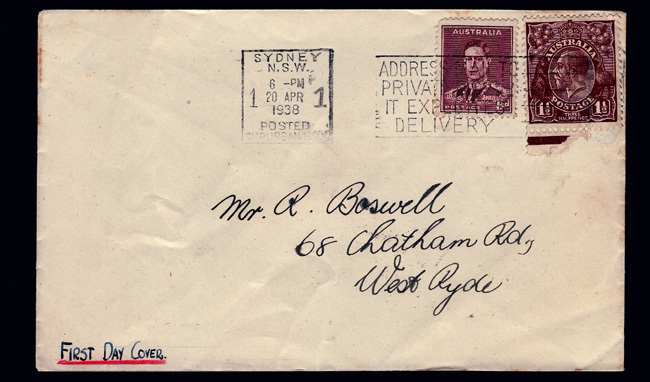 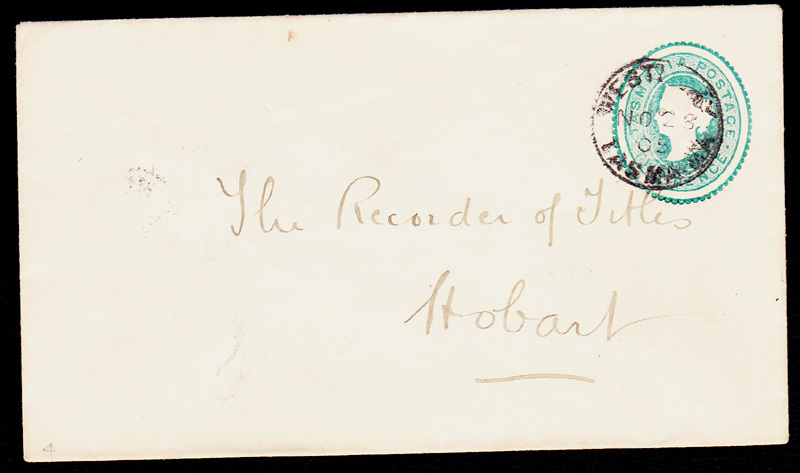 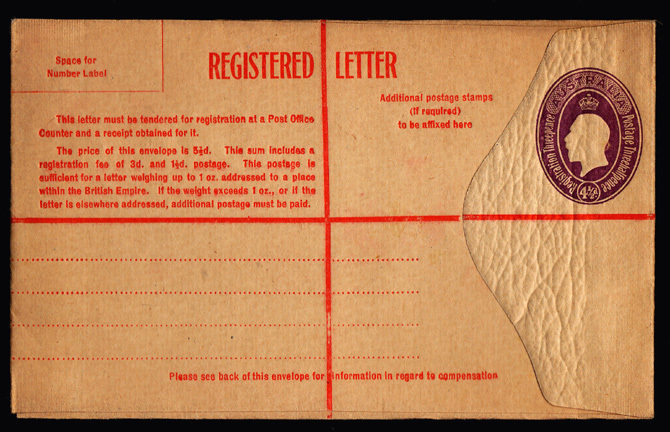 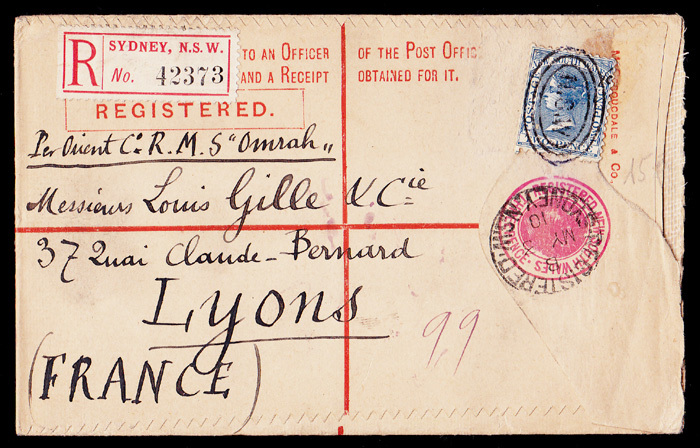 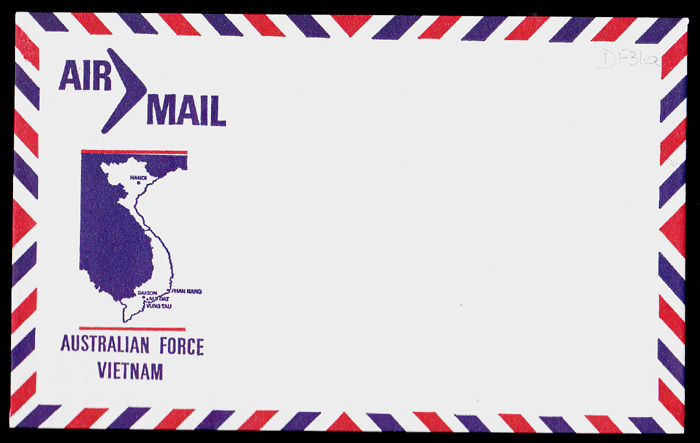 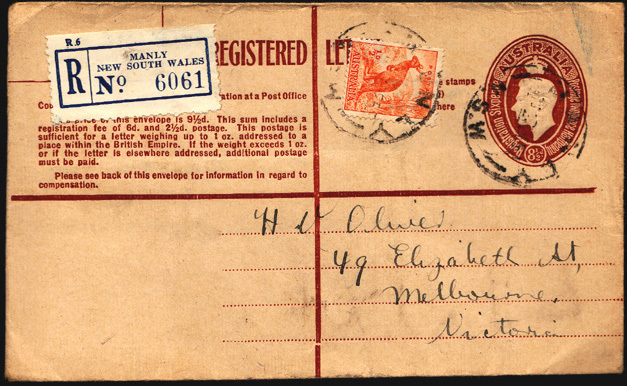 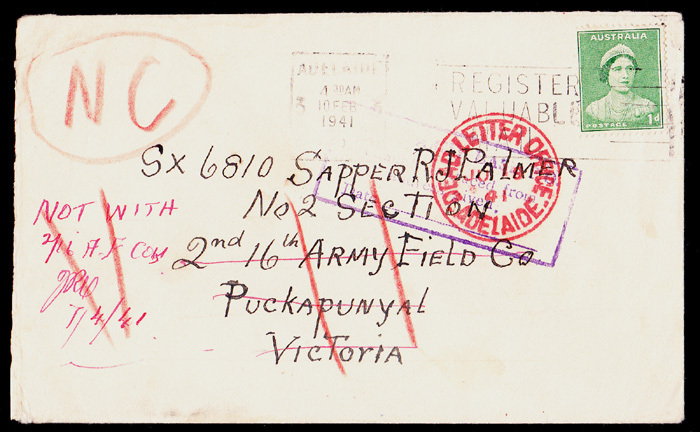 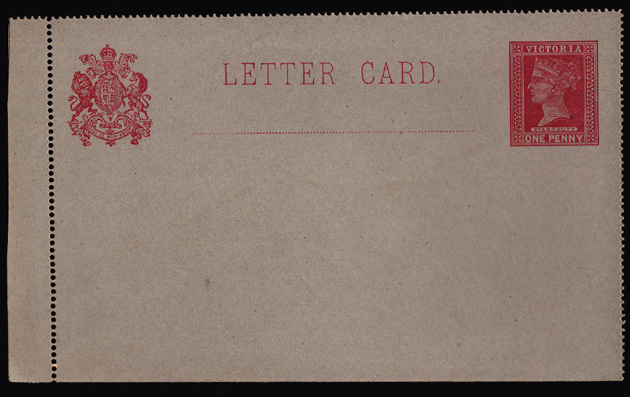 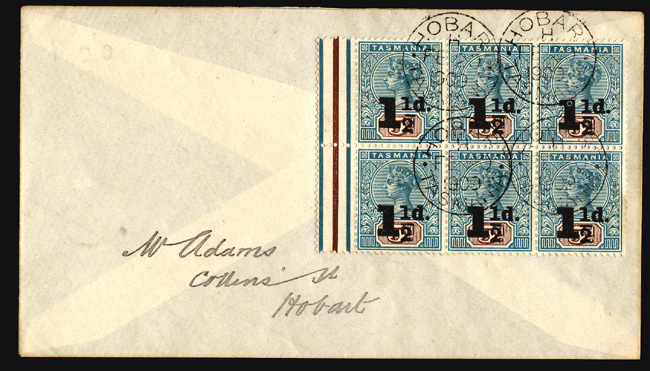 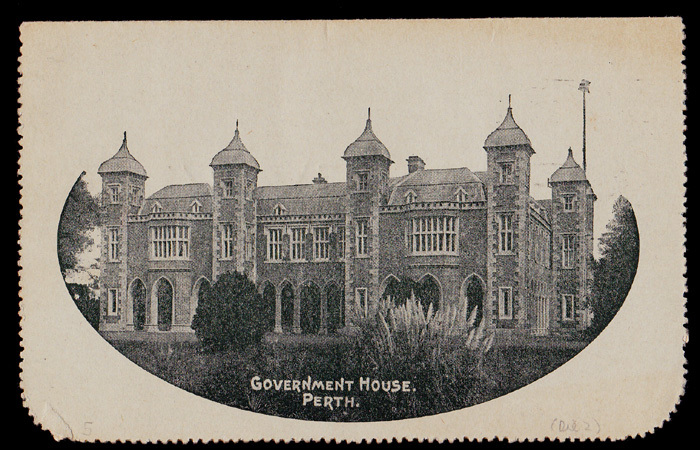 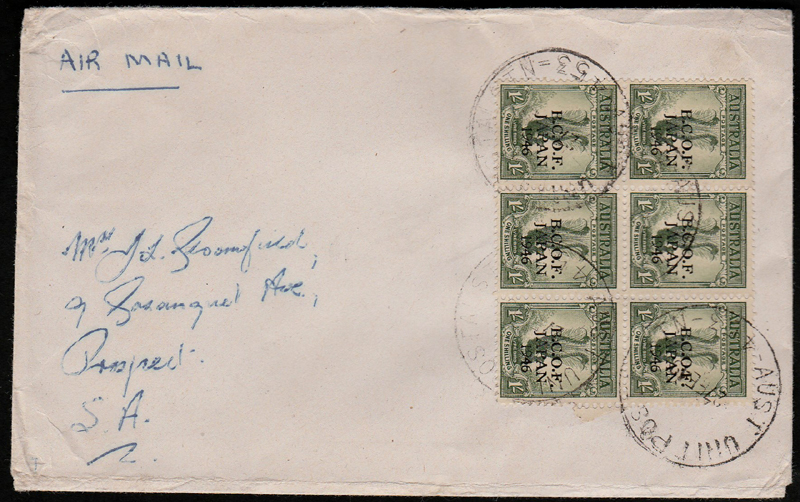 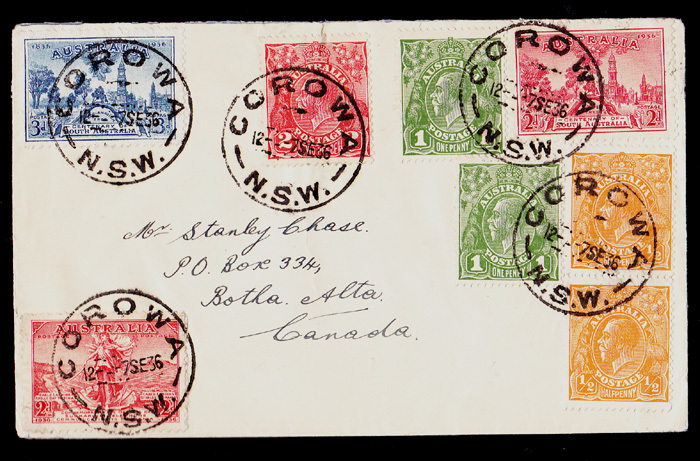 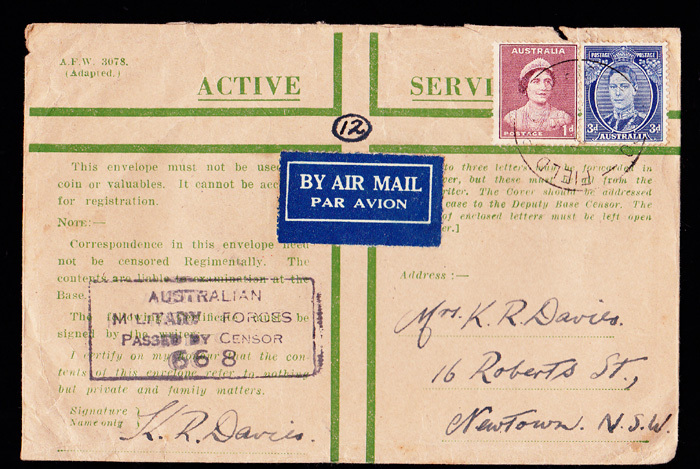 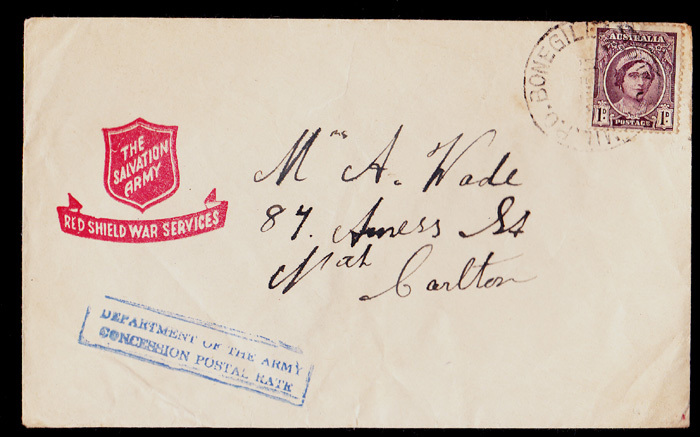 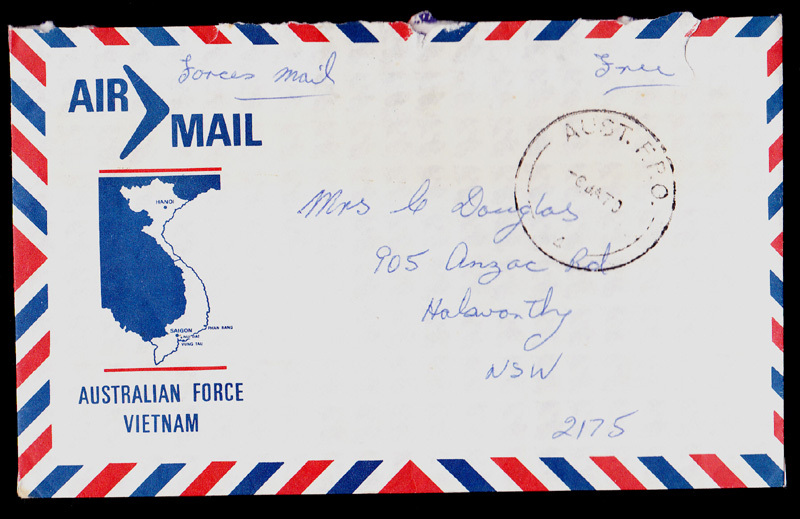 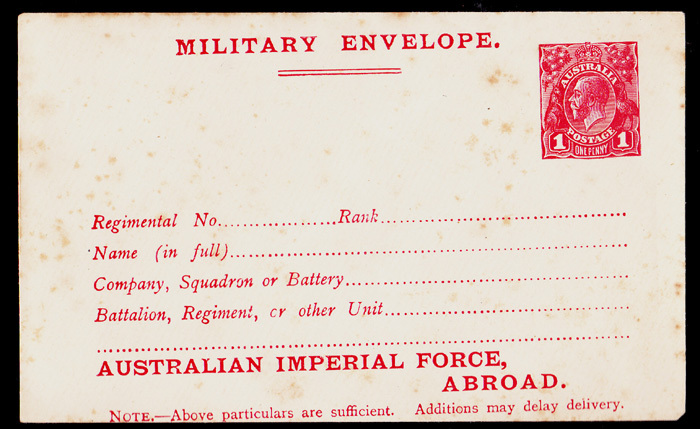 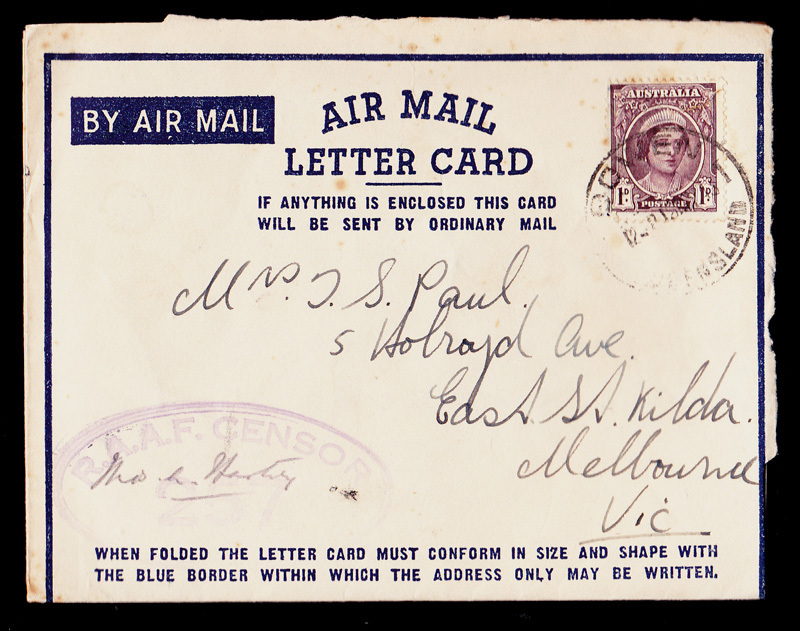 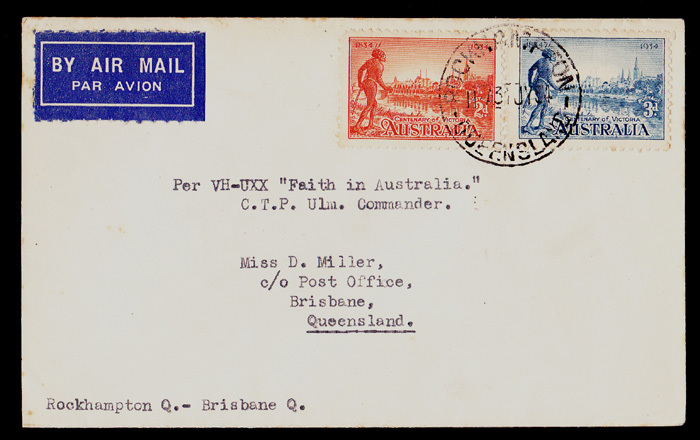 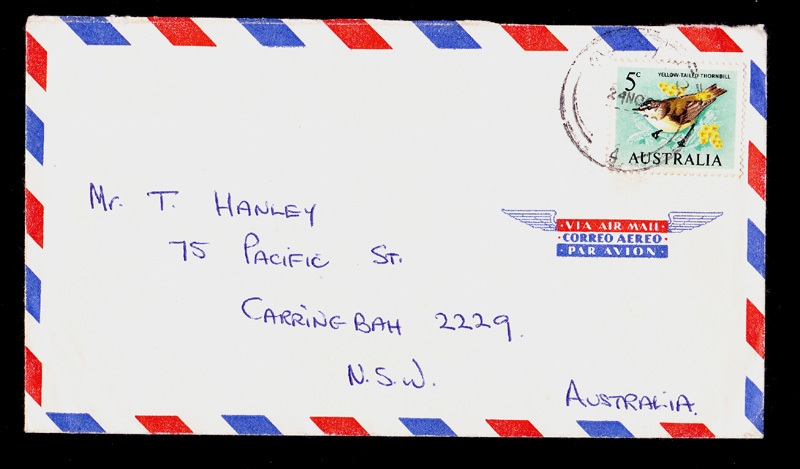 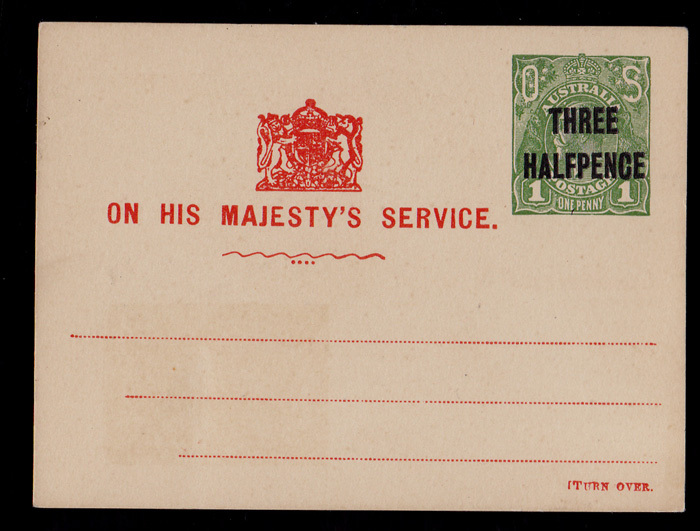 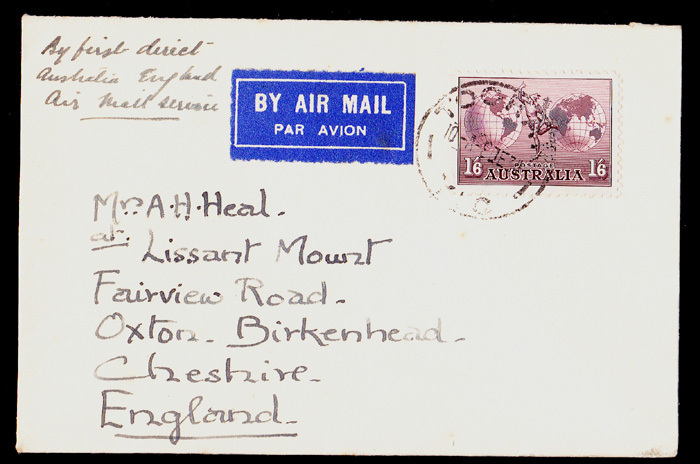 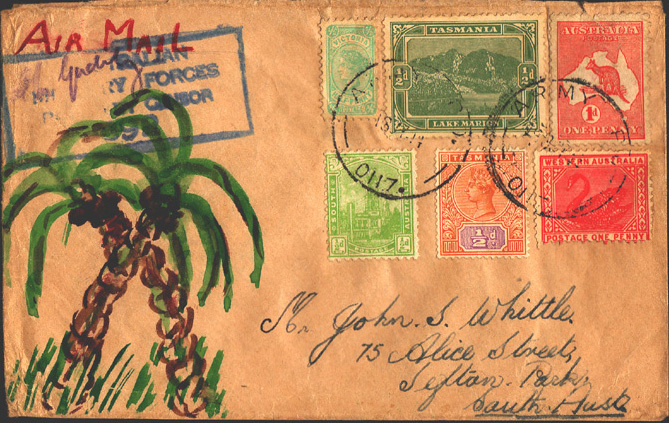 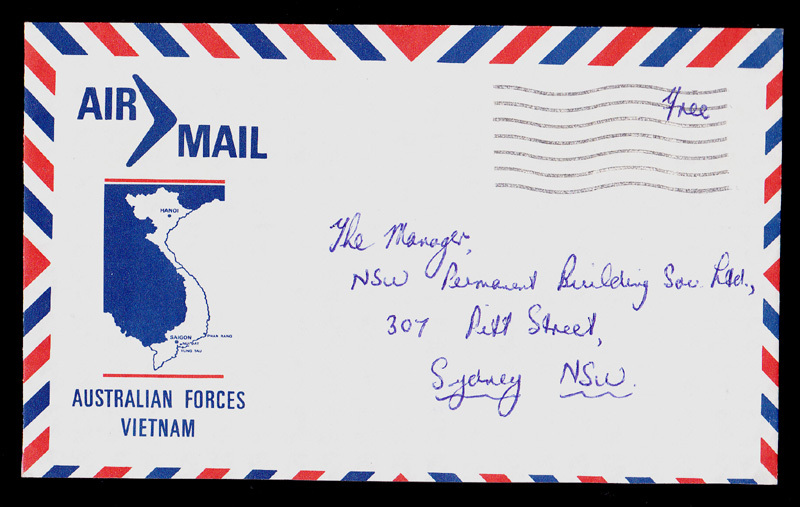 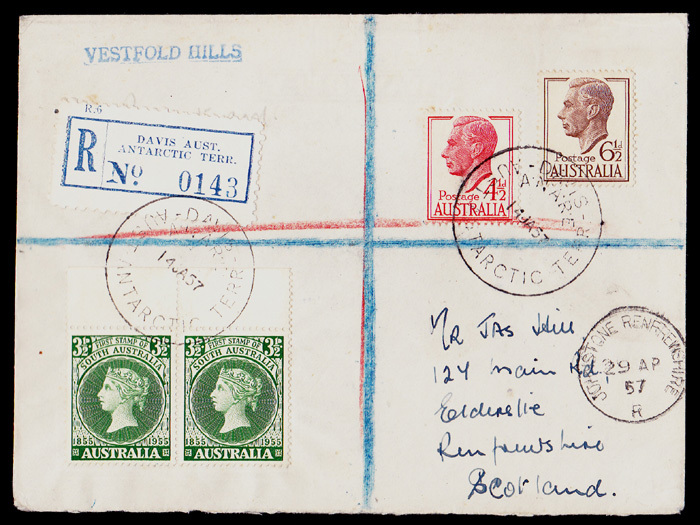 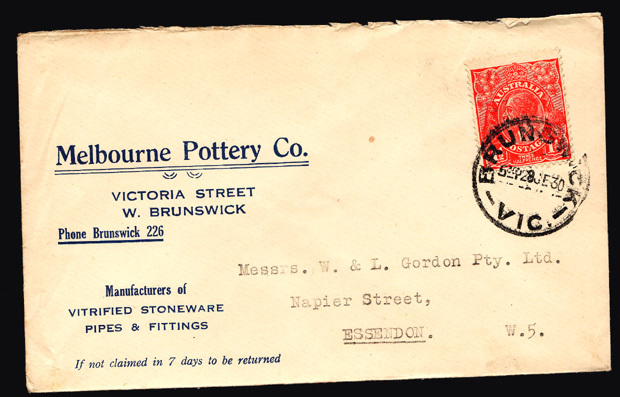 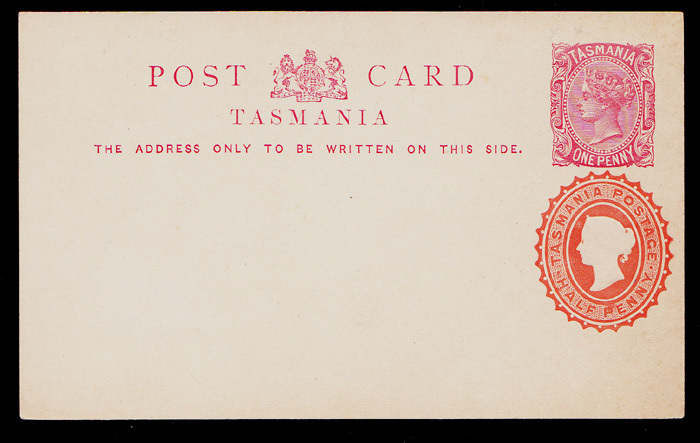 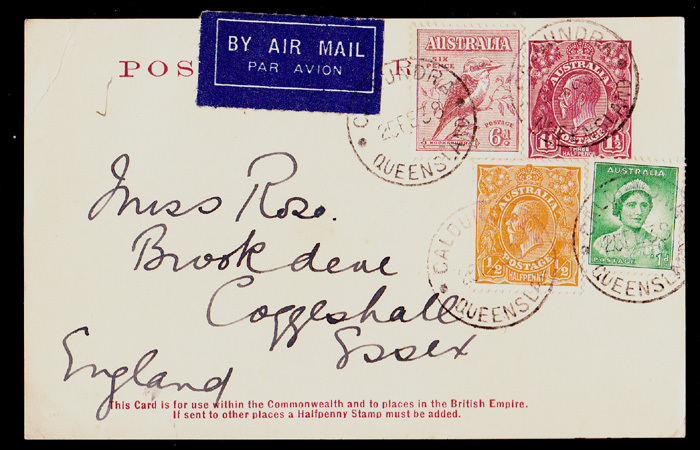 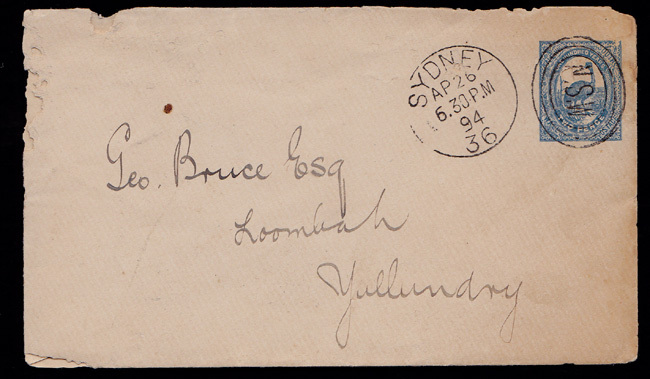 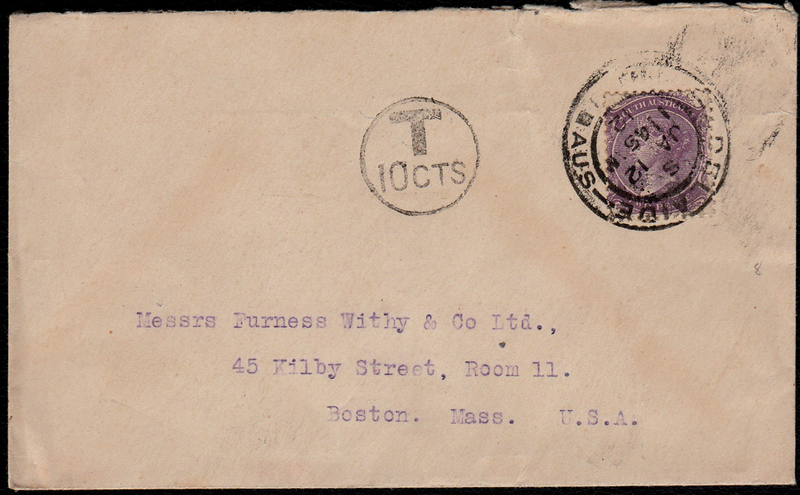 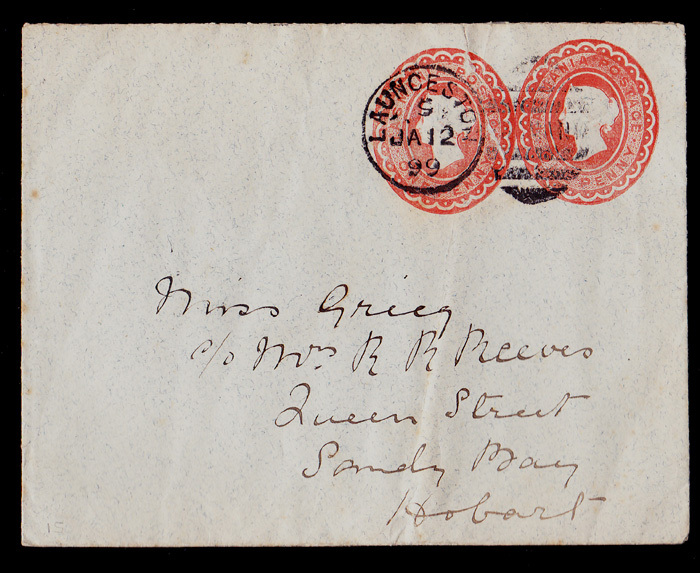 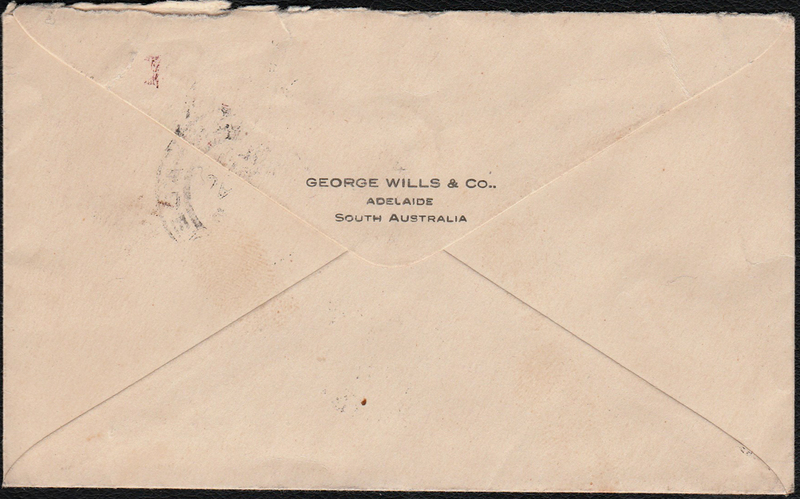 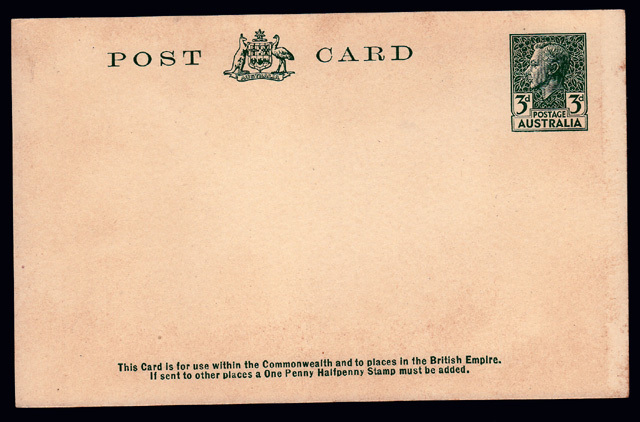 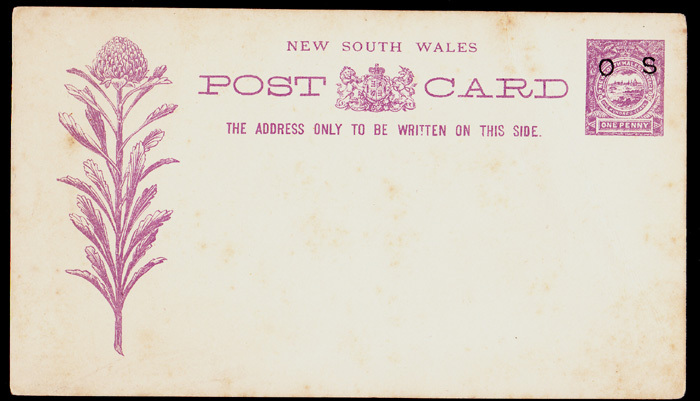 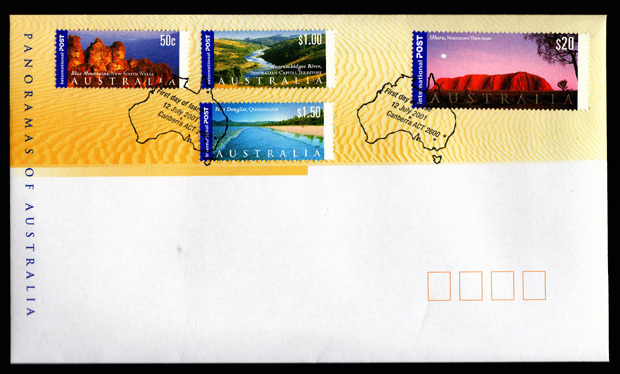 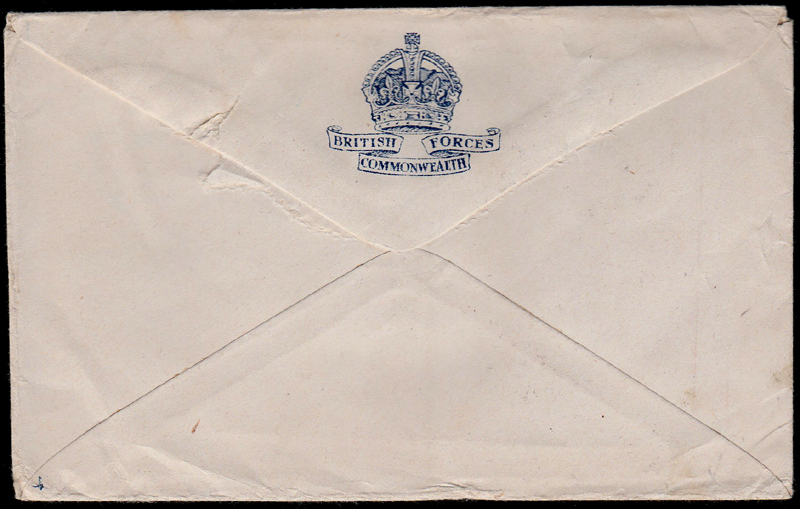 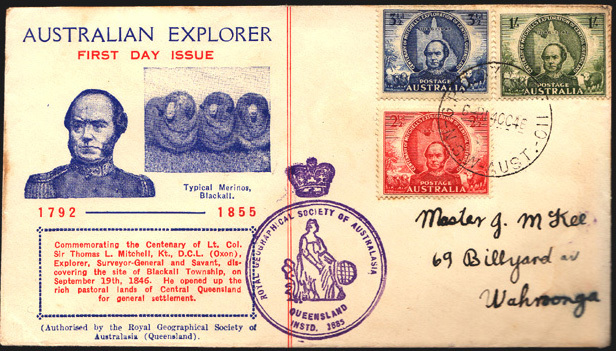 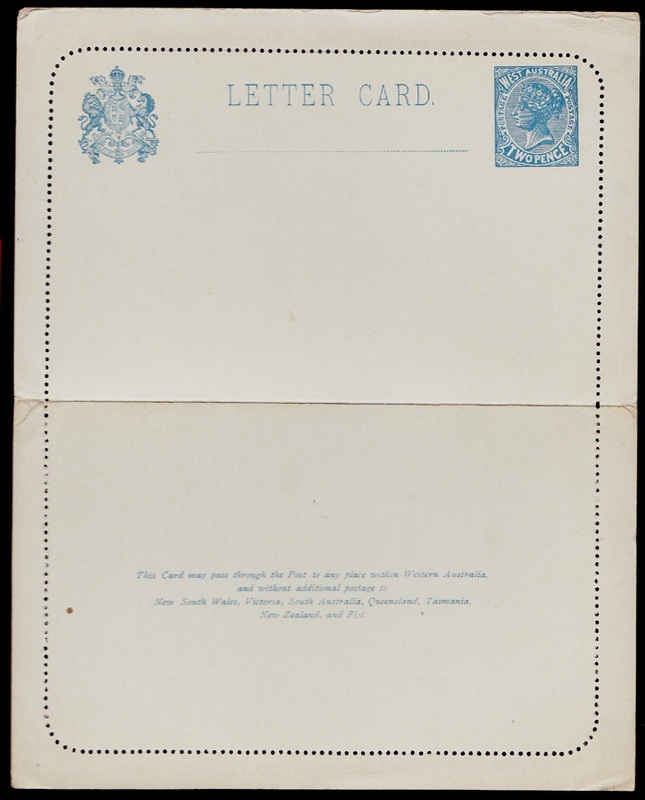 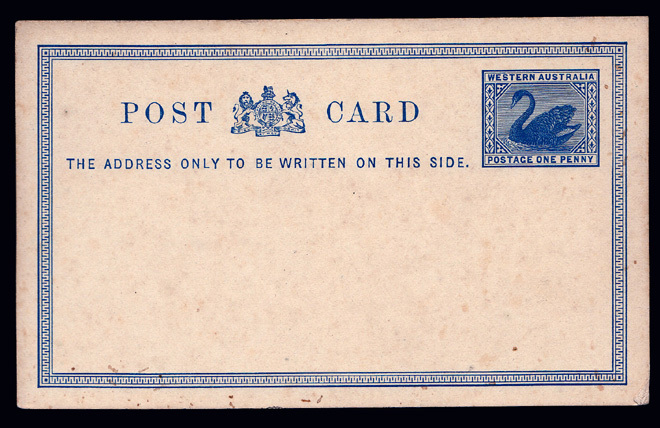 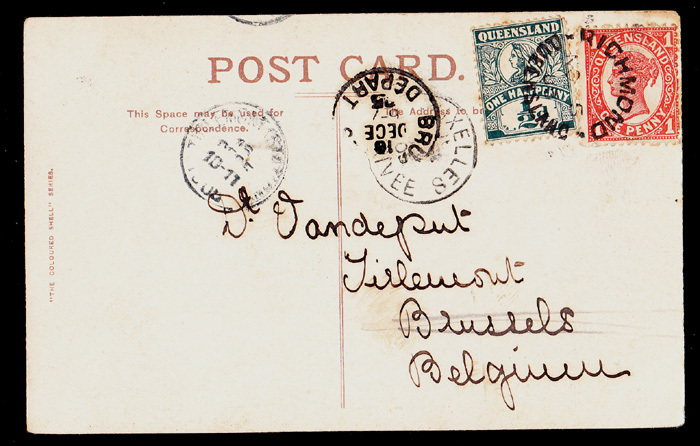 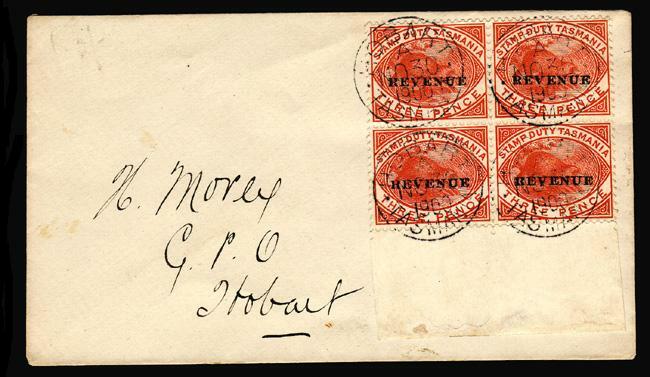 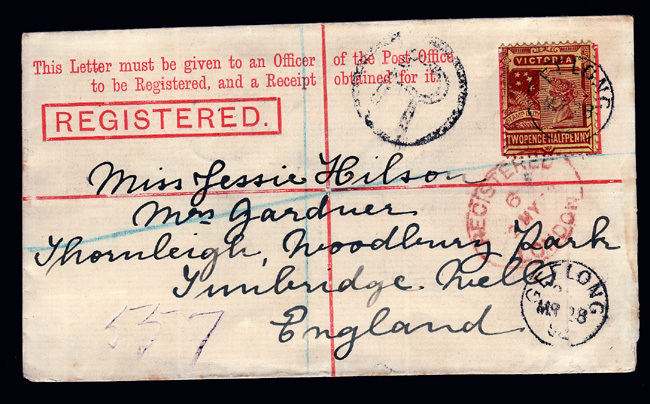 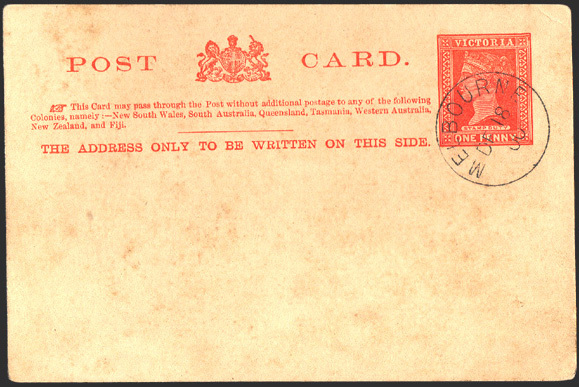 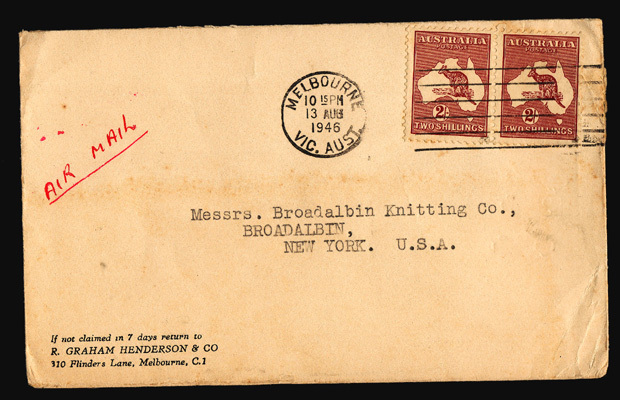 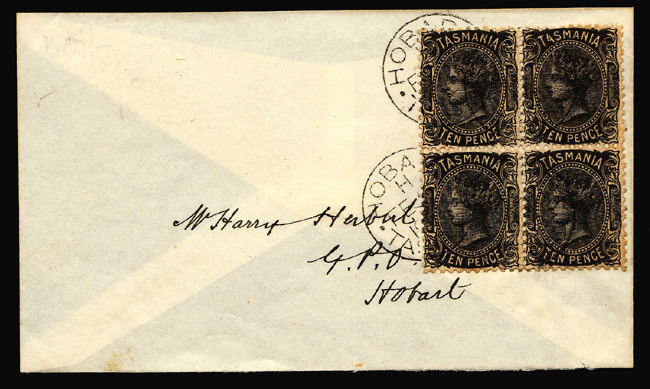 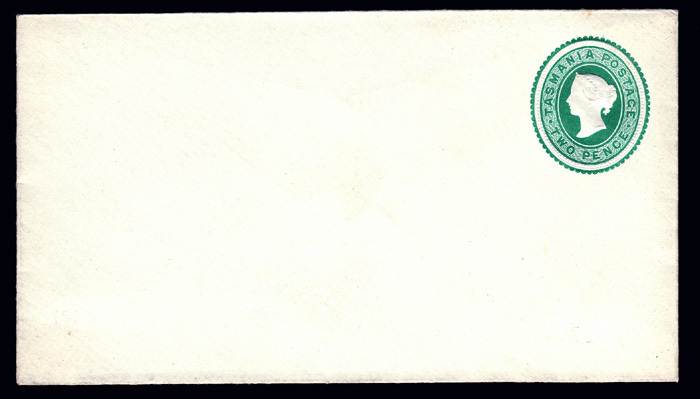 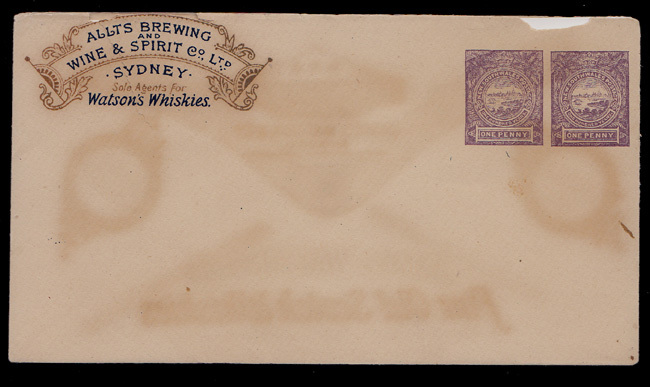 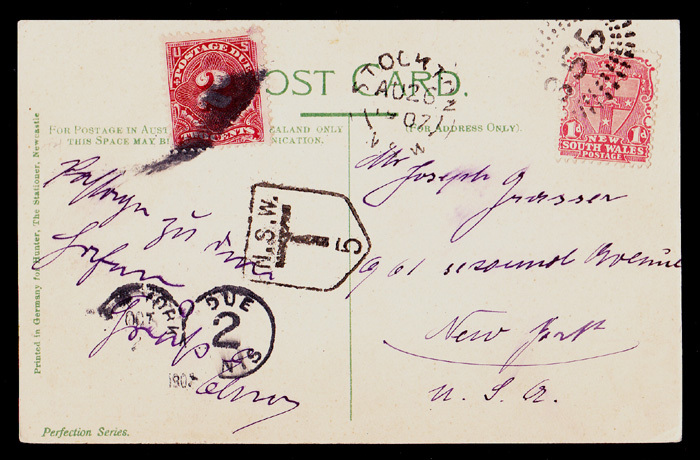 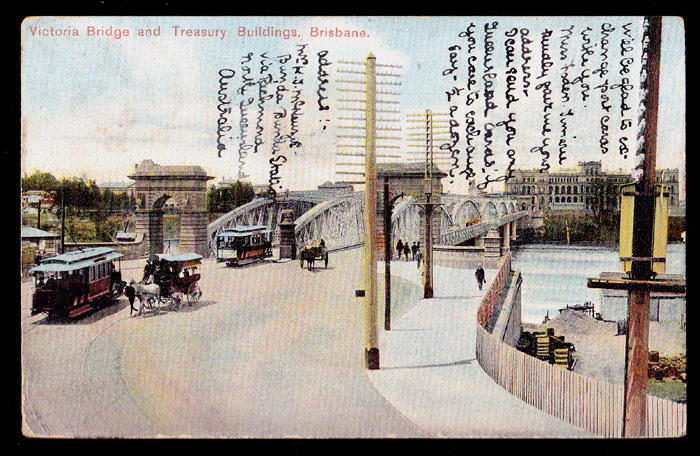 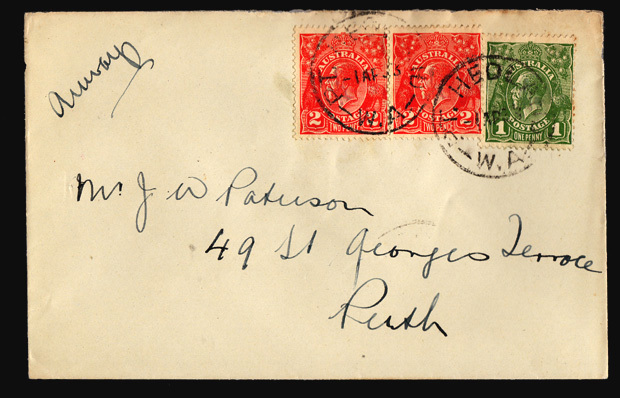 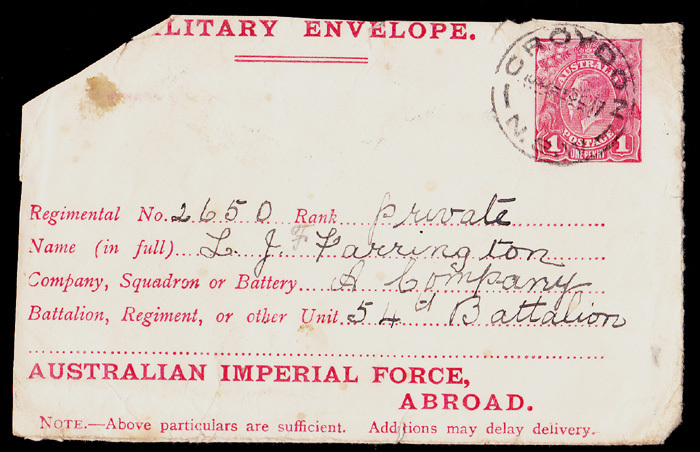 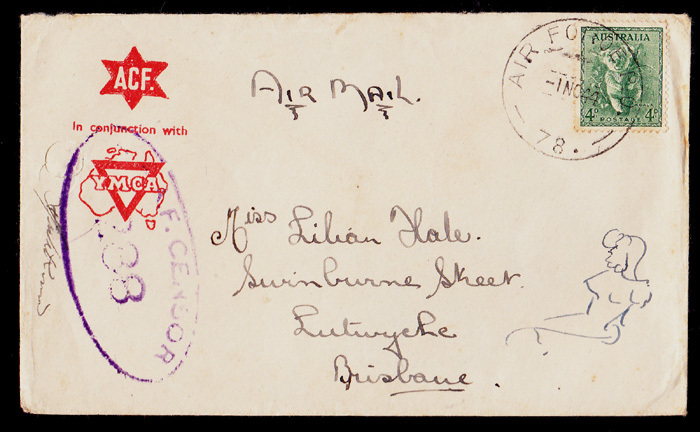 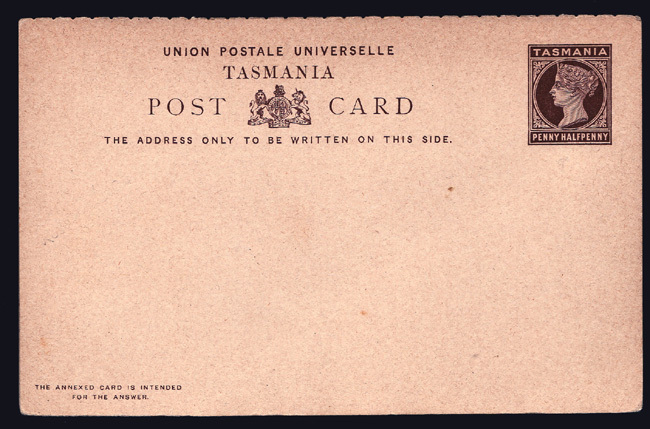 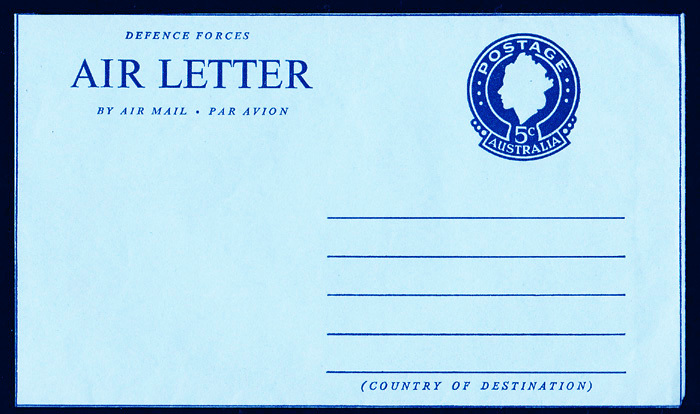 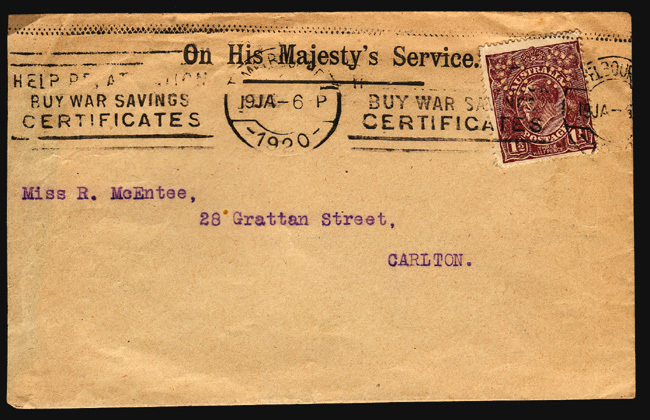 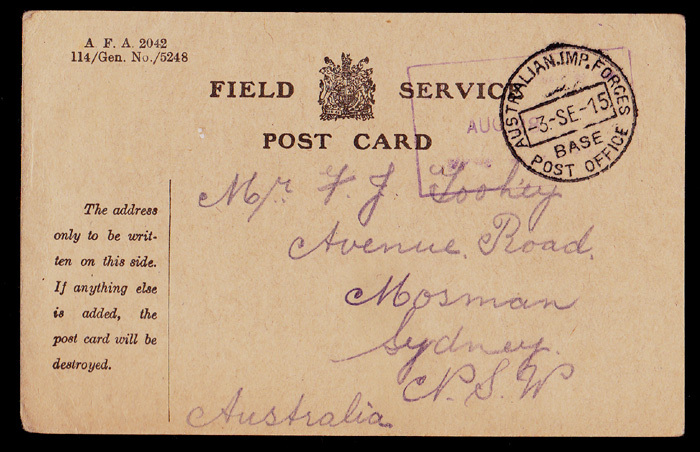 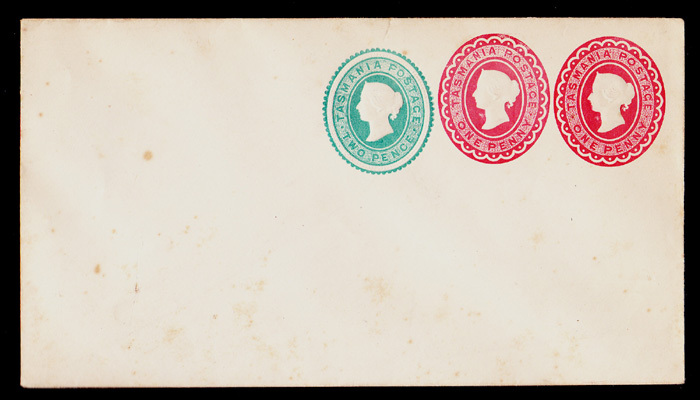 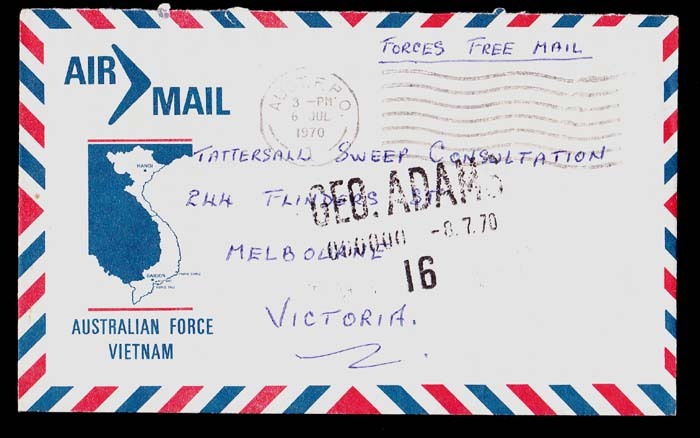 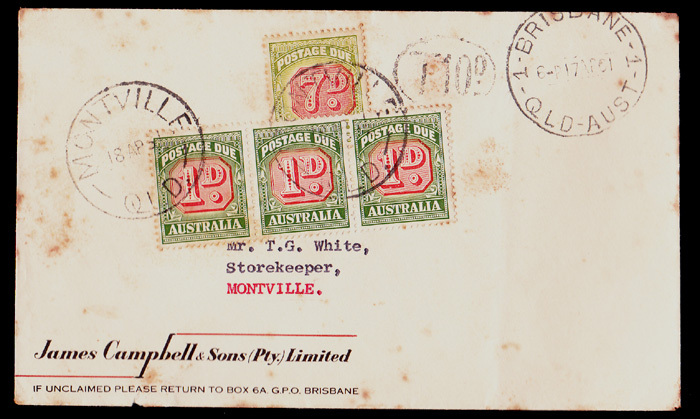 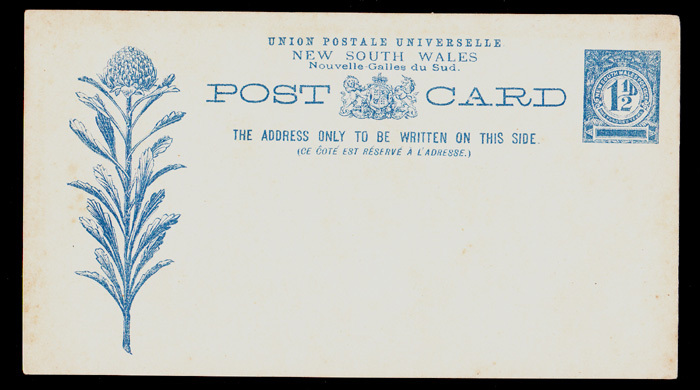 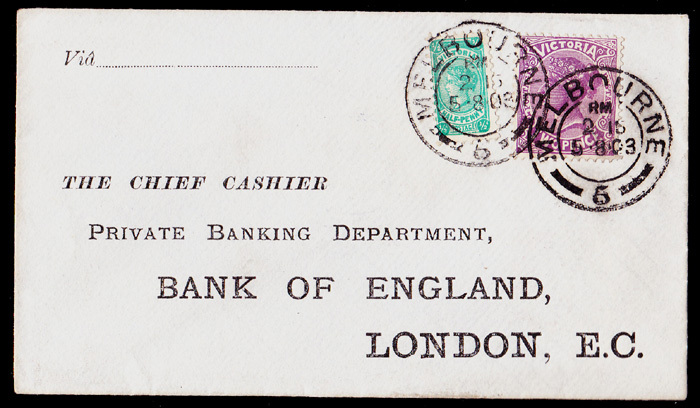 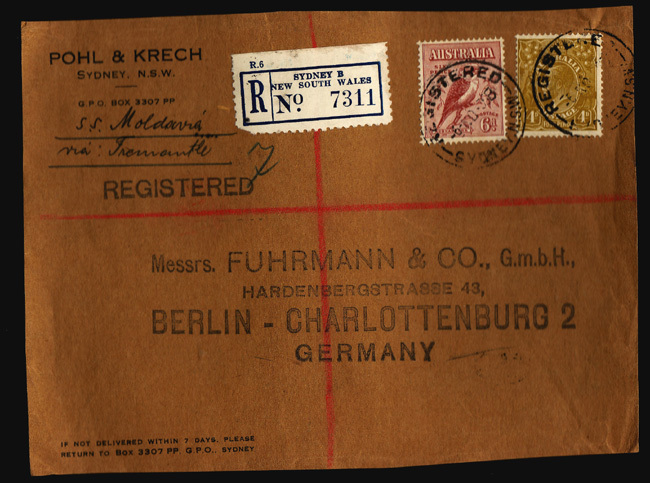 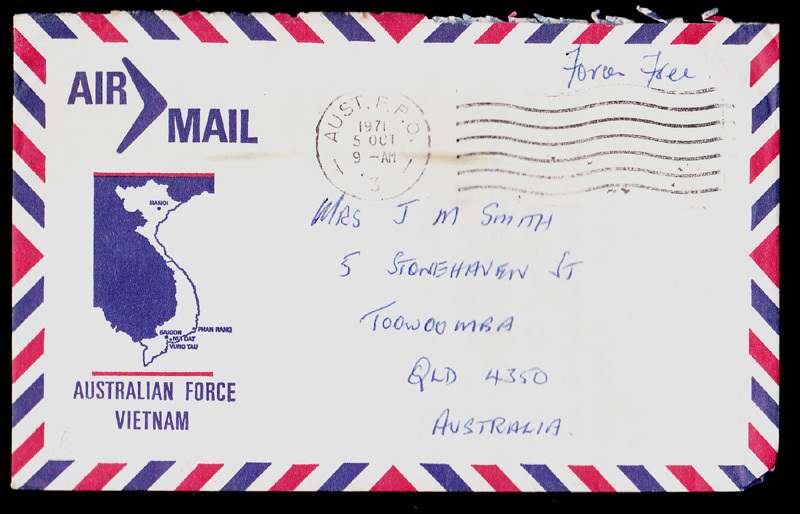 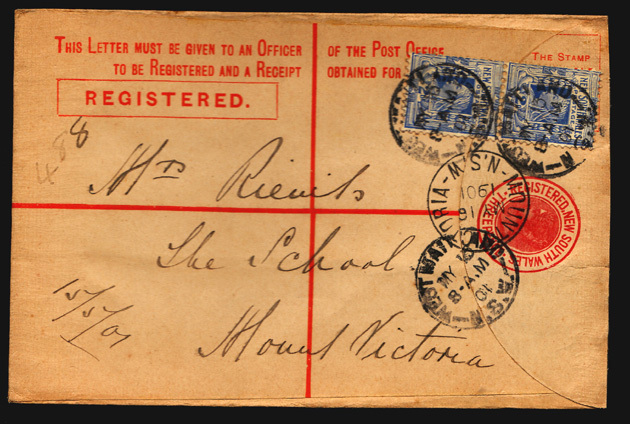 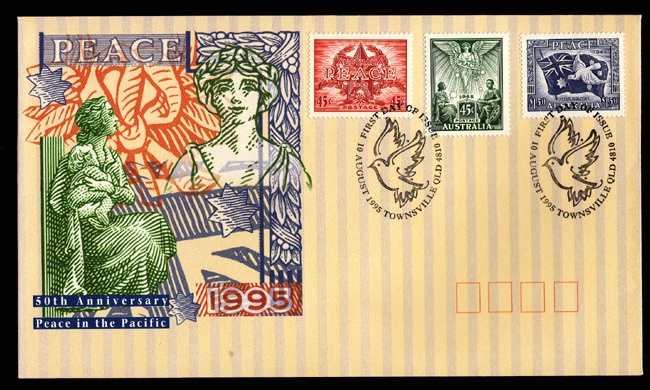 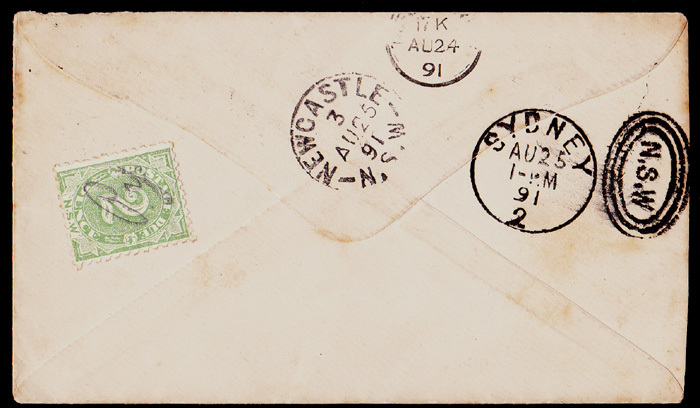 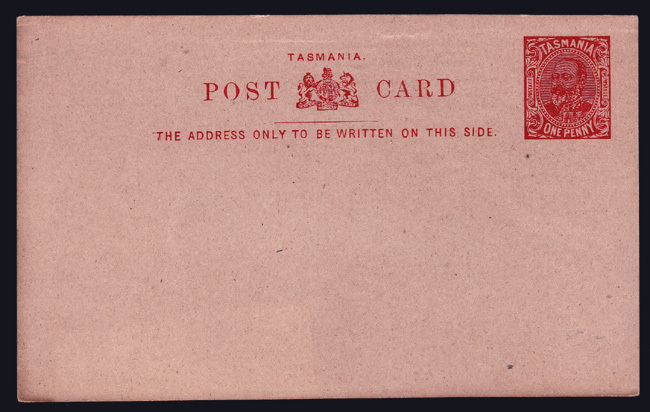 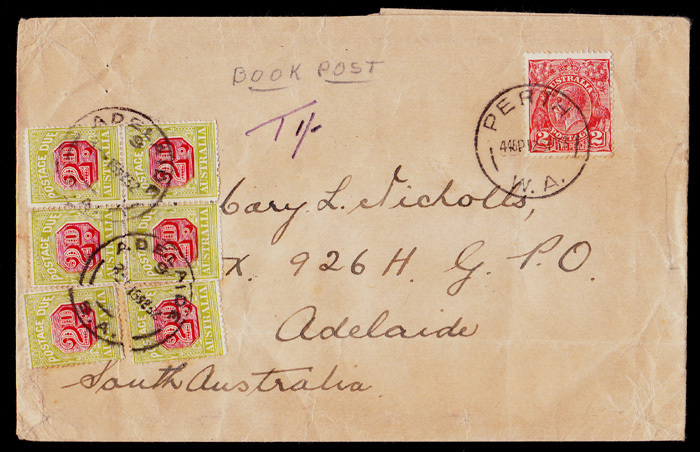 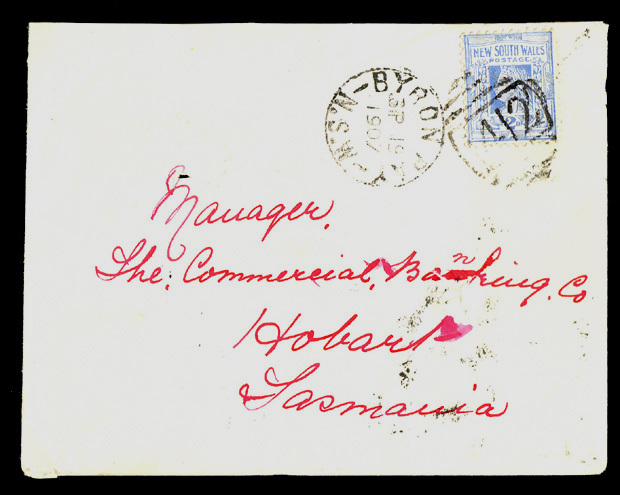 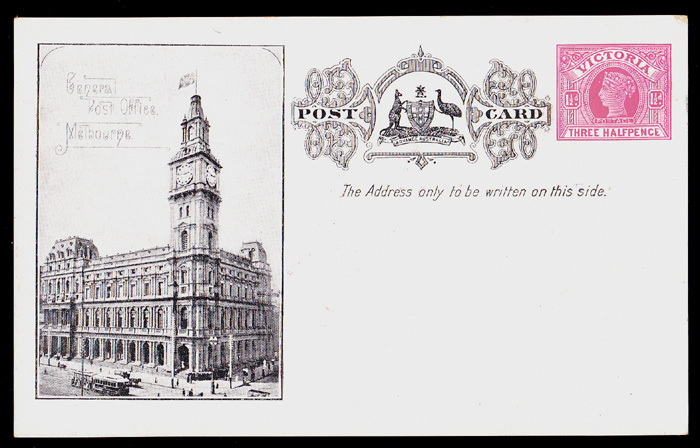 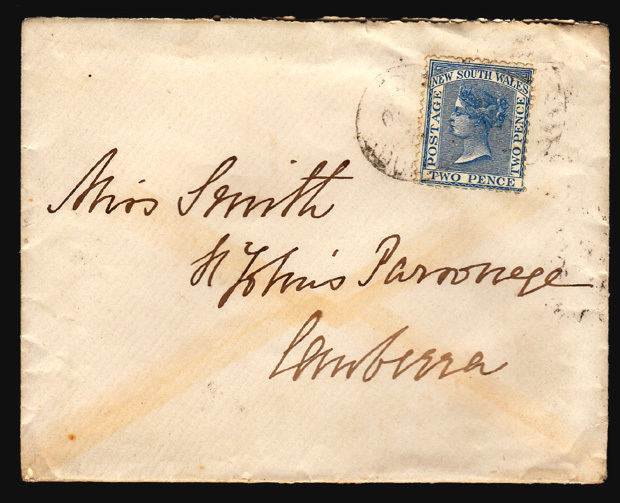 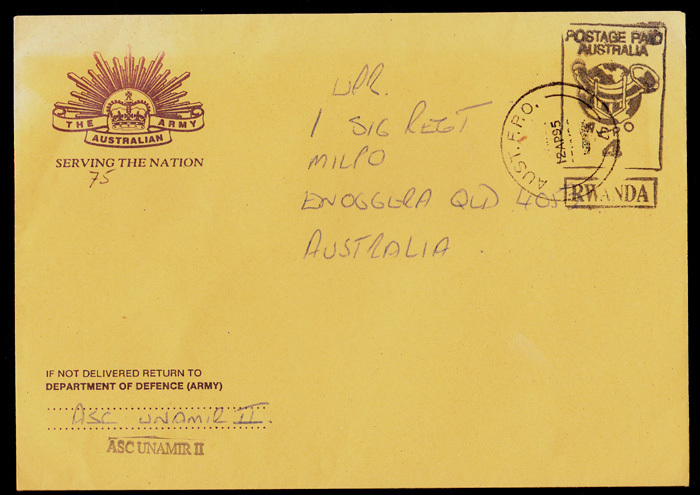 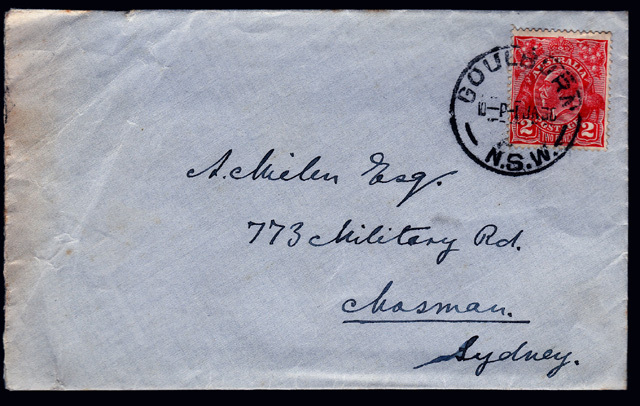 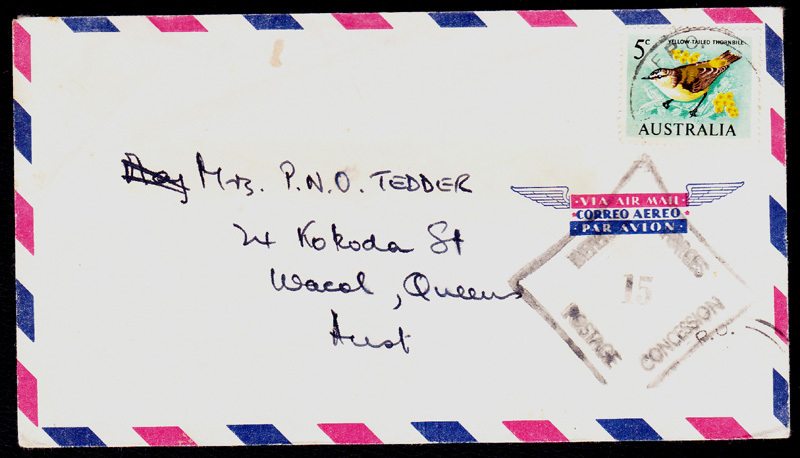 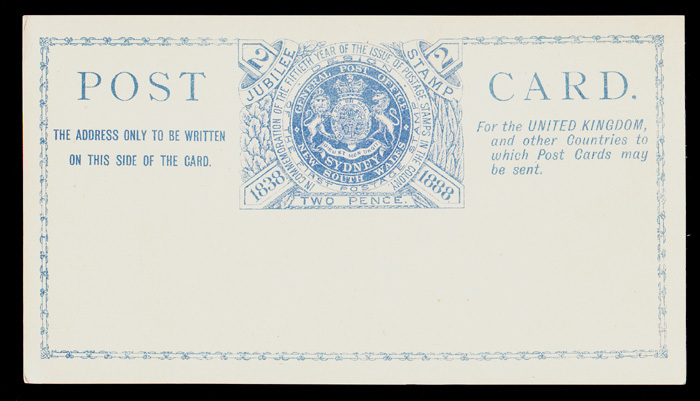 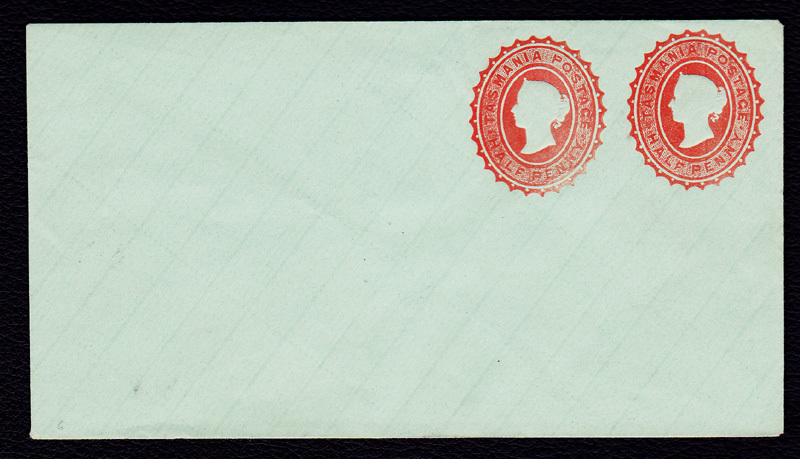 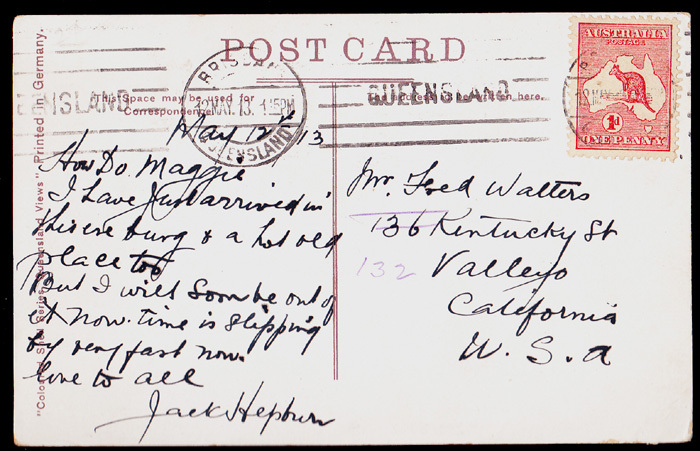 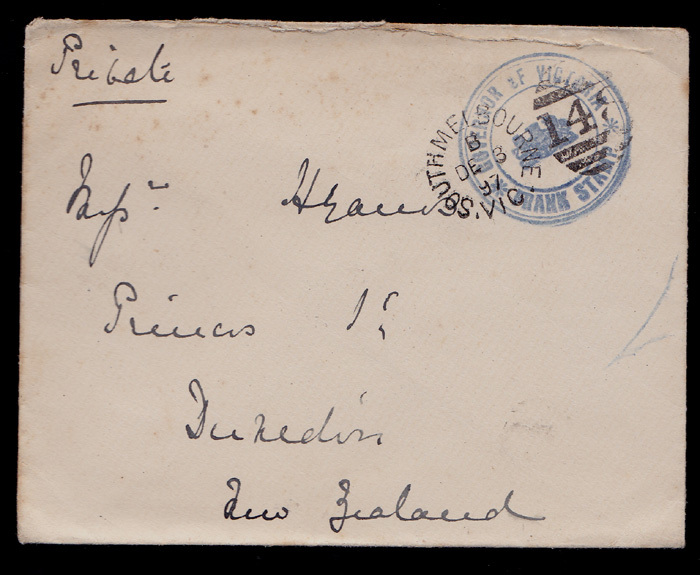 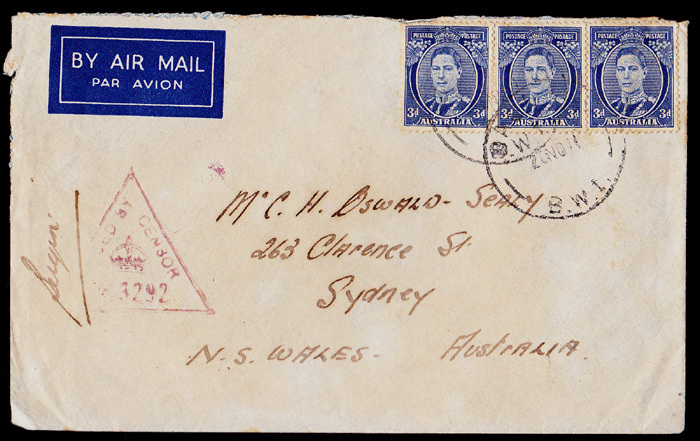 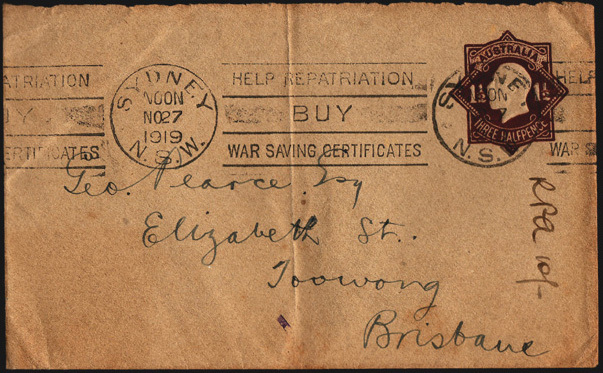 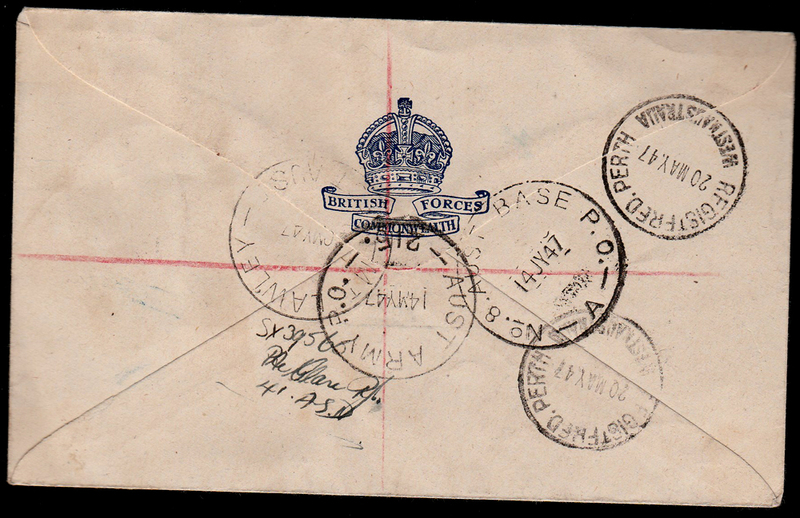 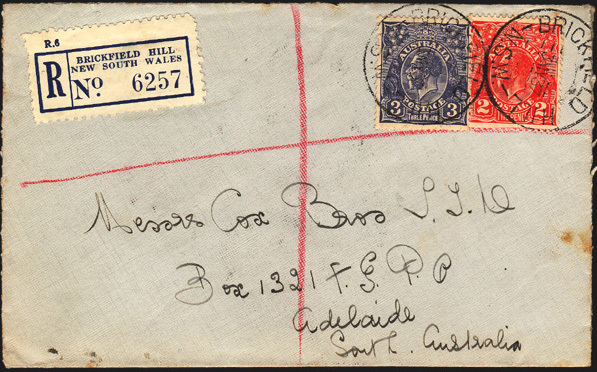 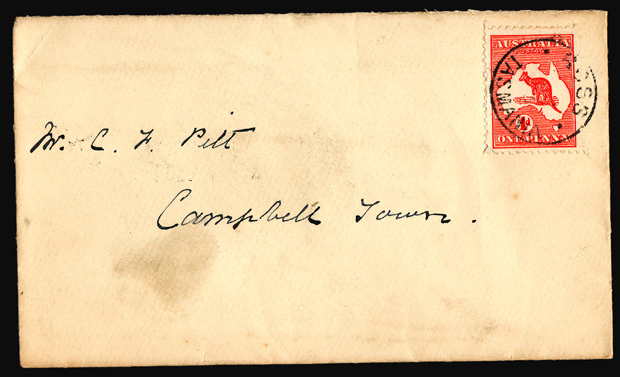 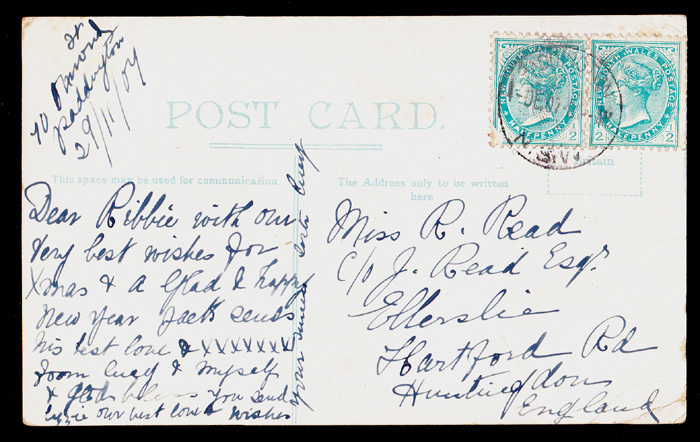 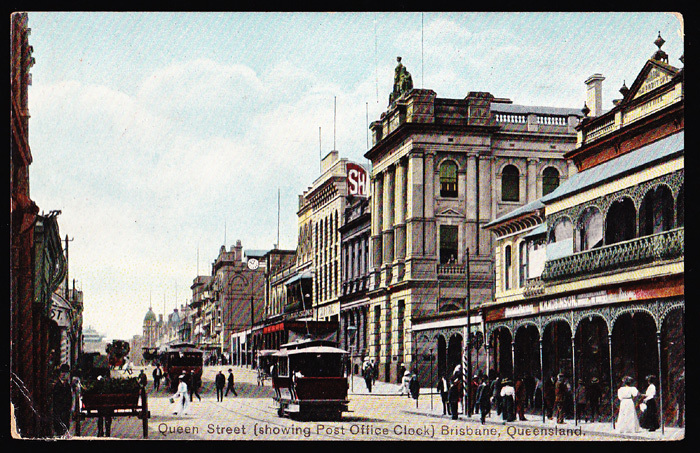 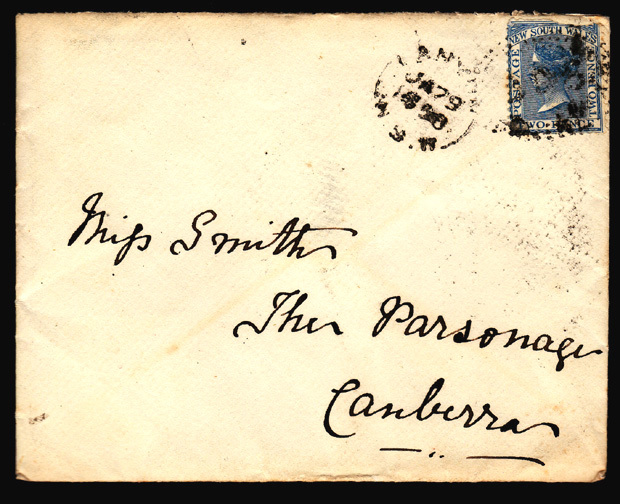 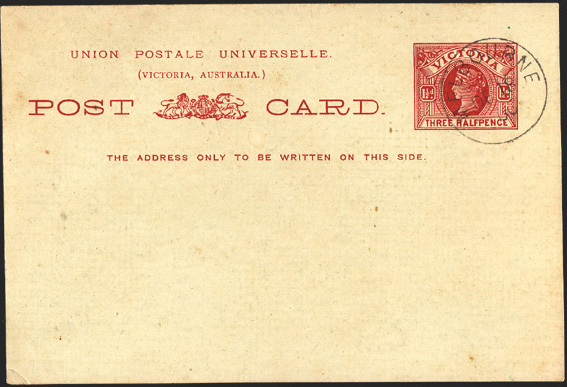 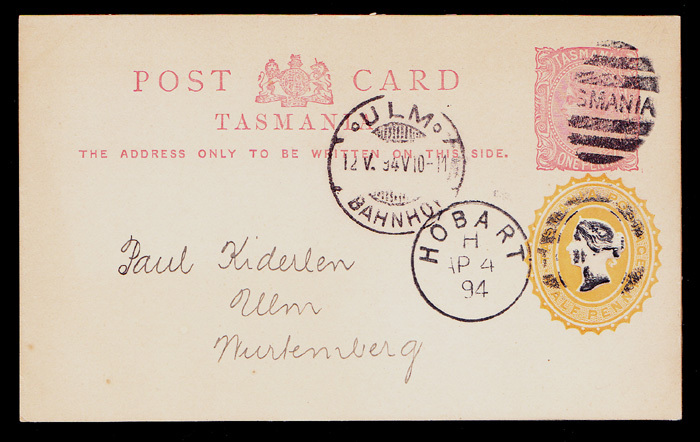 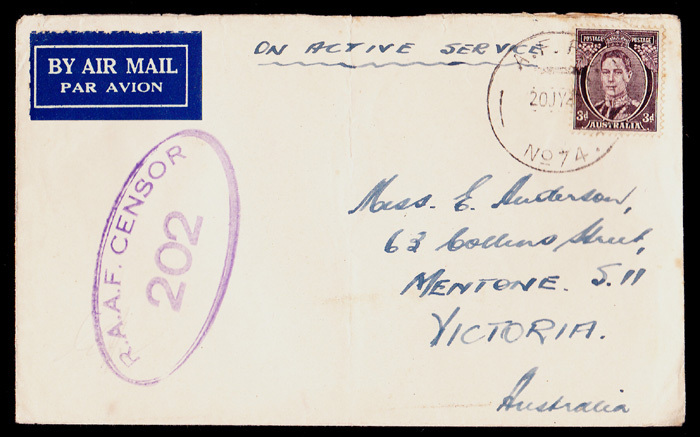 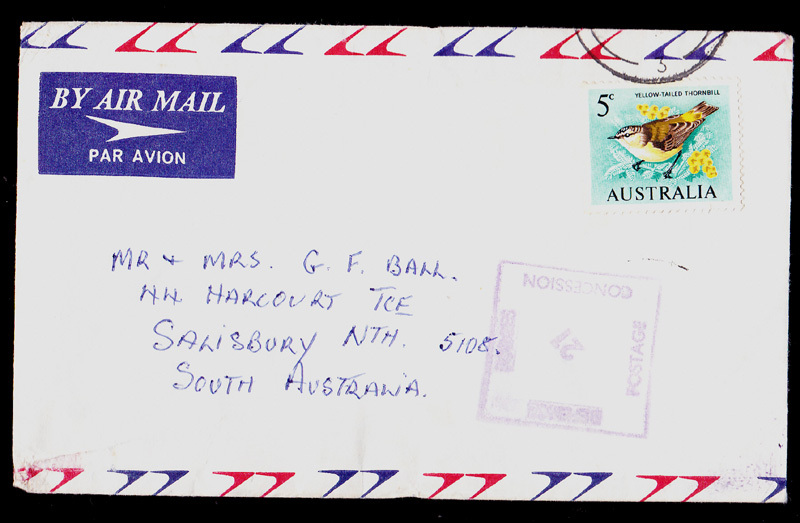 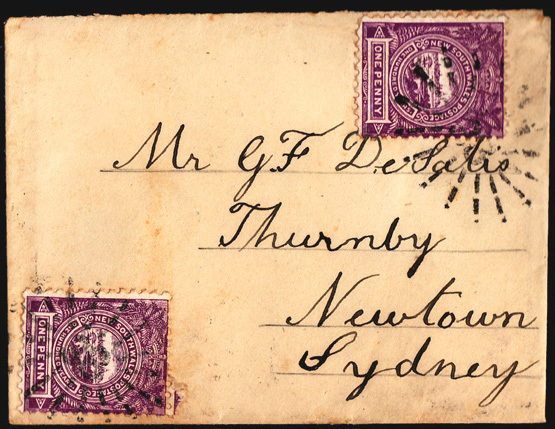 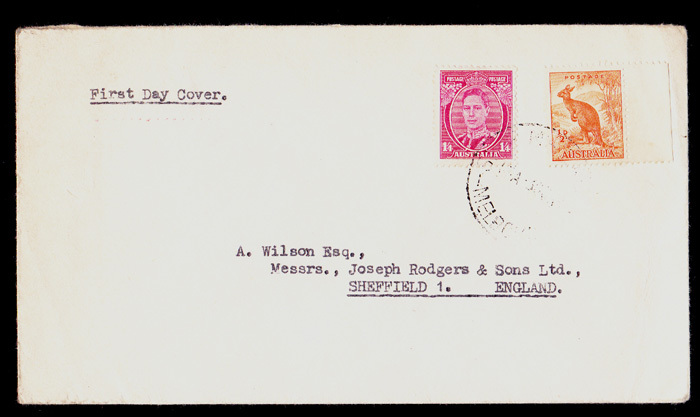 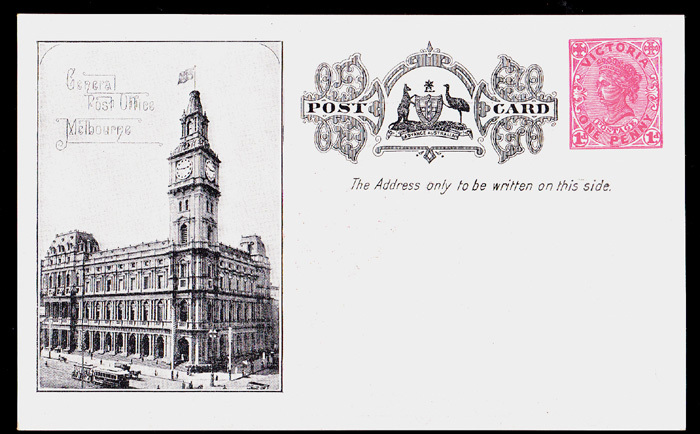 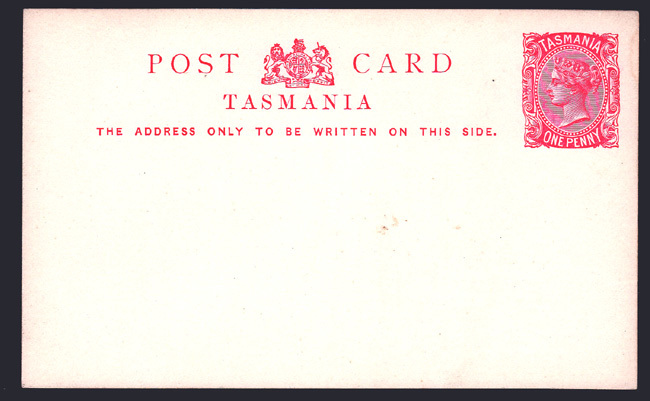 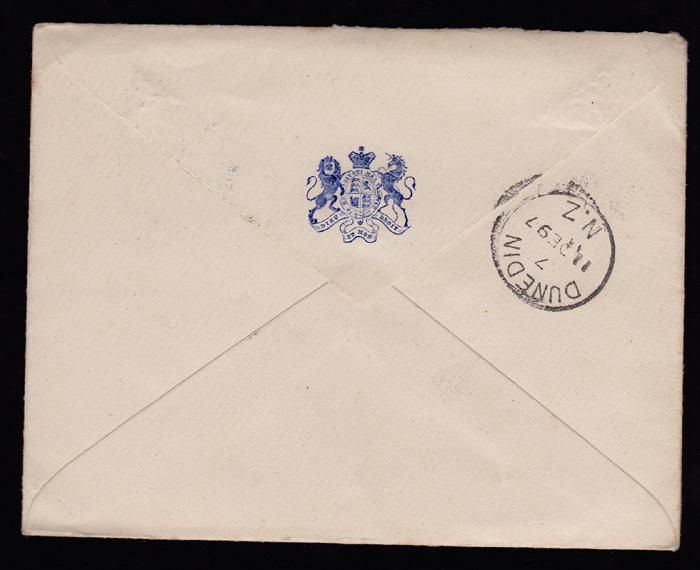 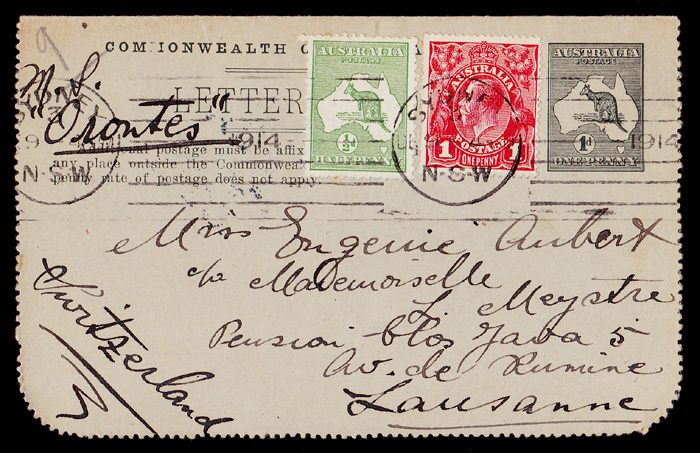 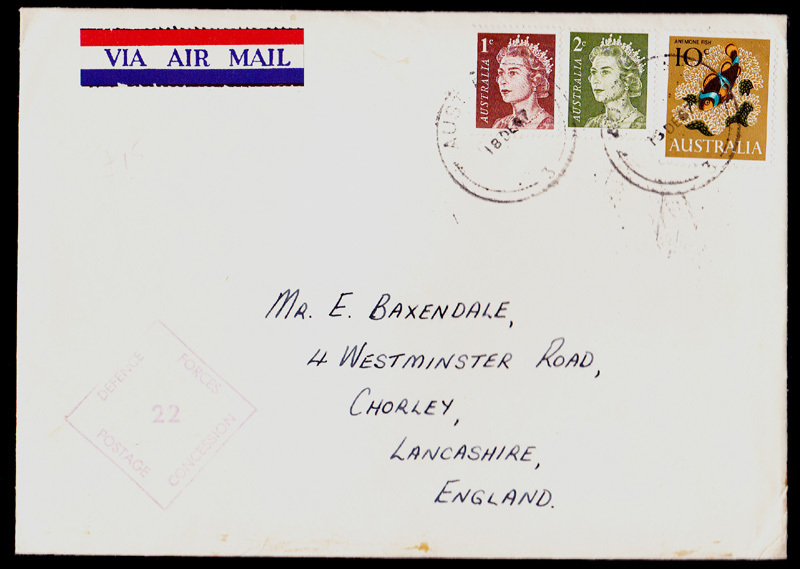 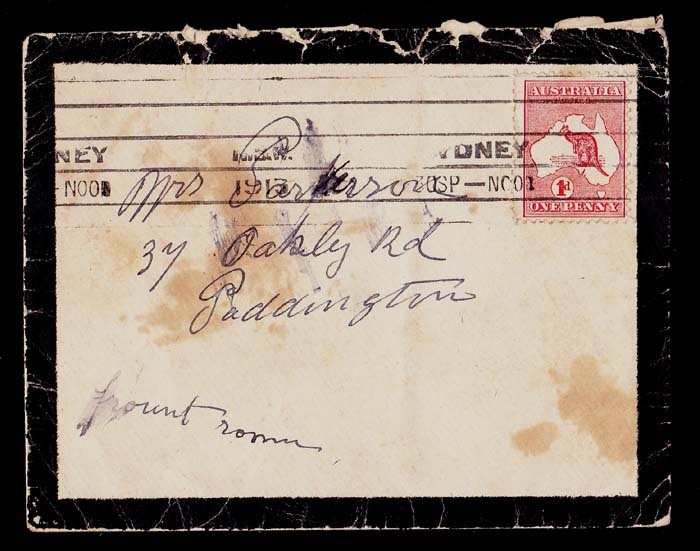 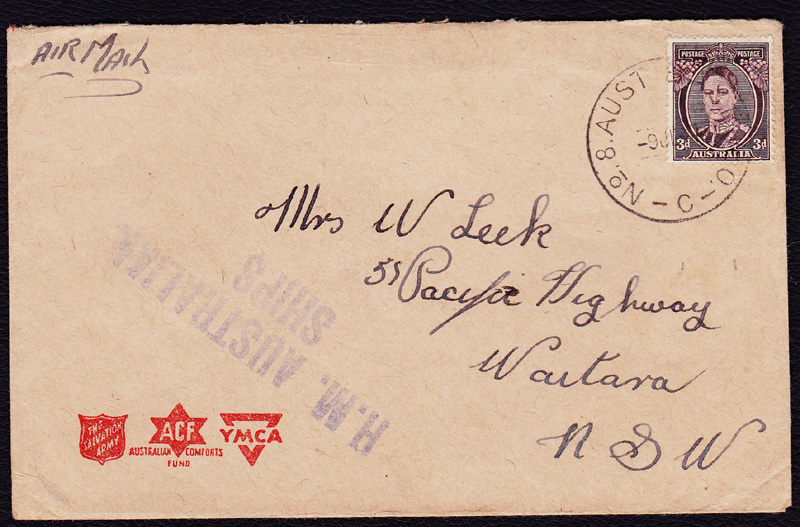 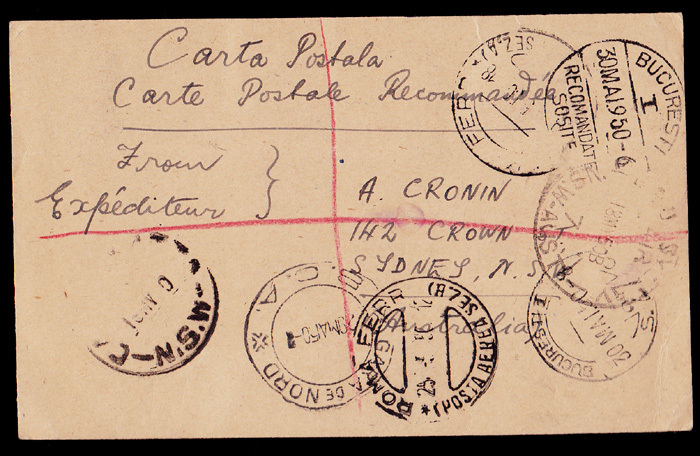 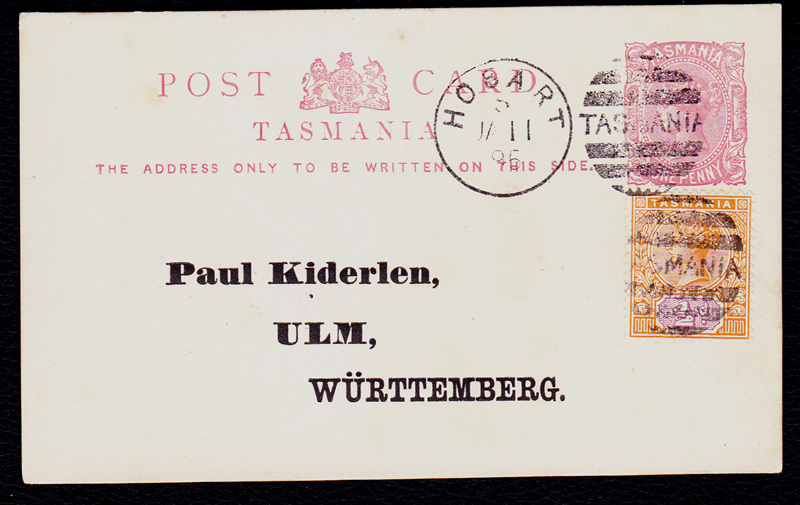 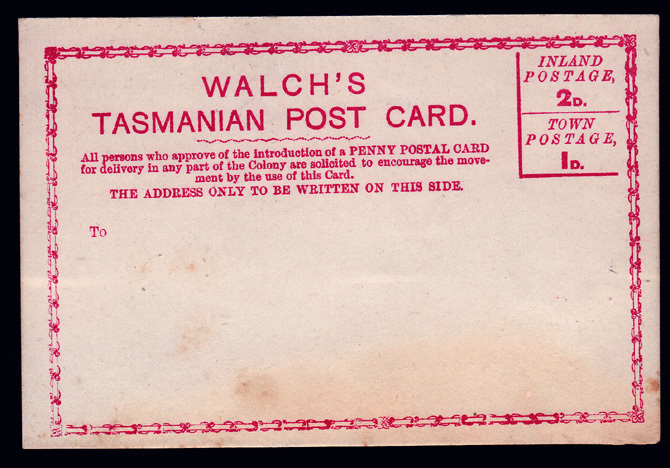 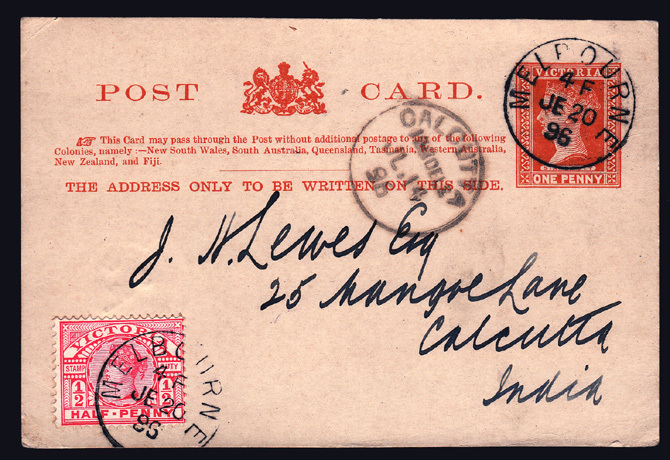 Uprated Victoria "Inscribed Stamp Duty"
Queensland QV ½d Green "Halfpenny Type"
2½d Purple on Blue .. 2d Blue "Fourth Sideface"
NSW 2d Blue "De La Rue"
"Registered Envelope to France via R.M.S.OMRAH"
Cachet "Royal Geographical Society of Australia"
PAID SHIP LETTER (Crown)Sydney .. Red Oval Handstamp. 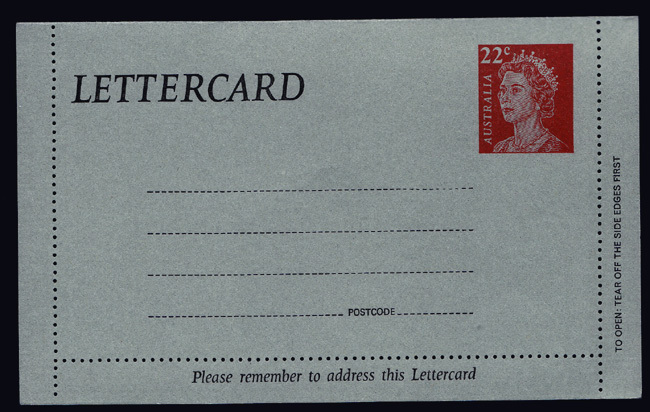 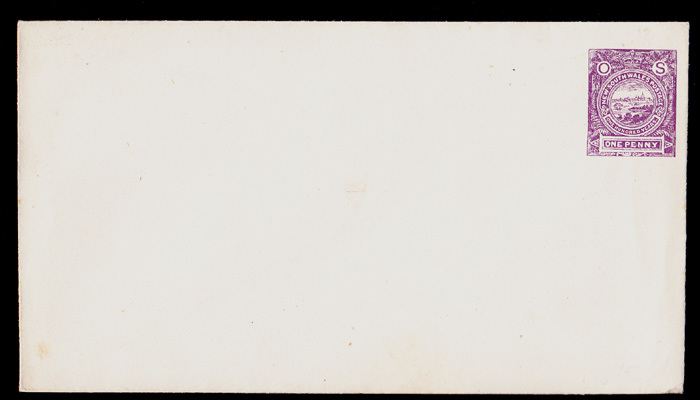 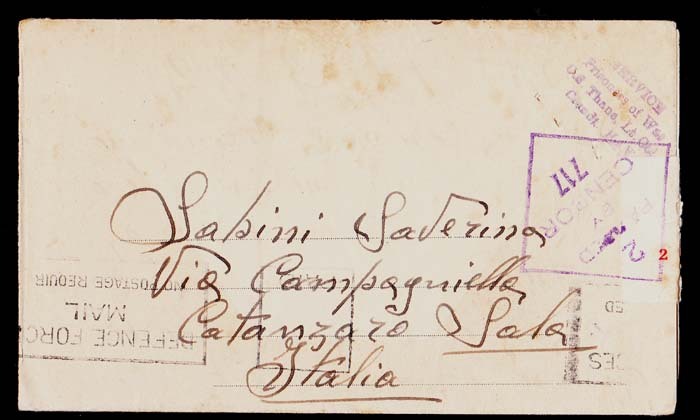 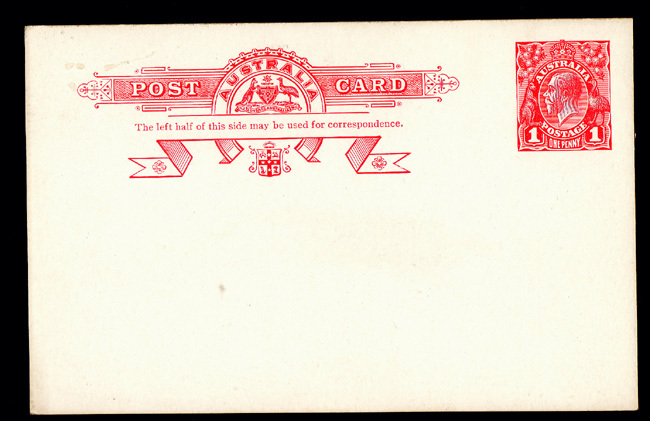 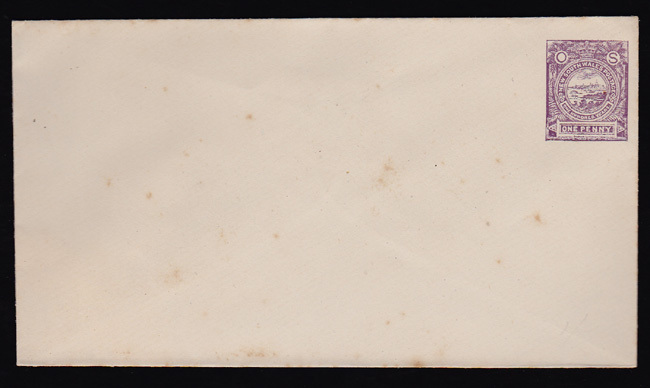 Large Manuscript "8" Ship Letter Rate. 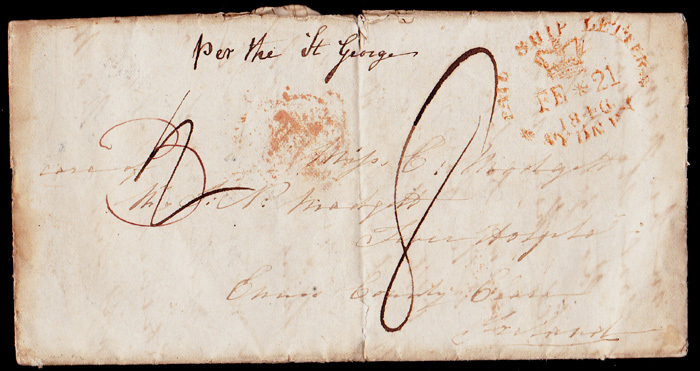 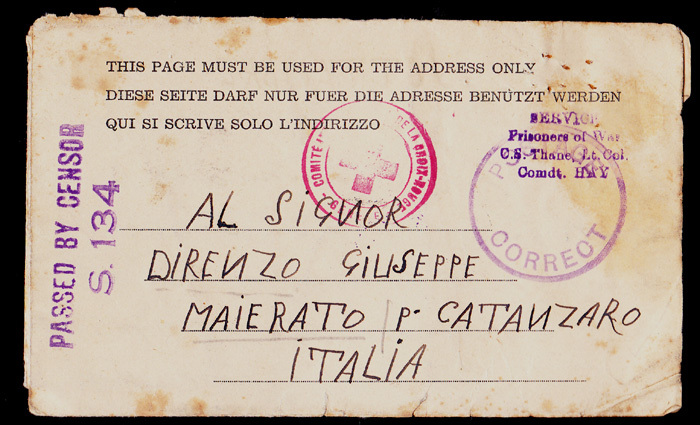 Manuscript "per the St.George" Ship that carried the letter. 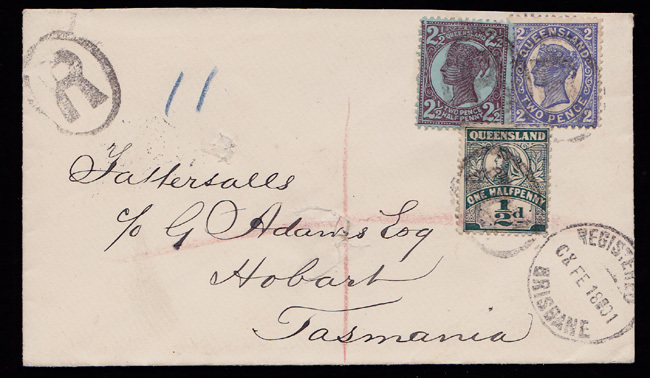 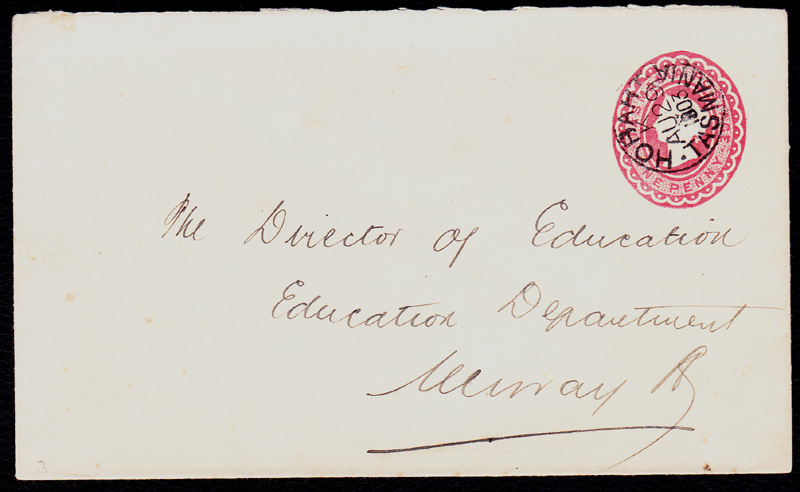 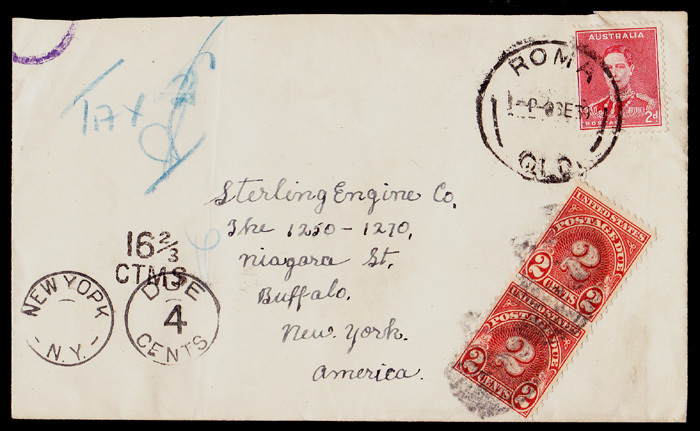 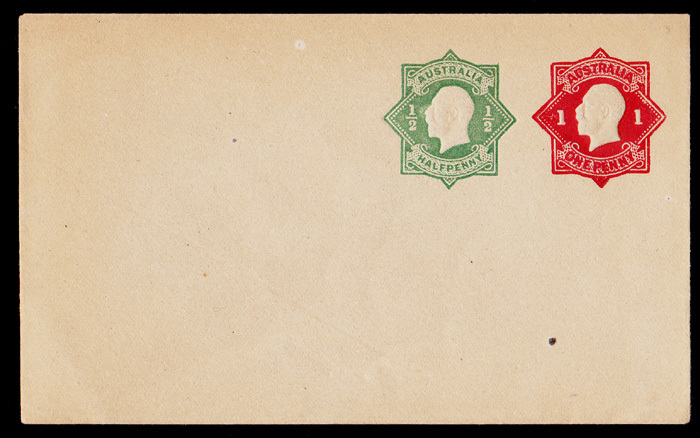 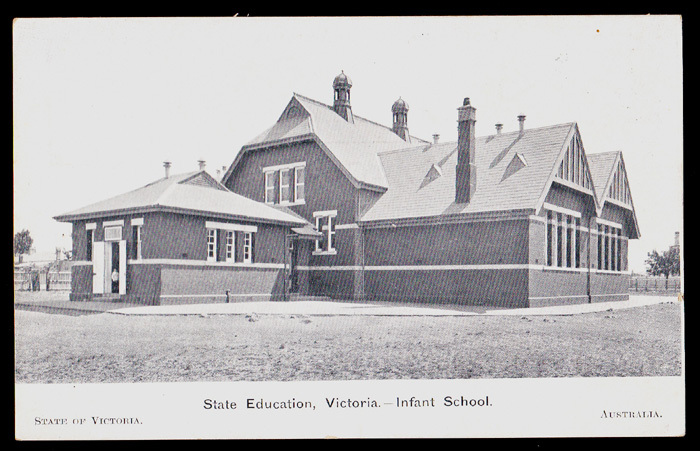 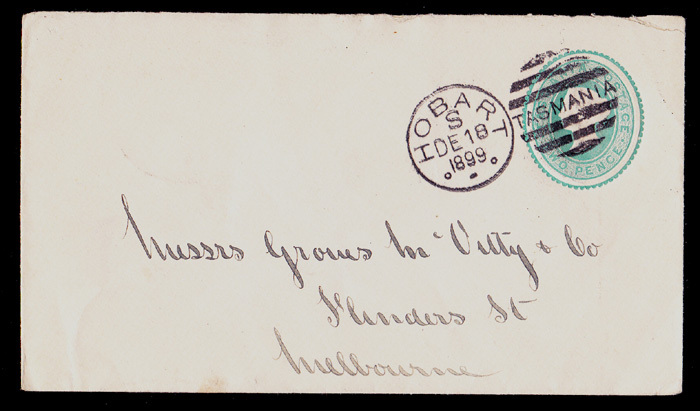 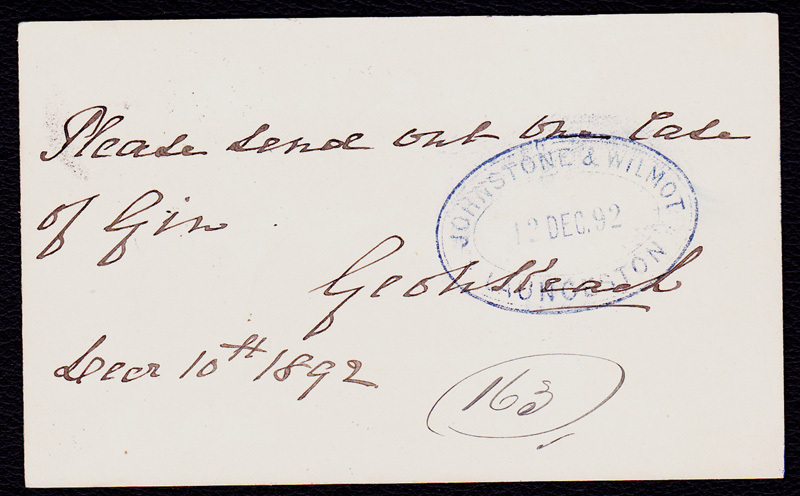 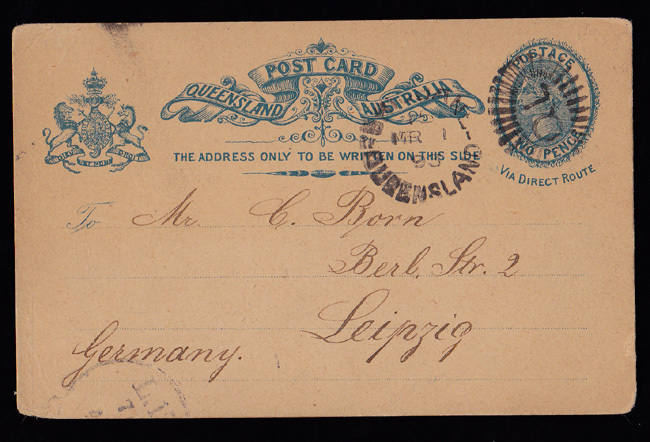 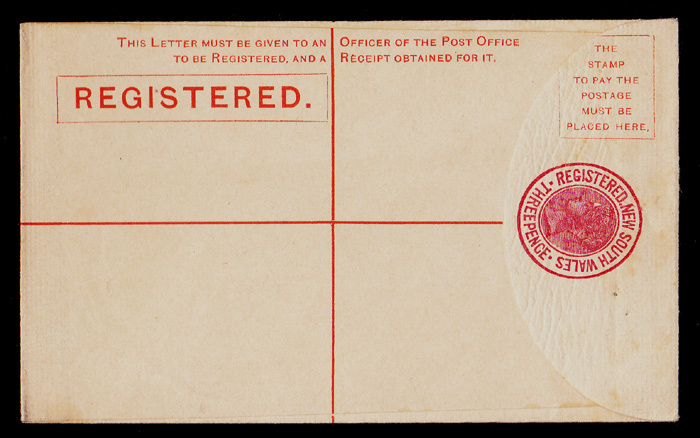 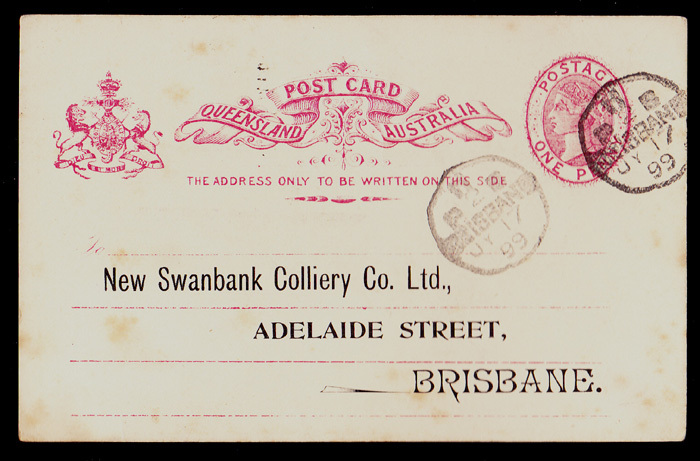 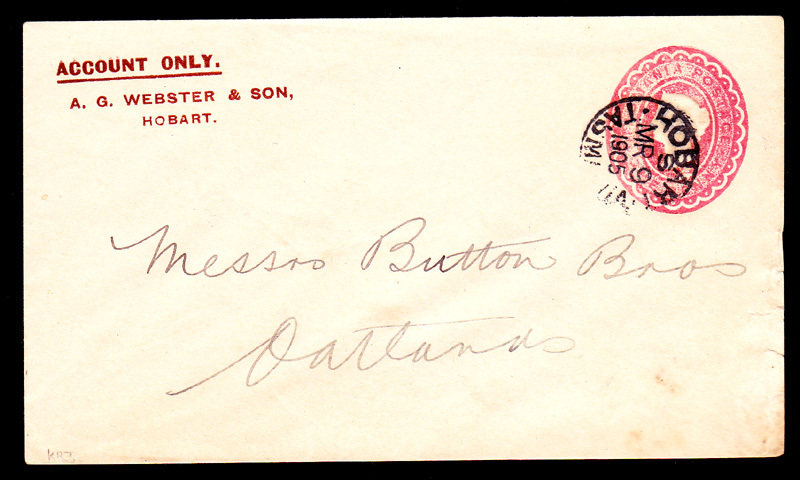 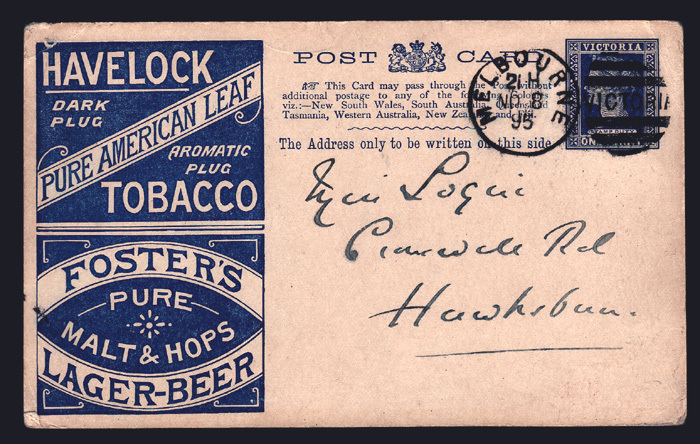 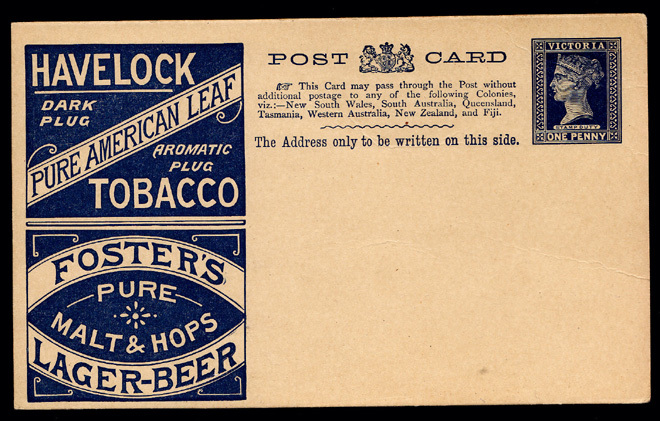 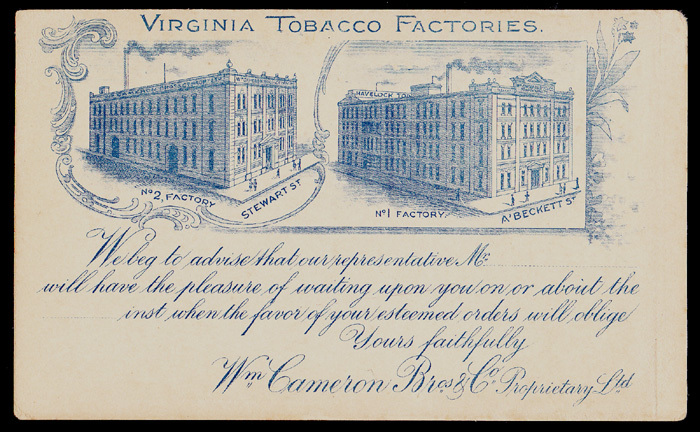 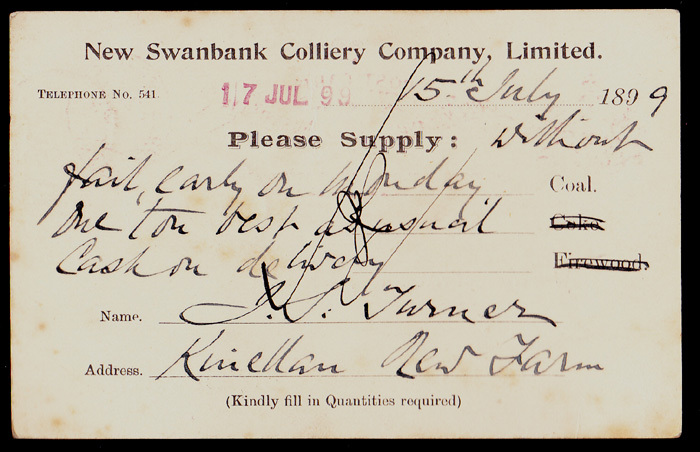 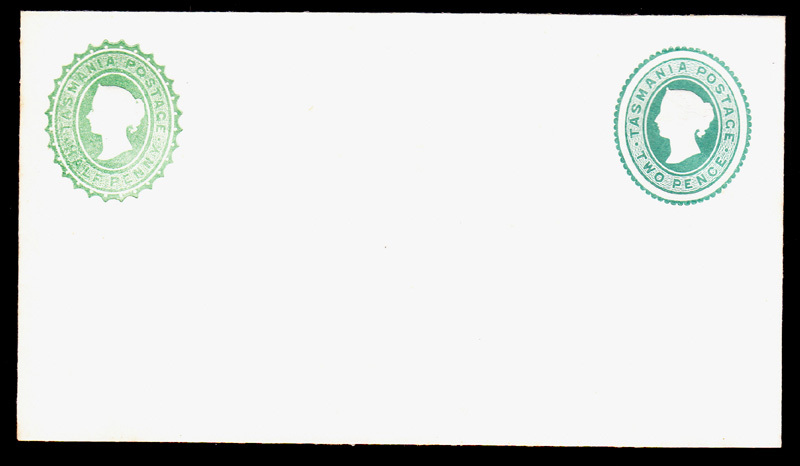 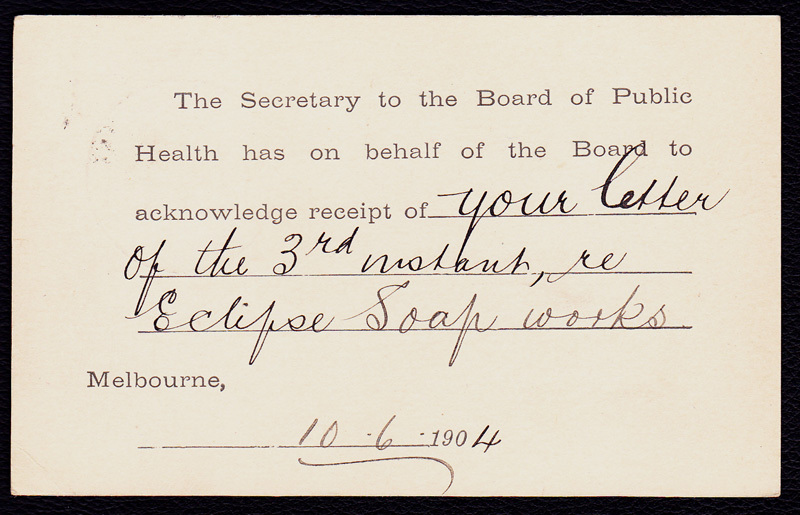 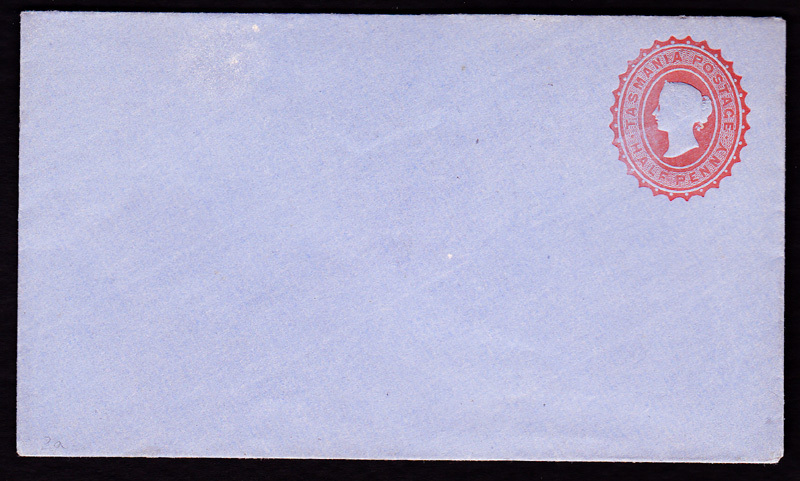 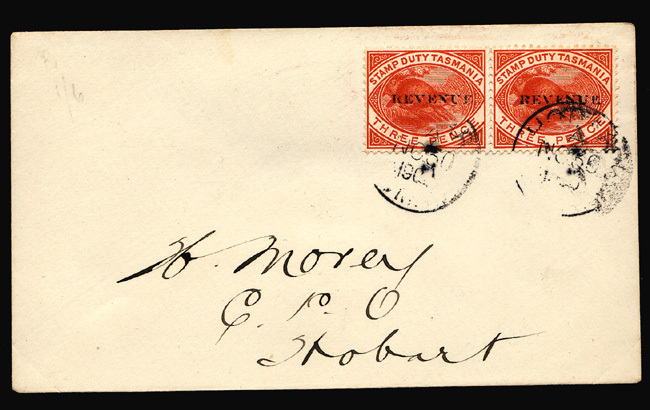 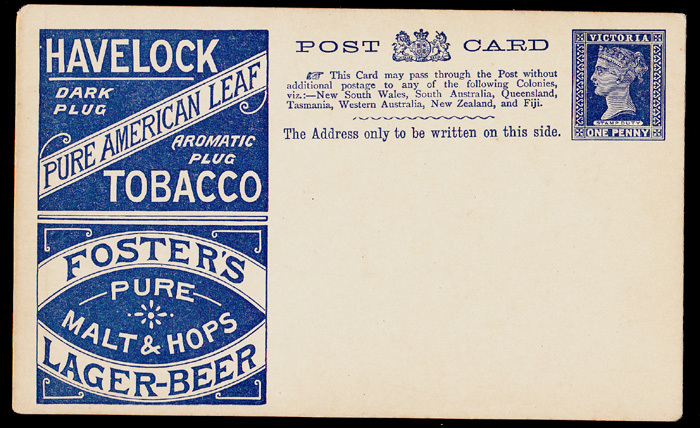 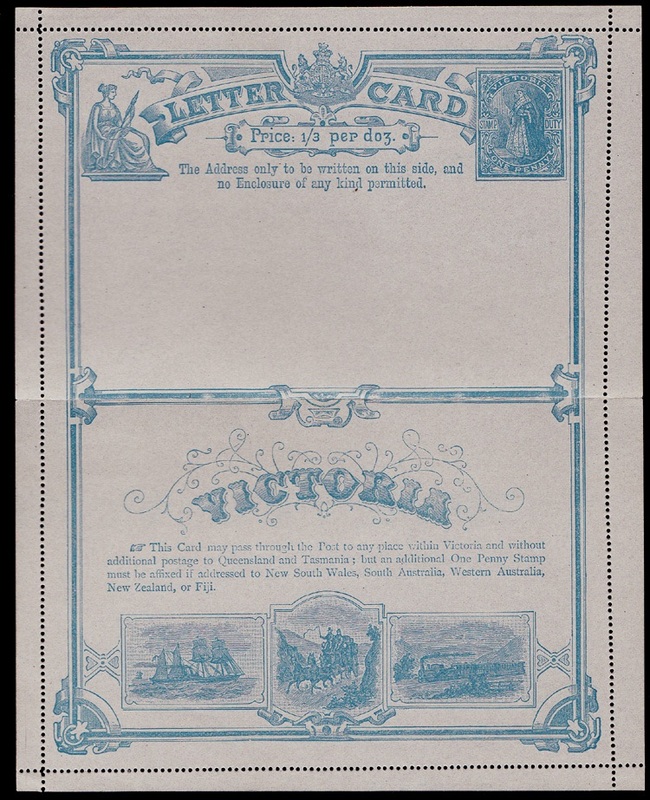 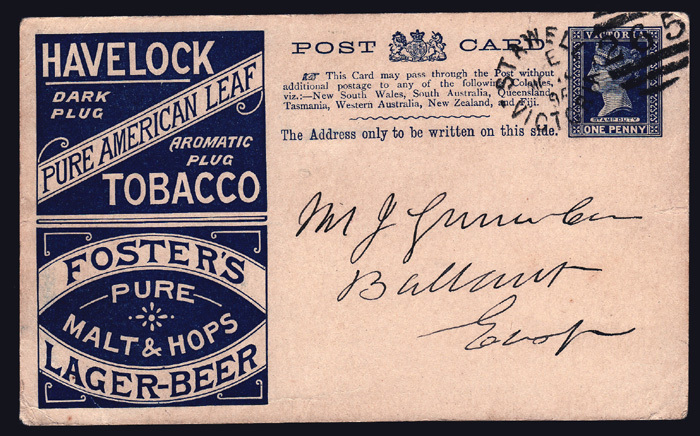 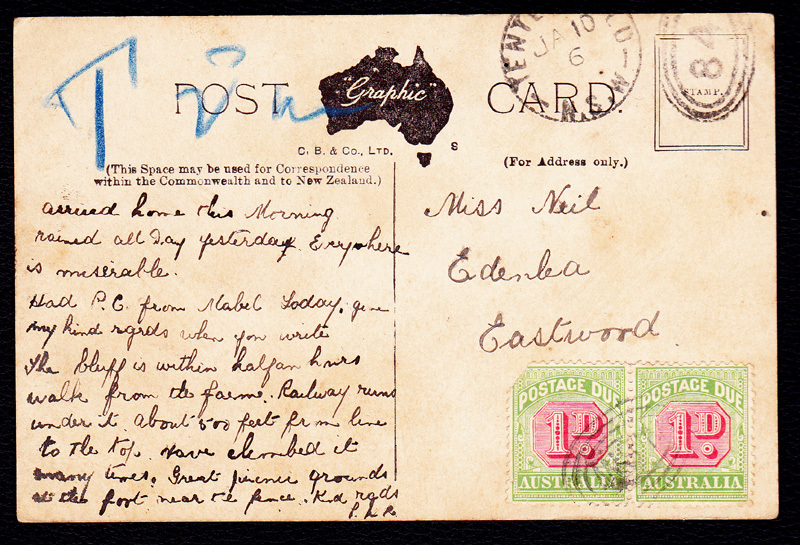 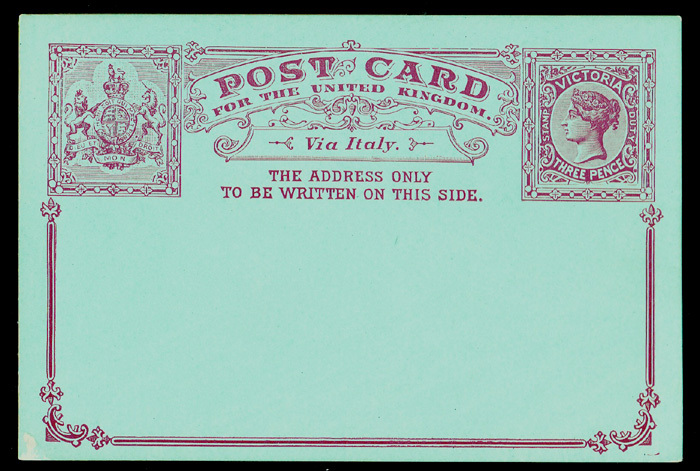 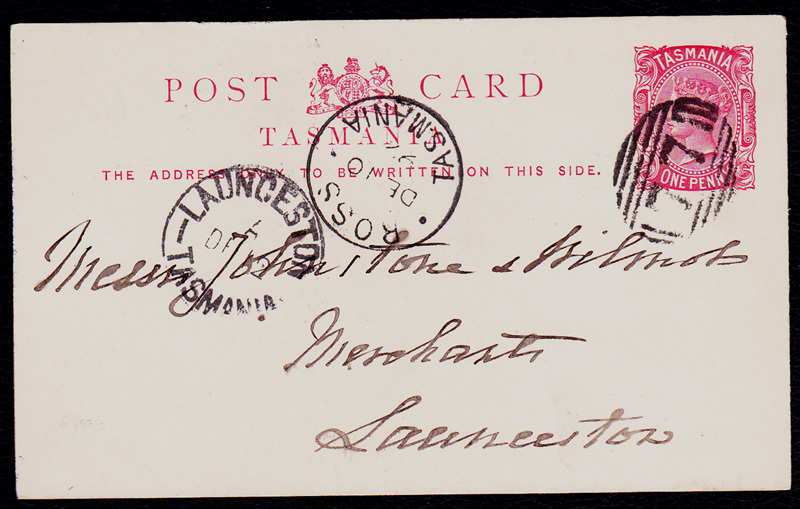 Receiving Blue Split Ring Cancel "Ennis"
Victoria 1/- Blue "Woodblocks Imperforate"
00/00/1888 NSW 1d Lilac Indicium "Centennial"
00/00/1890 NSW 2d Blue Indicium "Jubilee"
00/00/1890 NSW 3d Green Indicium "Jubilee"
00/00/1890 NSW 1d Violet Pair Indicium "Centennial"
09/07/1893 Tasmania QV 1d Red "Doubleton"
26/04/1894 NSW 2d Blue Indicium "Centennial"
20/06/1896 Victoria QV 1d Orange Indicium ..Inscibed"Stamp Duty"
Uprated Victoria QV ½d Red "New Stamp Design"
Commercial Post Card from "New Swanbank Colliery"
1d Red Perfin OS "Commonwealth Period, Inscribed Postage"
Government House Perth "Trimmed Oval"
Pineapples Queensland .. "Oval Version"
Uprated War Tax ½d "Overprinted Three Halfpence"
00/00/1930 KGV 2d on 1½d Red "Surcharge Issues"
00/00/1943 KGV1 2d Violet "Sideface"
00/00/1952 KGV1 3d Green "Sideface"
22/08/1891 Victoria 1d QV Orange"Inscribed Stamp Duty"
26/08/1907 NSW 1d Red "Shield"
Tied by Stockton cds/NSW "355"
"Taxed Double Rate Of Postage"
07/03/1962 "Stampless" Cover NURIOOTPA STH.AUST.to Adelaide SA. 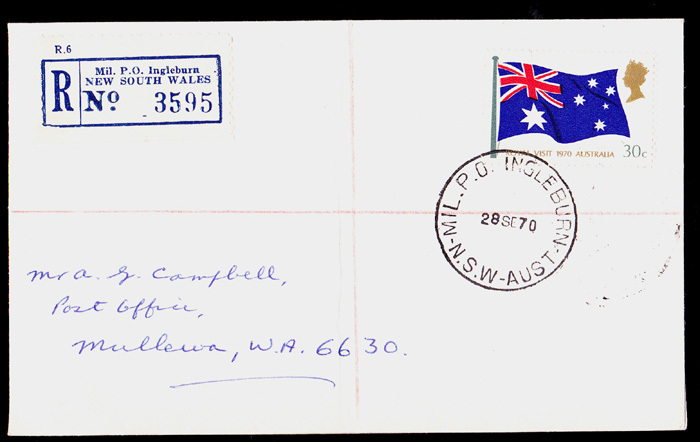 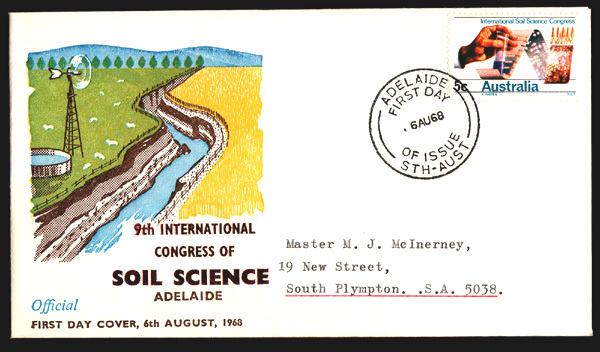 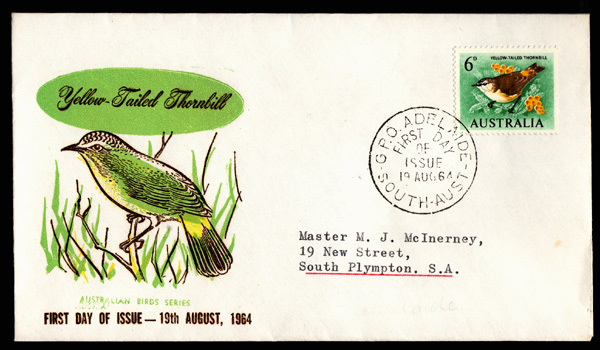 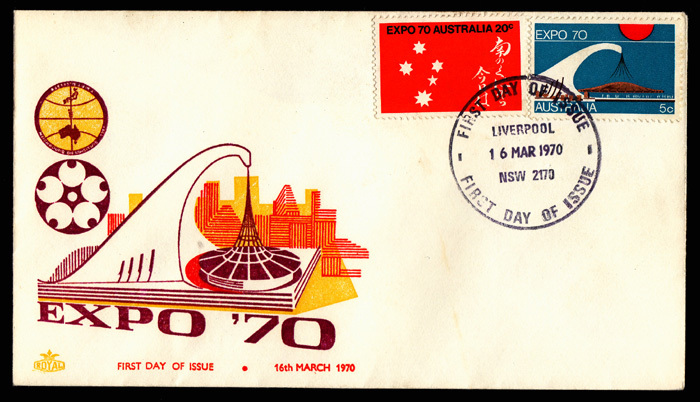 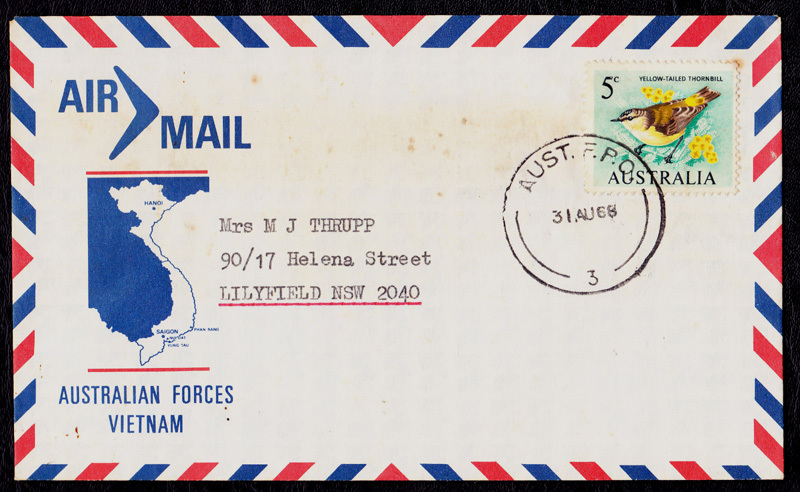 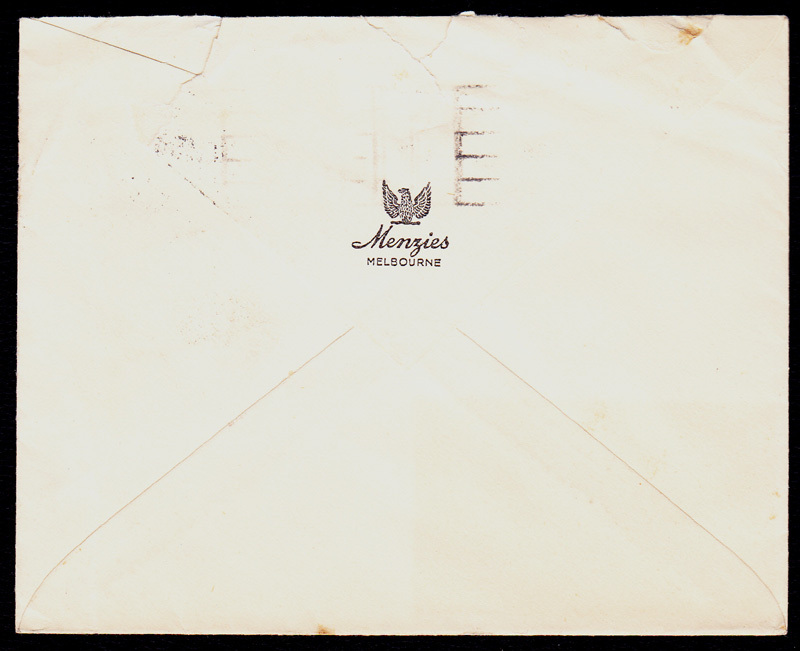 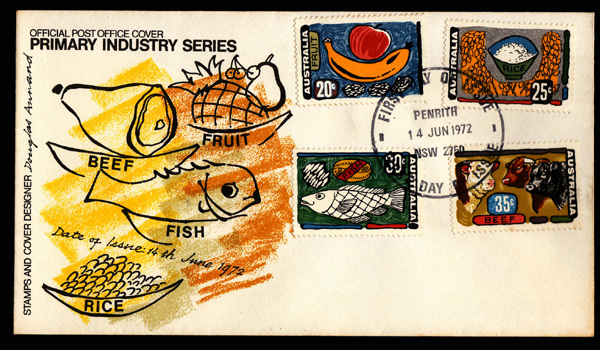 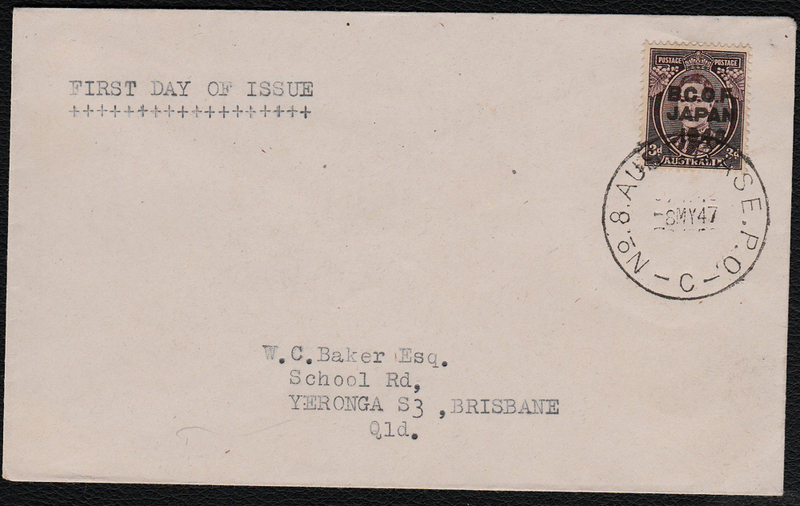 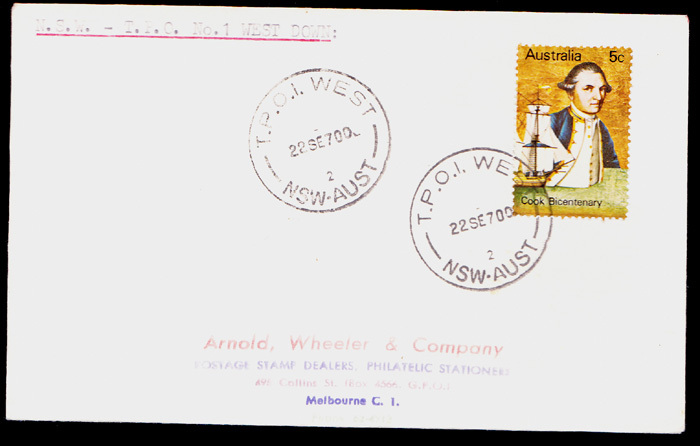 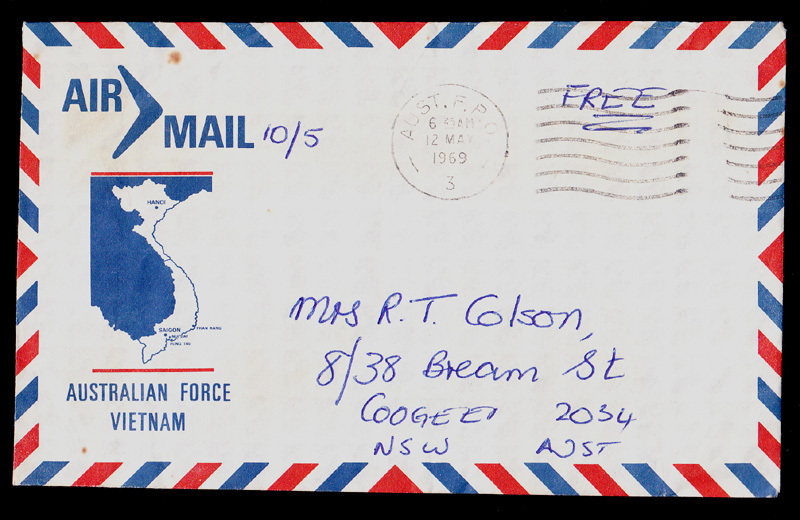 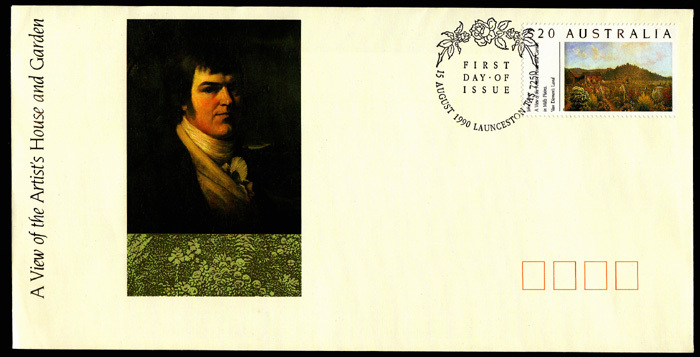 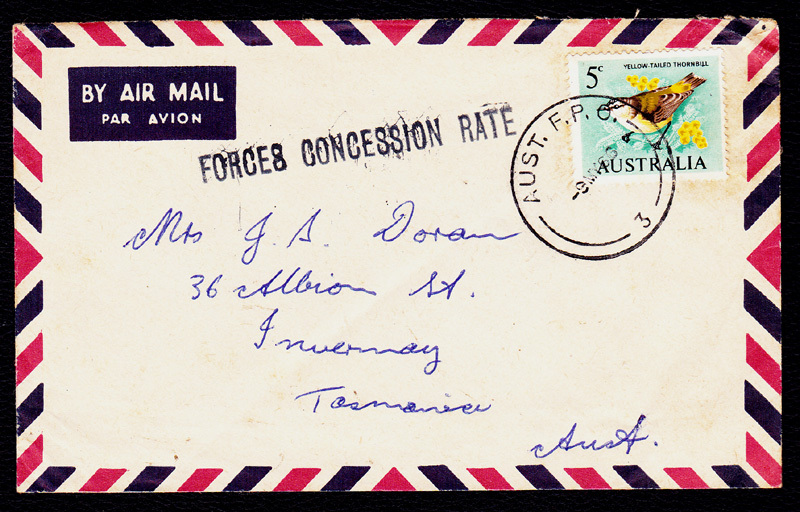 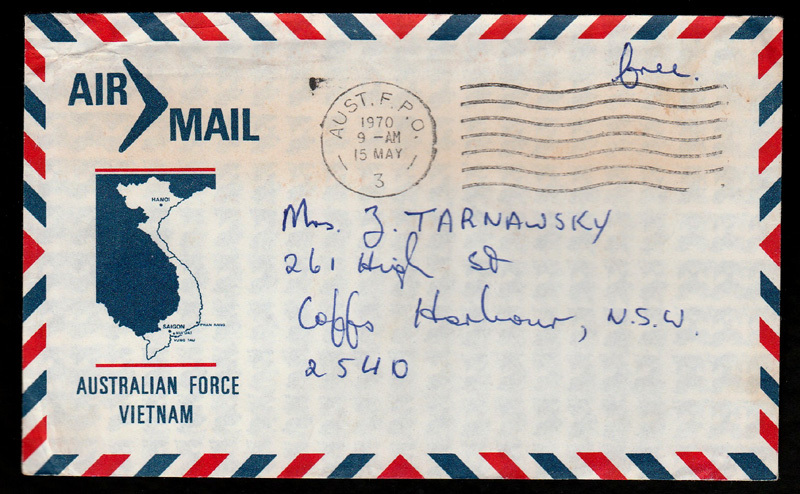 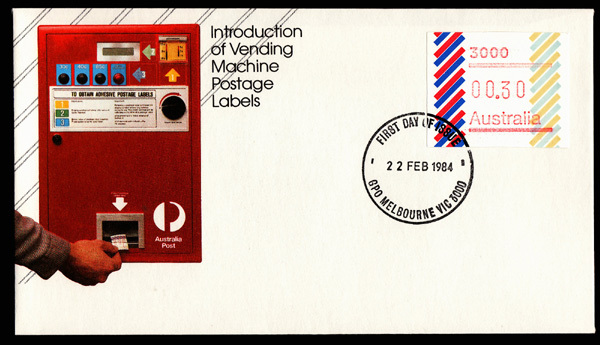 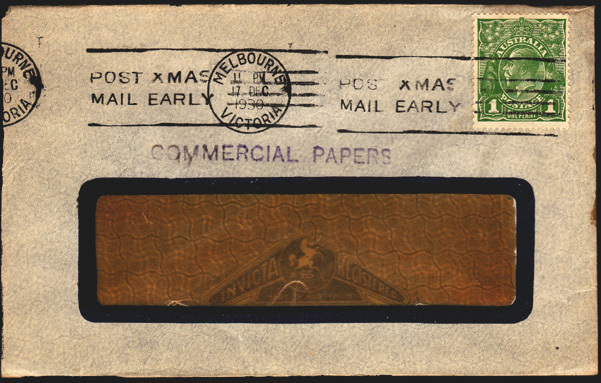 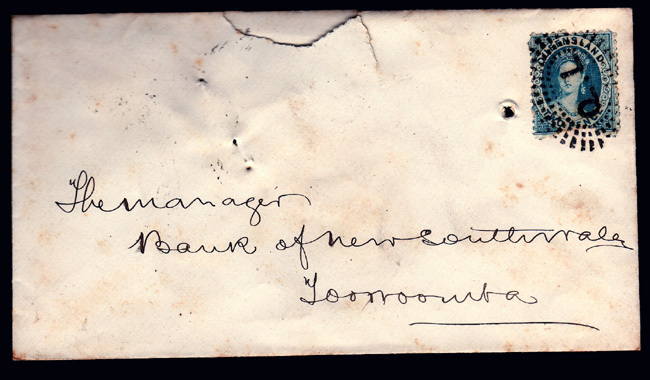 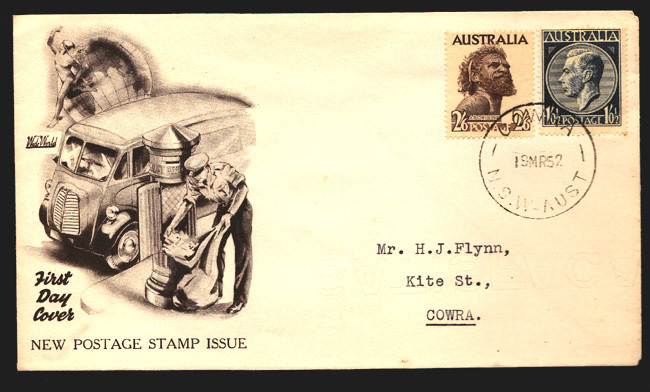 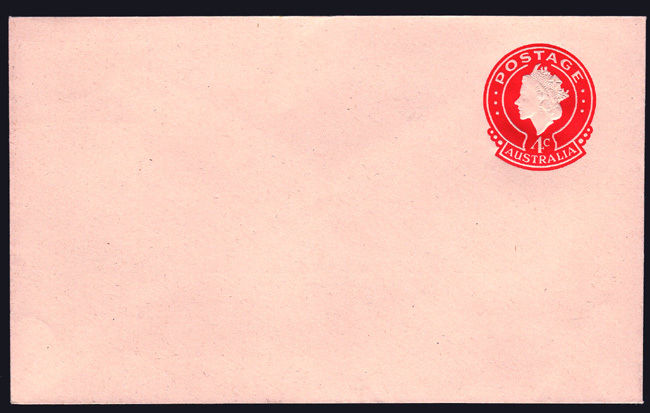 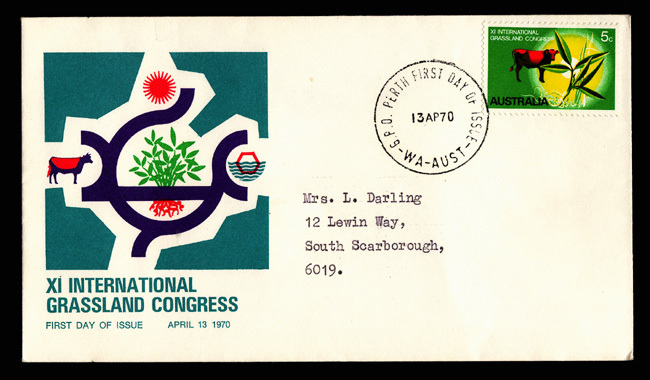 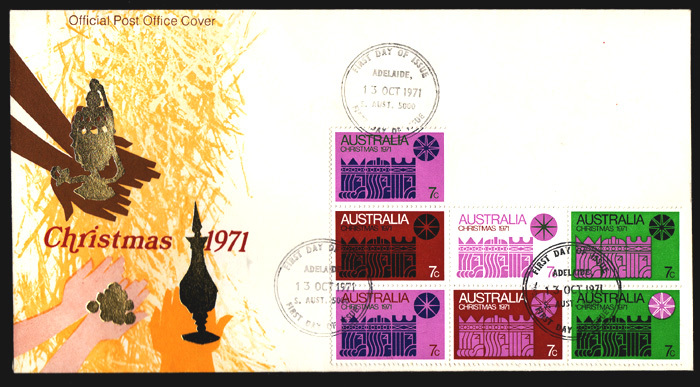 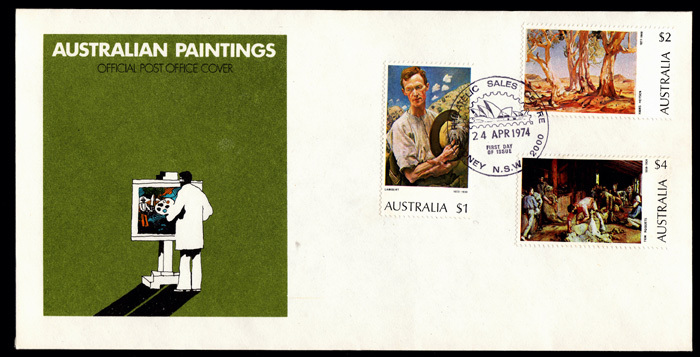 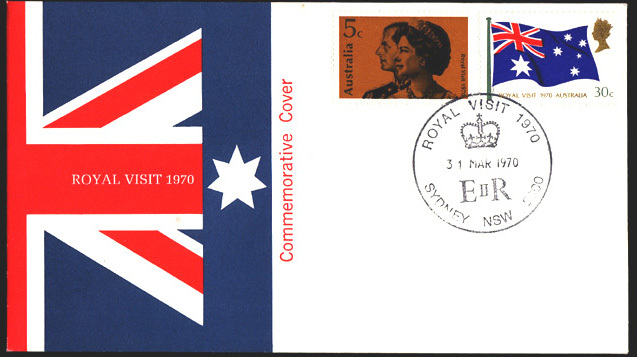 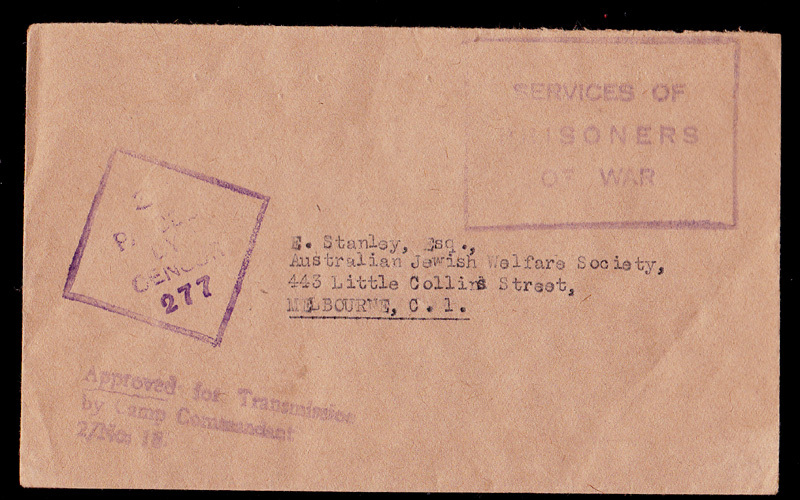 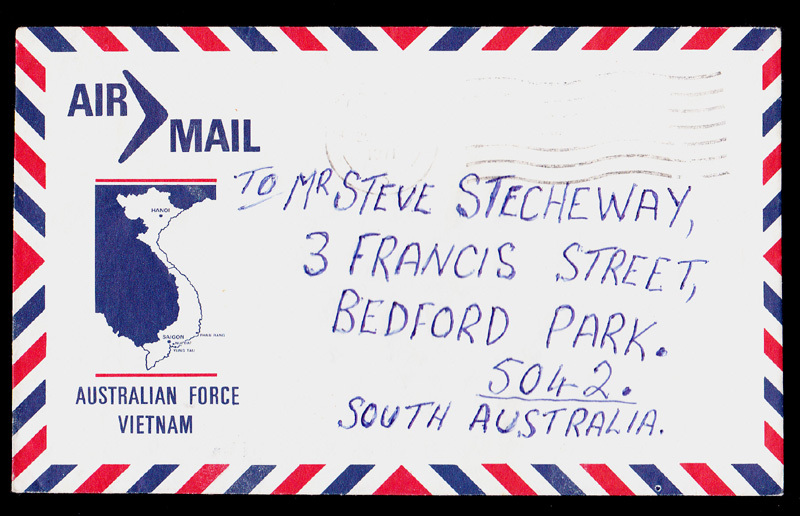 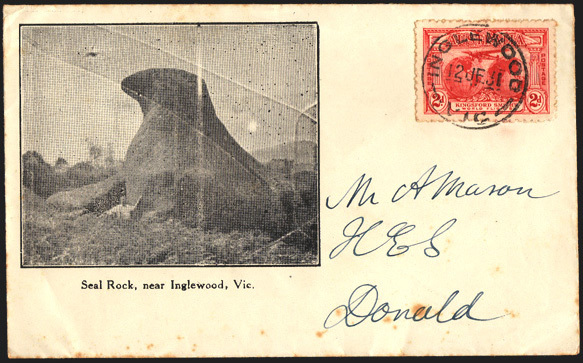 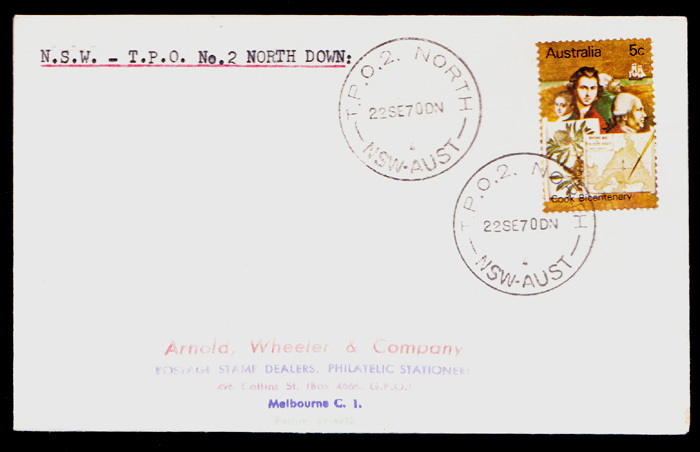 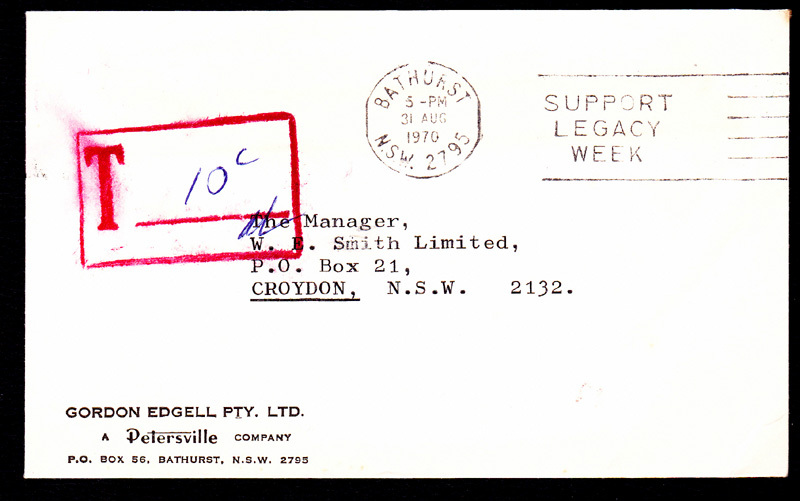 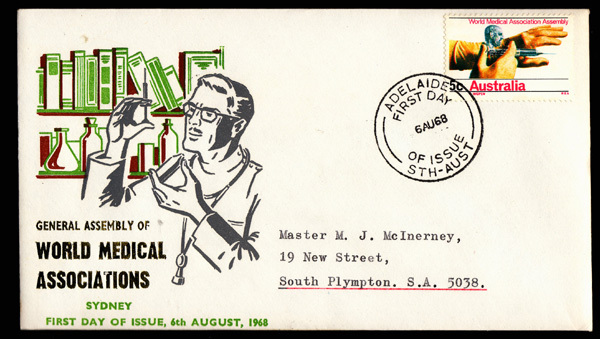 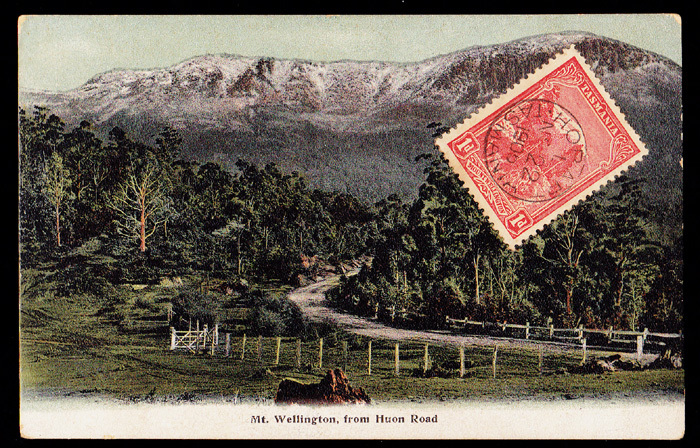 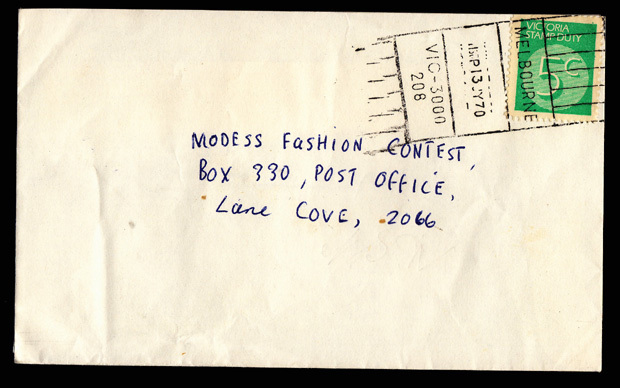 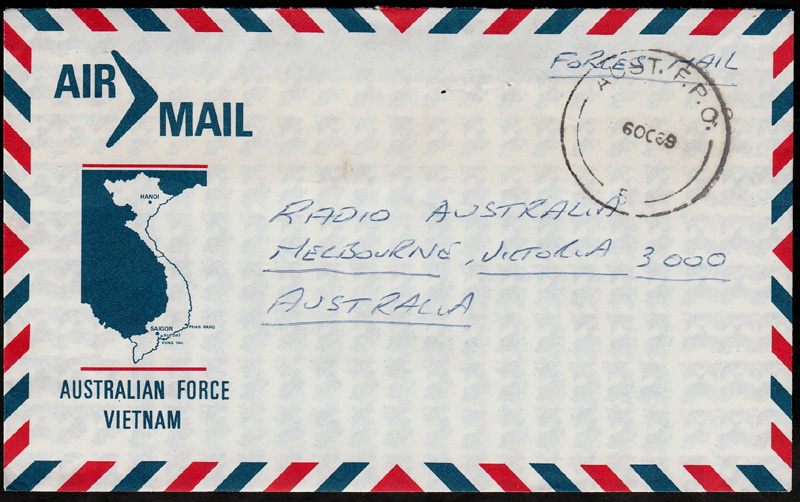 13/08/1970 "Stampless" Commercial Cover Bathurst to Croydon NSW. 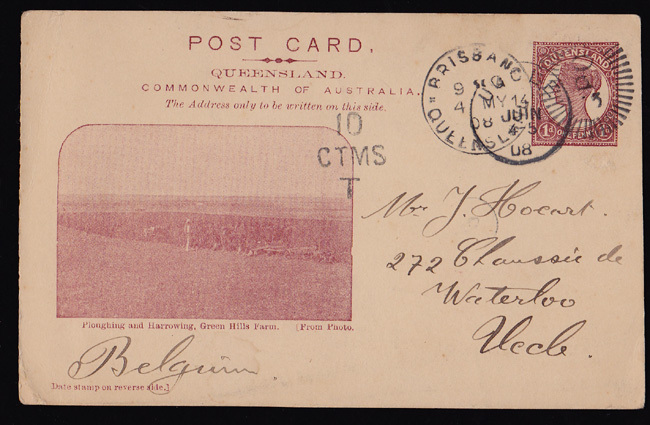 Tied by BATHURST, NSW Machine Cancel. 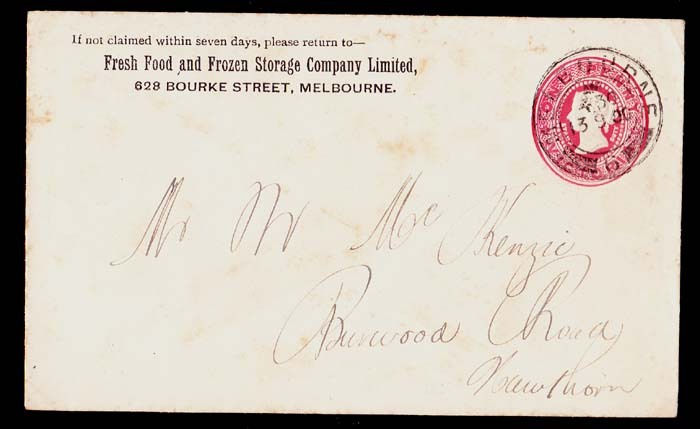 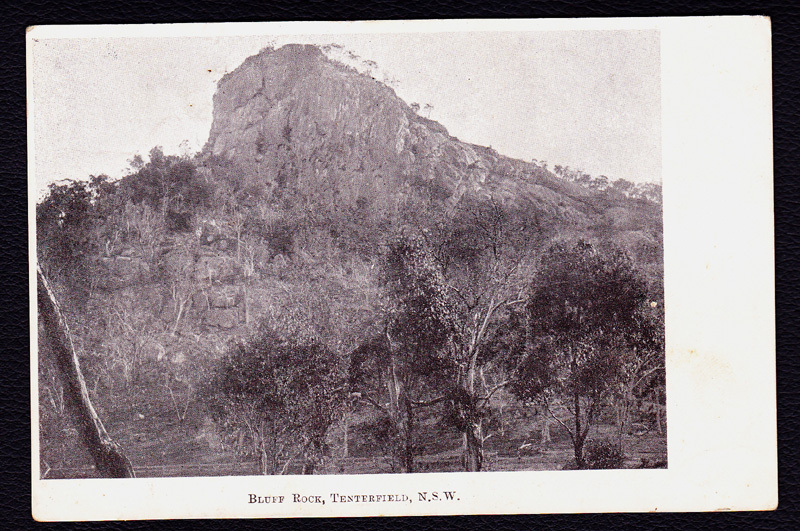 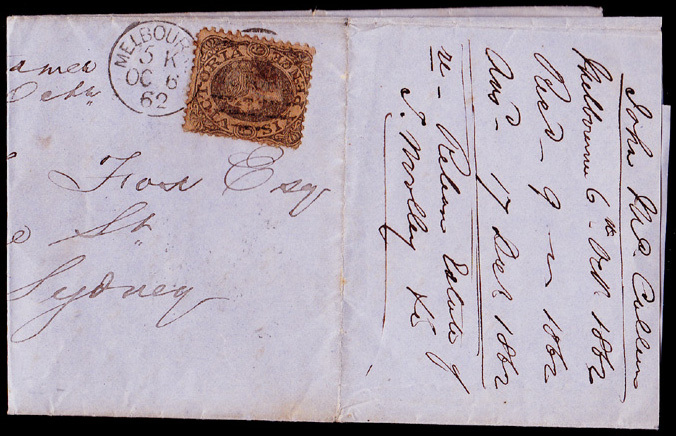 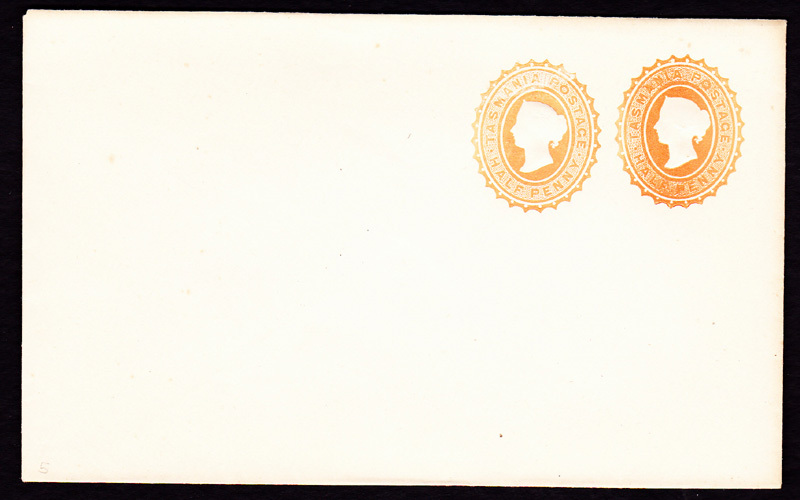 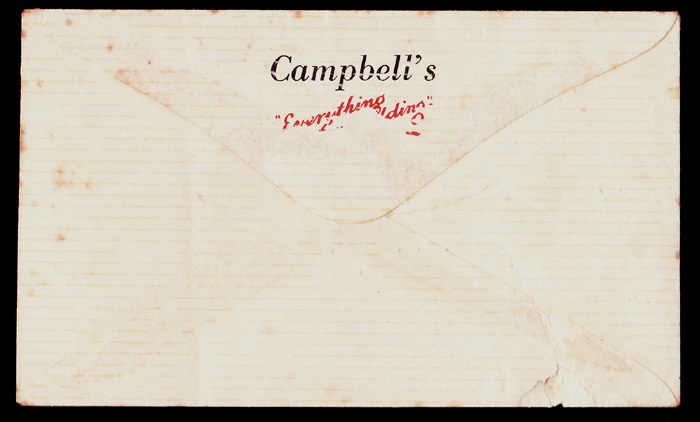 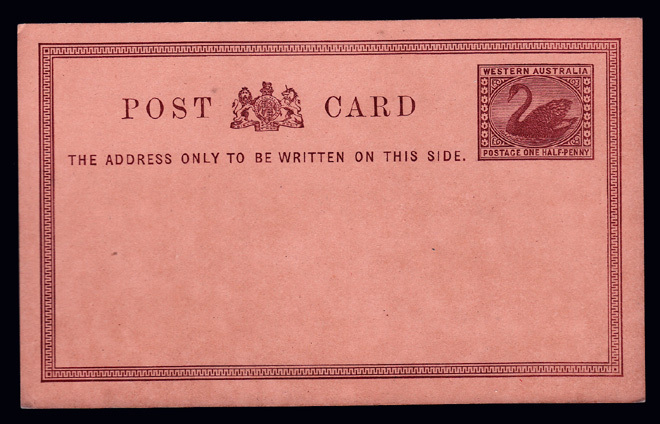 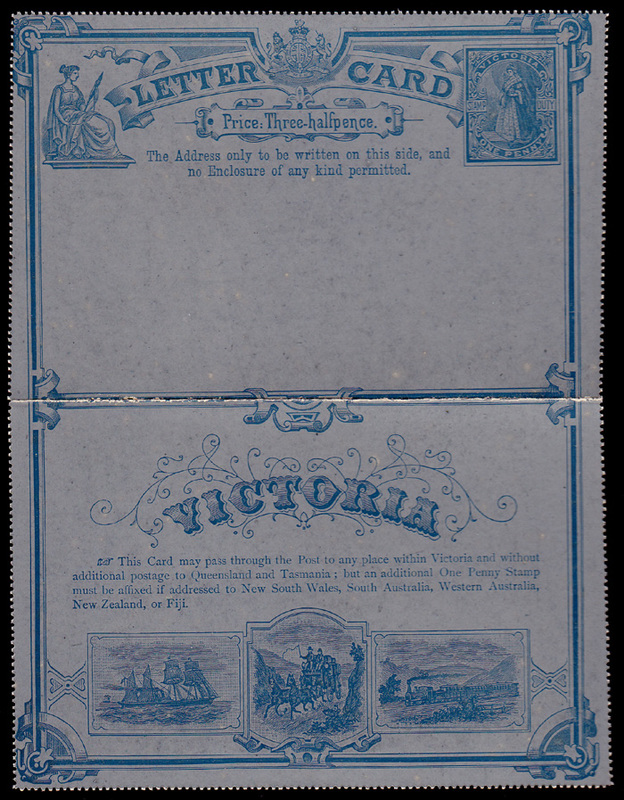 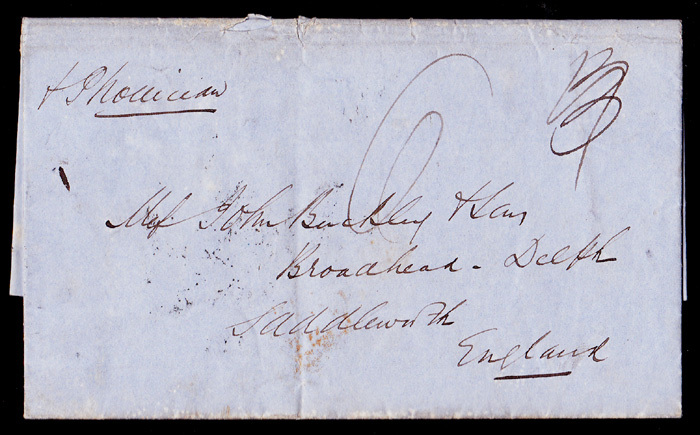 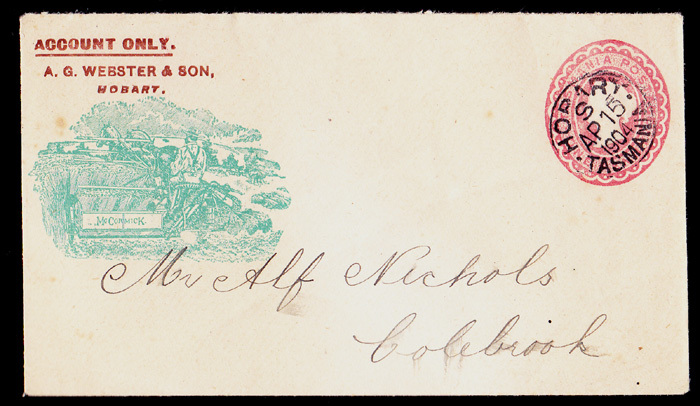 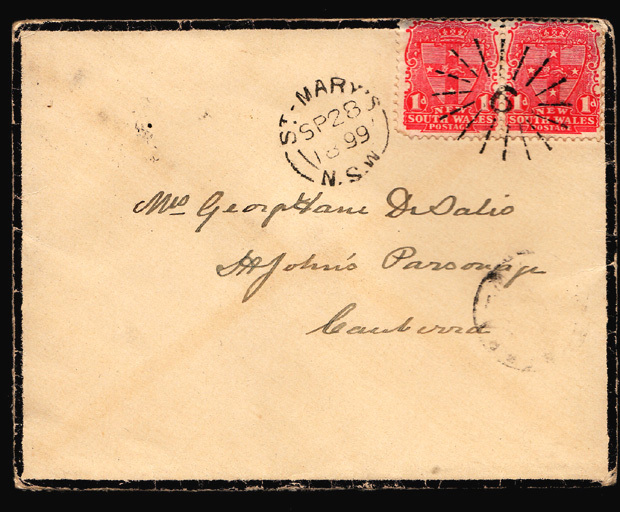 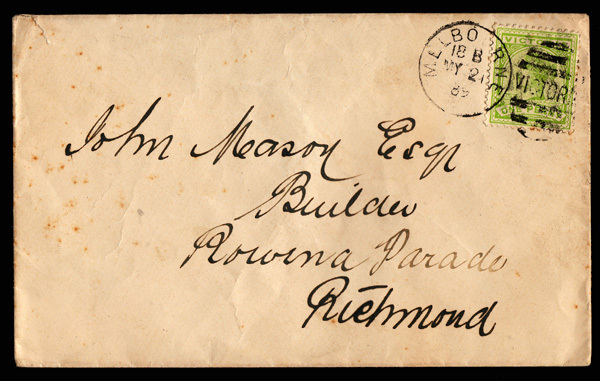 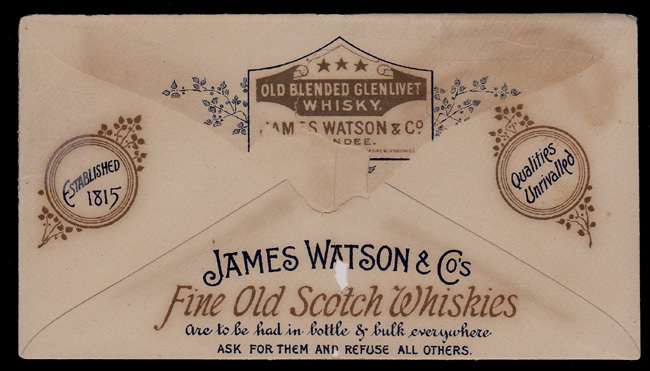 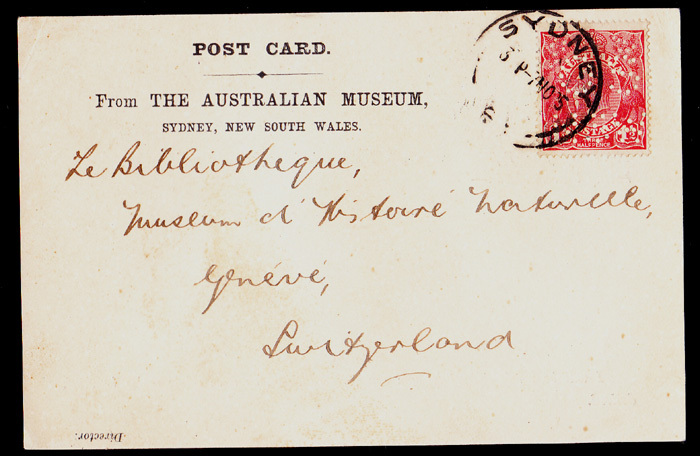 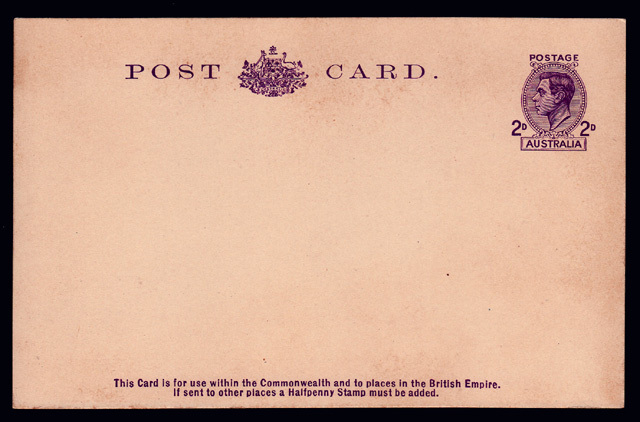 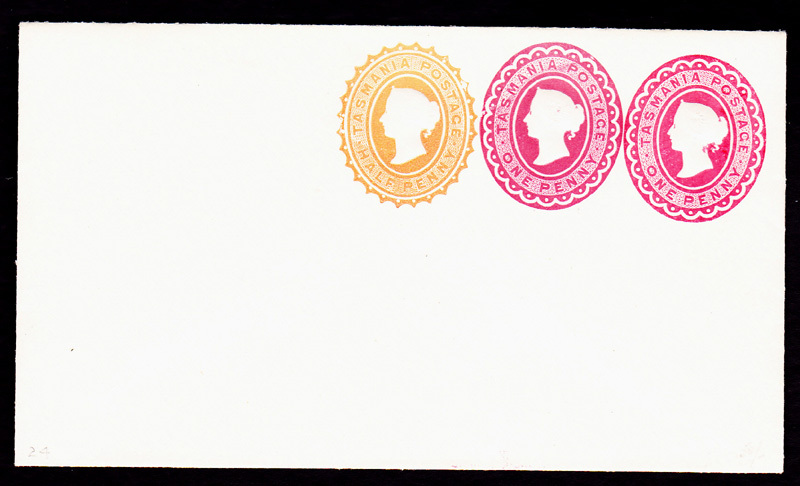 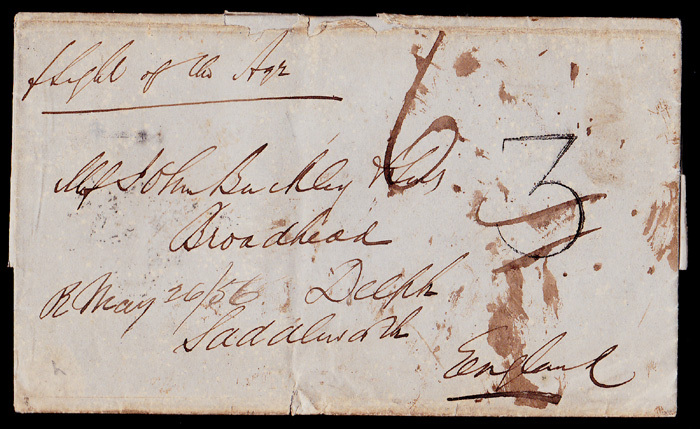 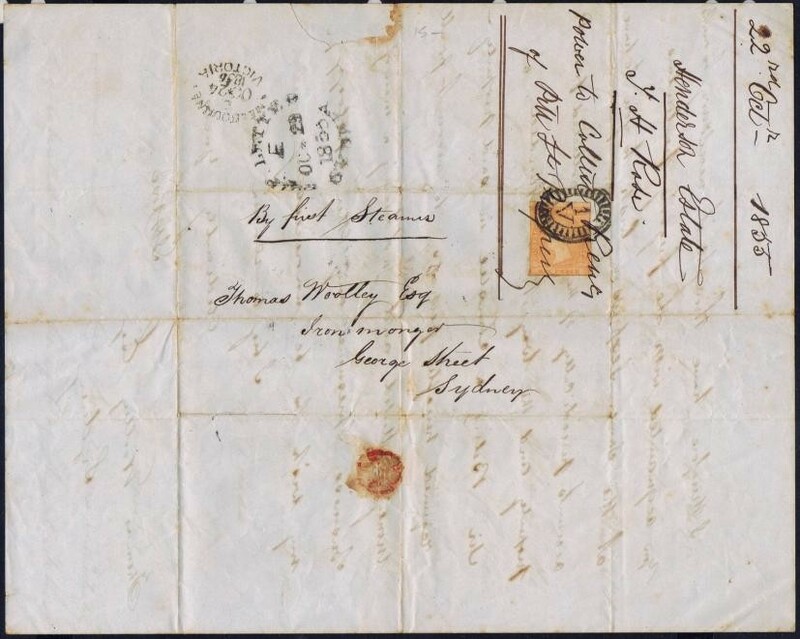 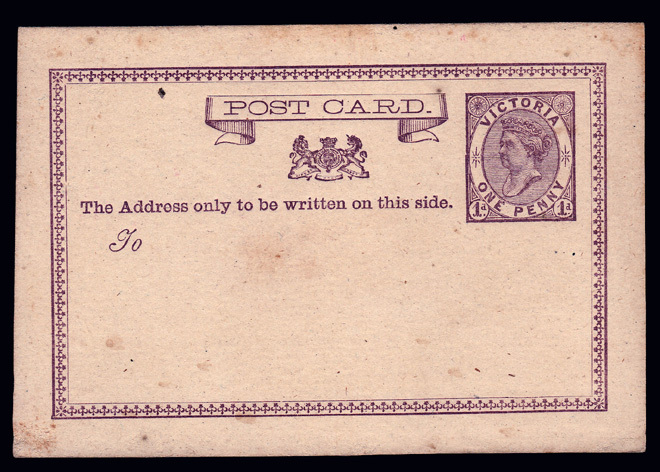 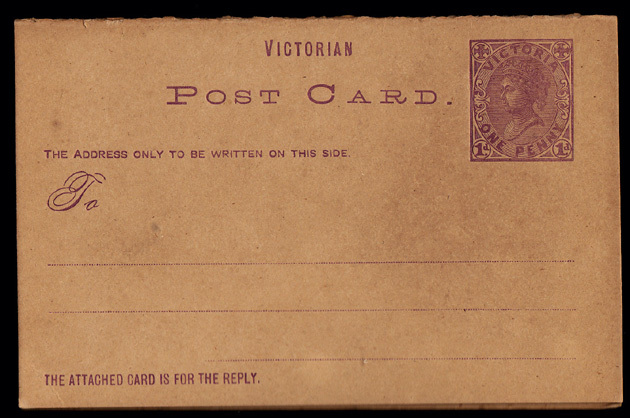 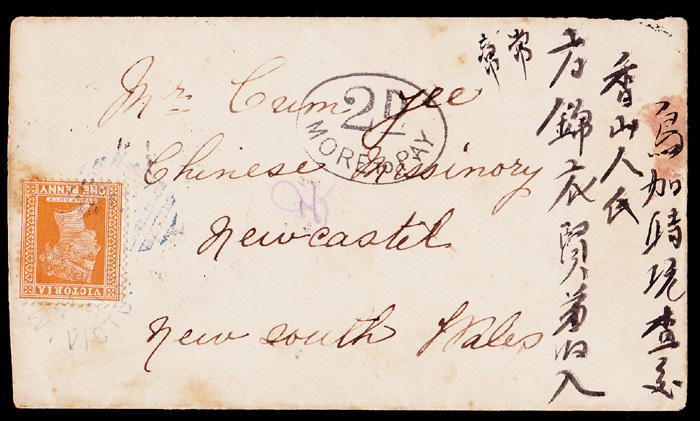 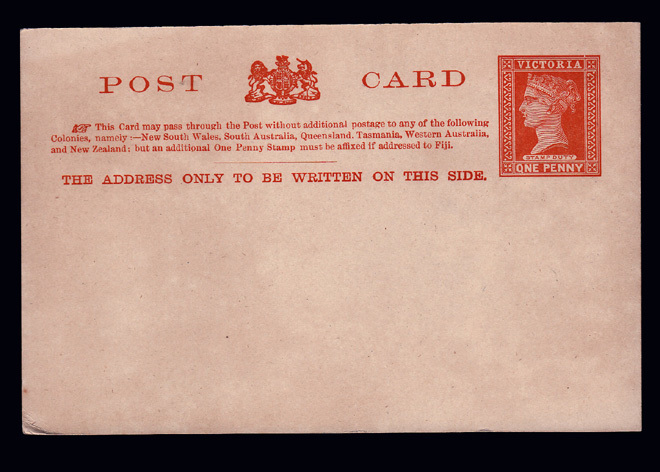 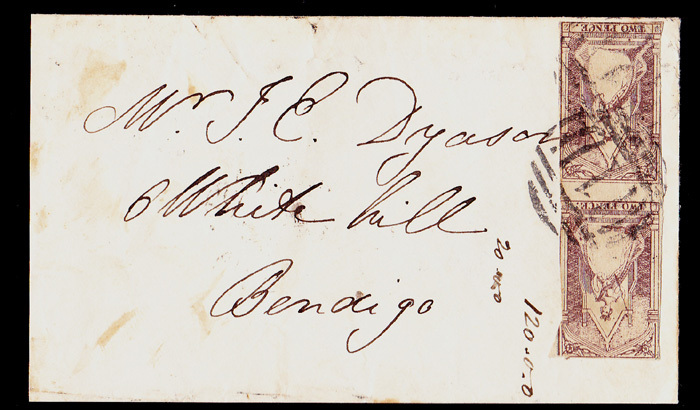 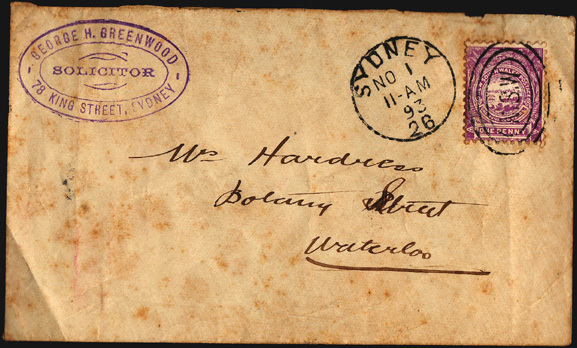 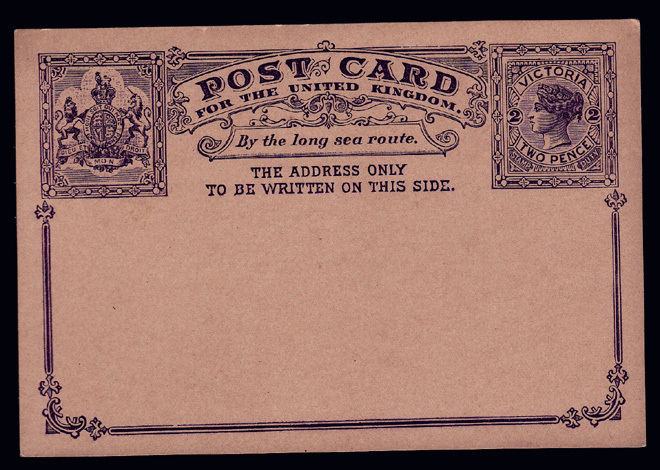 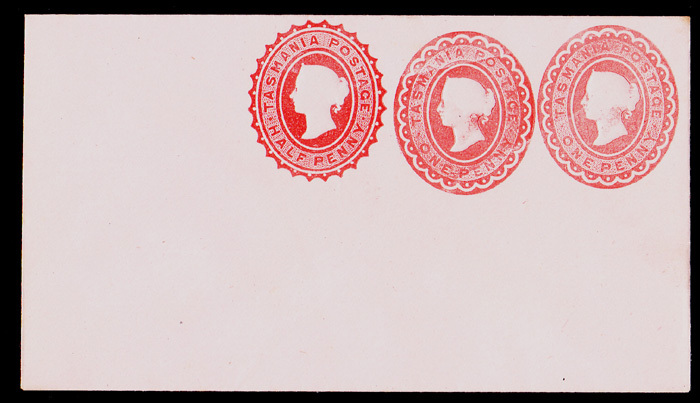 00/00/1853 Victoria 2d Brown Pair .. Imperforate "Queen On Throne"
22/04/1861 NSW 6d Violet "Diadem"
07/10/1869 Queensland 2d Blue "Chalon Head"
05/07/1872 NSW QV 1d Red "De La Rue"
18/10/1878 NSW QV 2d Blue "De La Rue"
31/01/1880 NSW QV 2d Blue "De La Rue"
00/00/1893 NSW 1d Lilac "Centennial"
01/11/1893 NSW 1d Lilac "Centennial"
16/10/1903 NSW 1d Red "Definitives"
22/11/1906 Tasmania 1d Red "Pictorials"
19/09/1907 NSW 2d Blue "Definitives"
28/09/1907 South Australia 1d Red "Second Sideface"
20/02/1909 Tasmania QV 1870 3d Brown "Sideface"
20/02/1909 Tasmania QV 1904 "Surcharge"
07/11/1925 KGV1 1½d Red "OS NSW"
Tied by Adelaide/SA Krag Machine "Air Mail Saves Time"
05/12/1935 KGV 1½d Red "2d Overprinted"
OHMS .."Buy War Savings Certificates Now !" 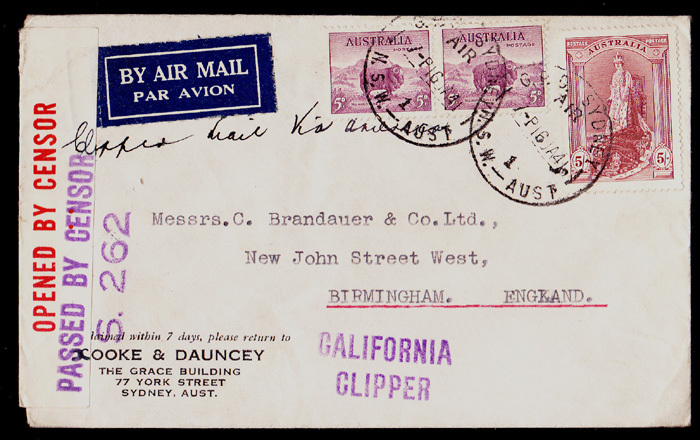 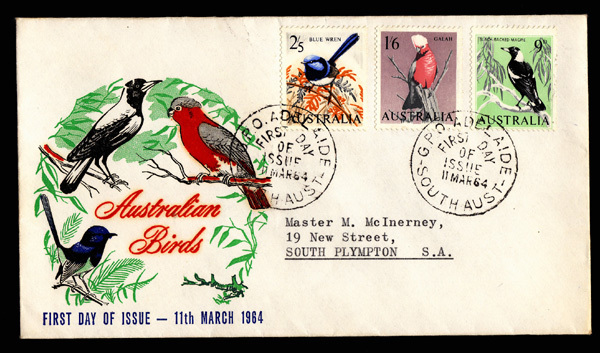 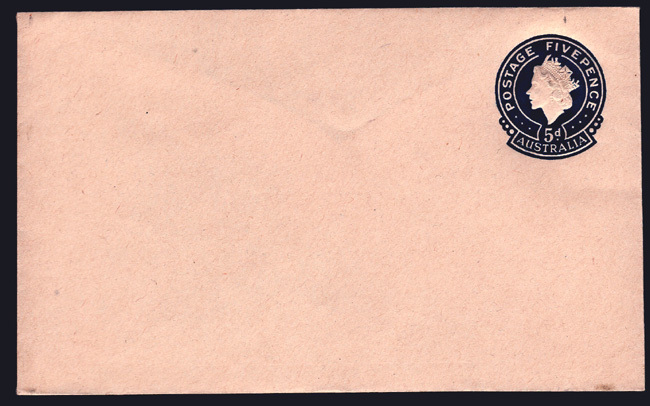 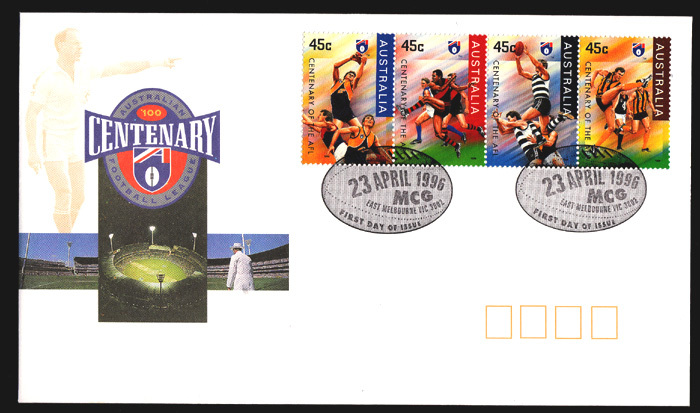 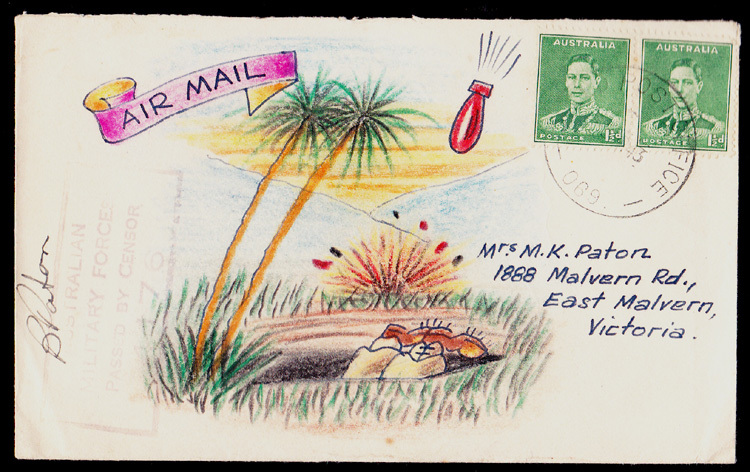 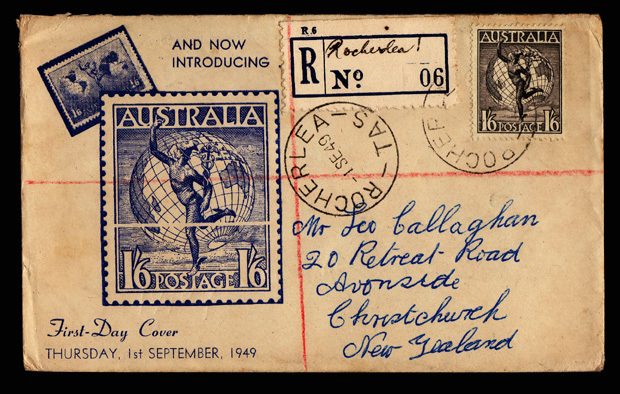 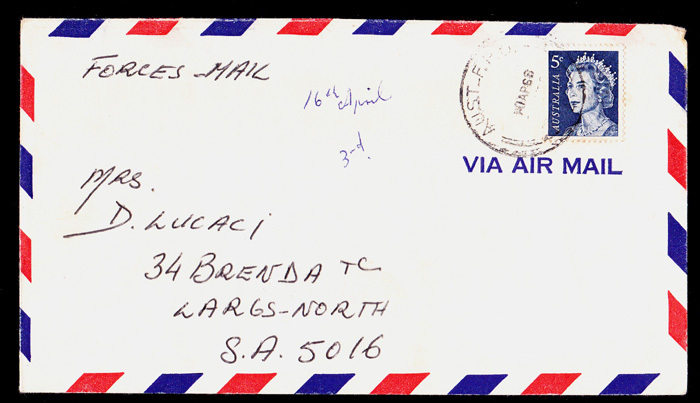 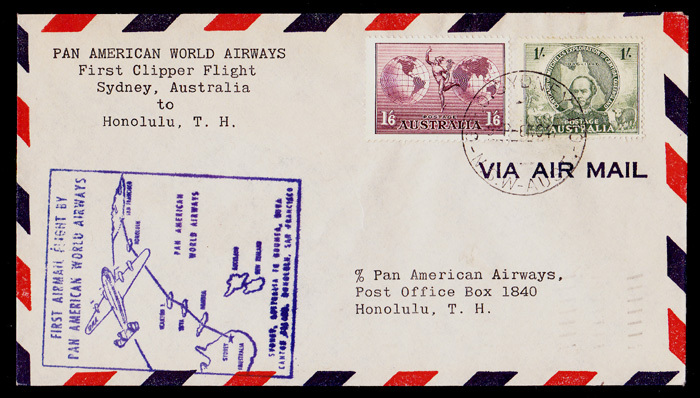 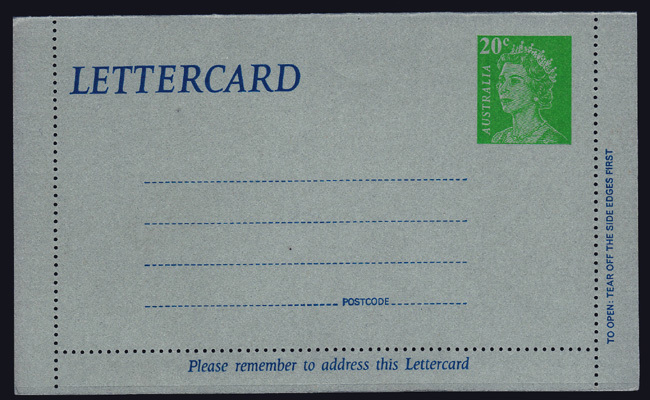 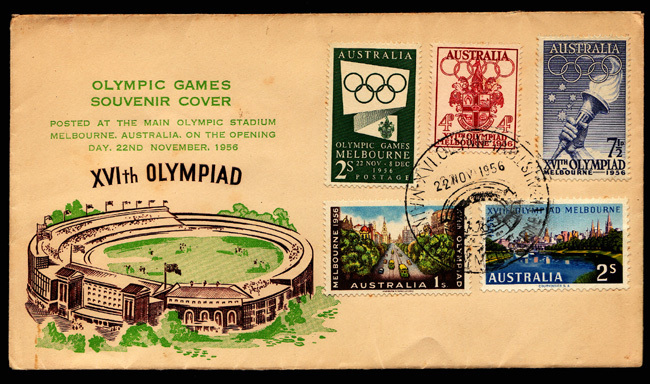 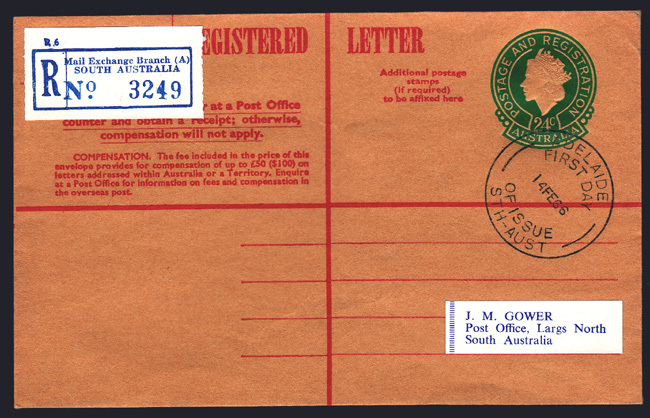 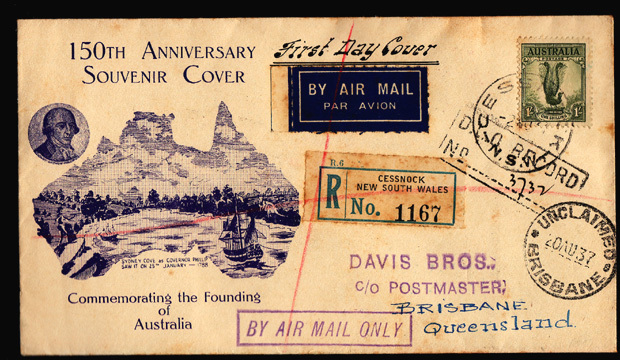 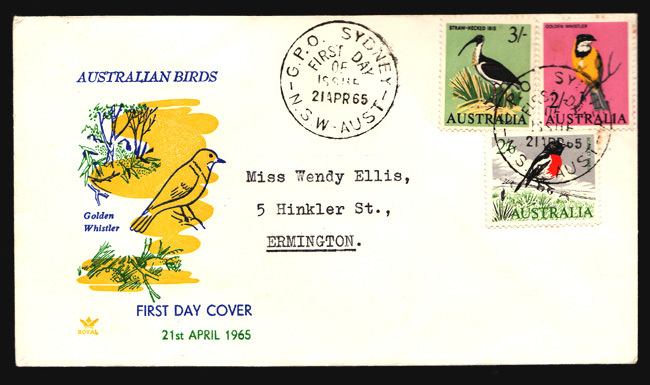 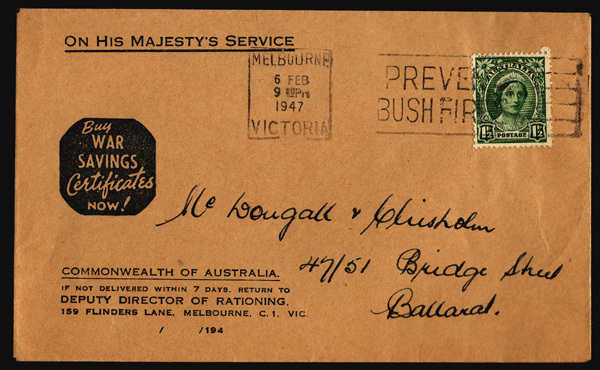 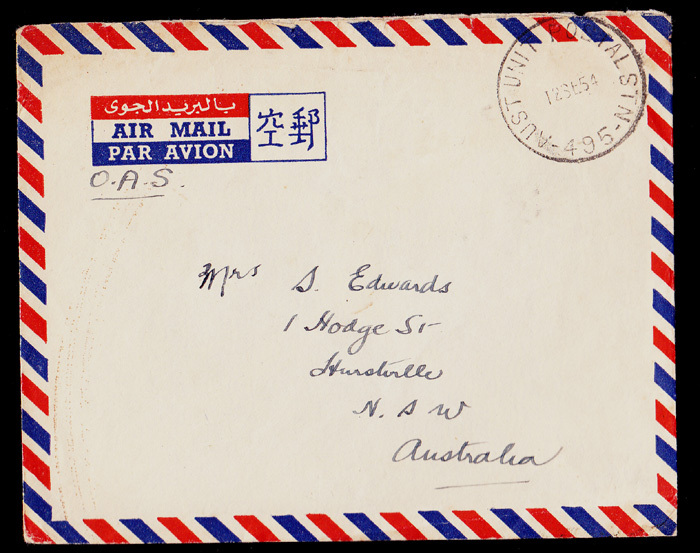 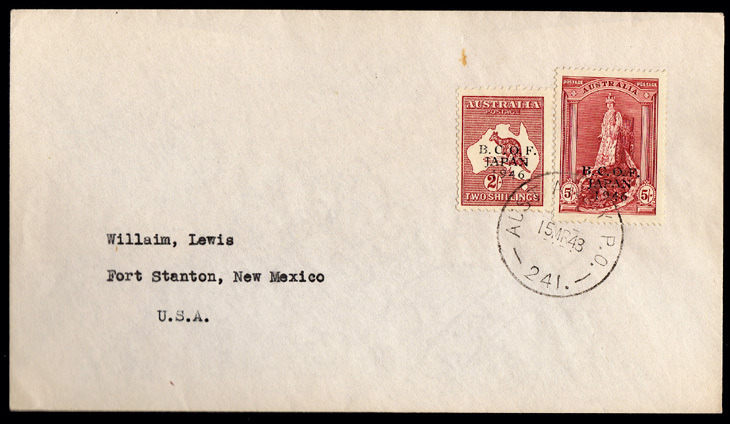 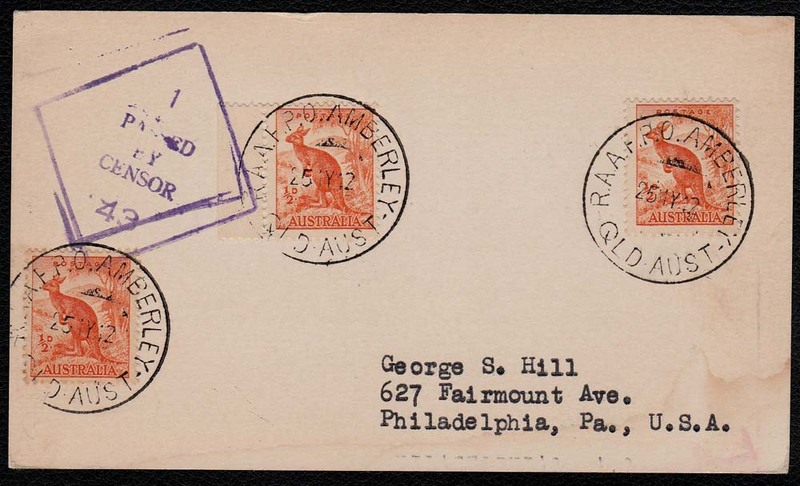 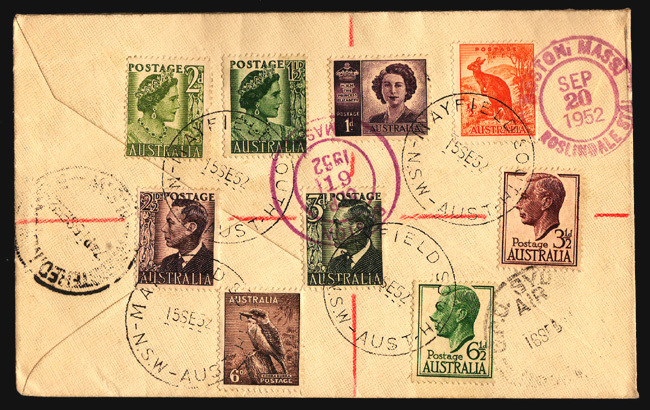 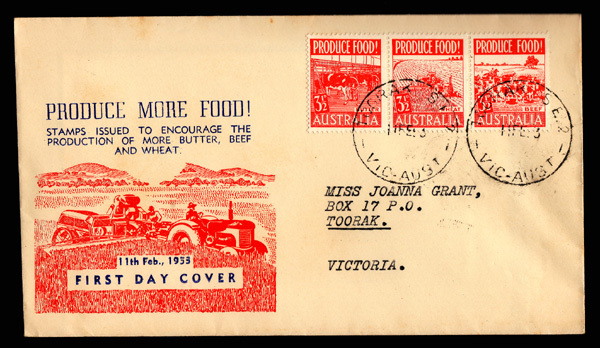 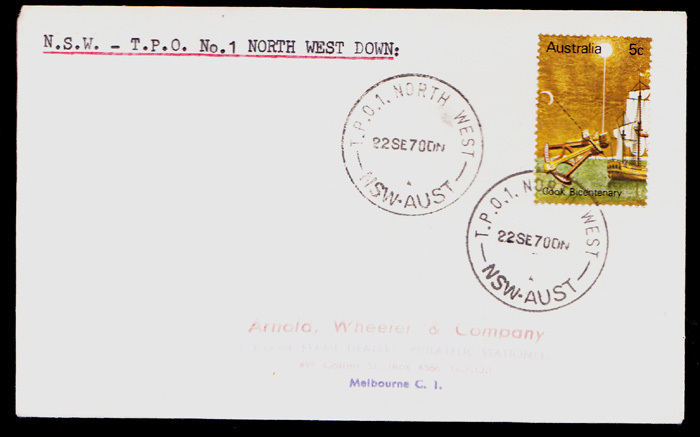 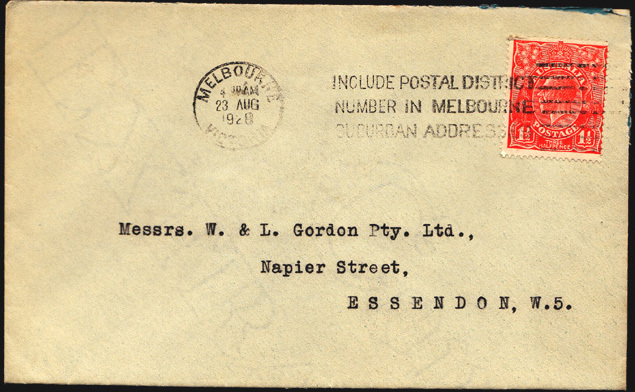 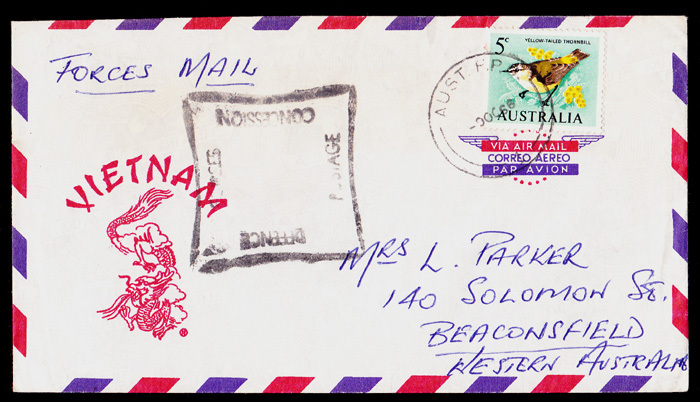 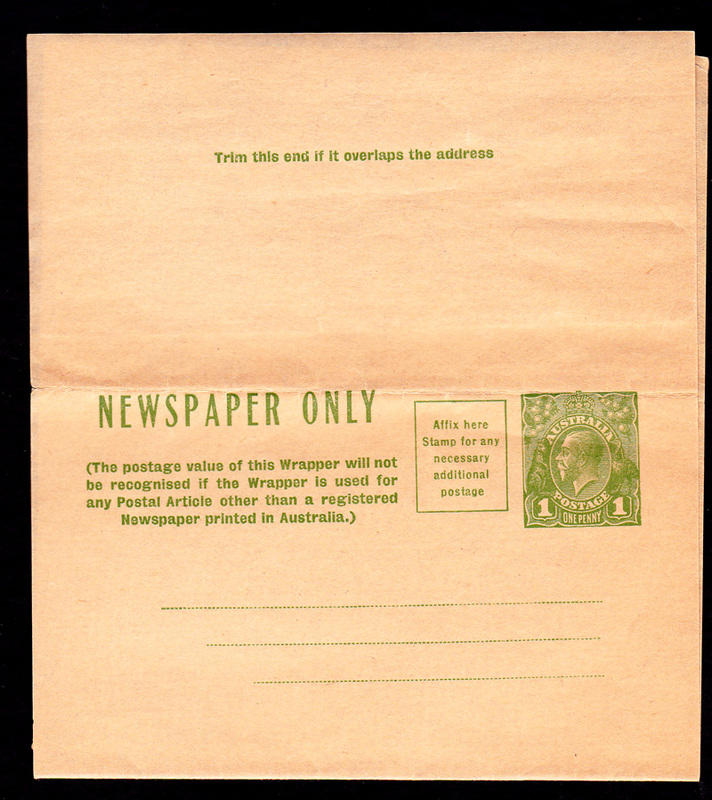 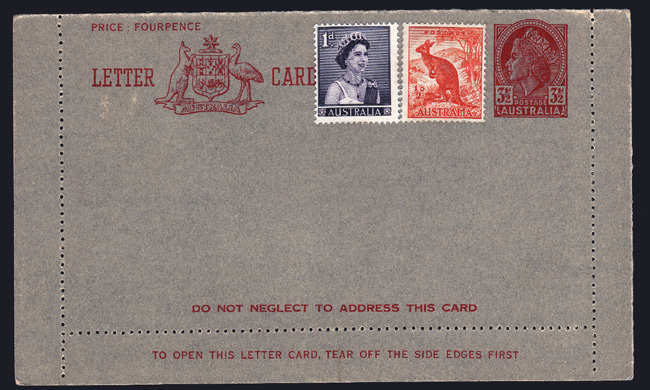 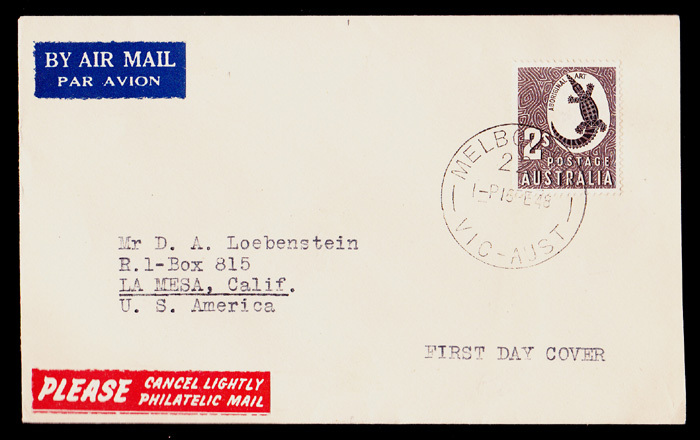 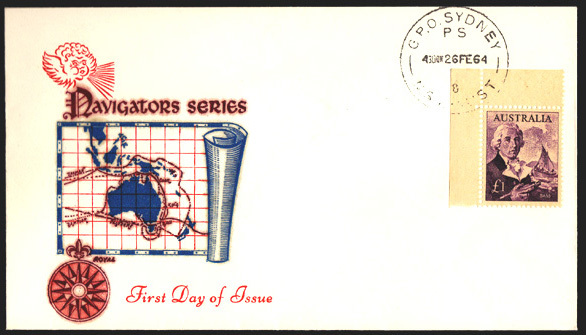 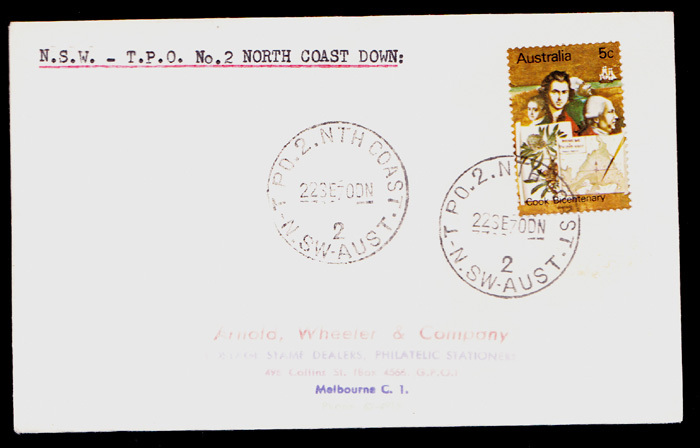 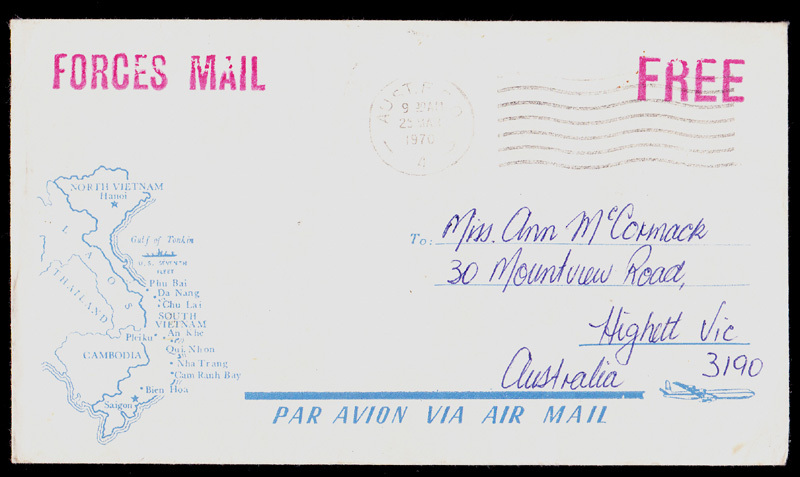 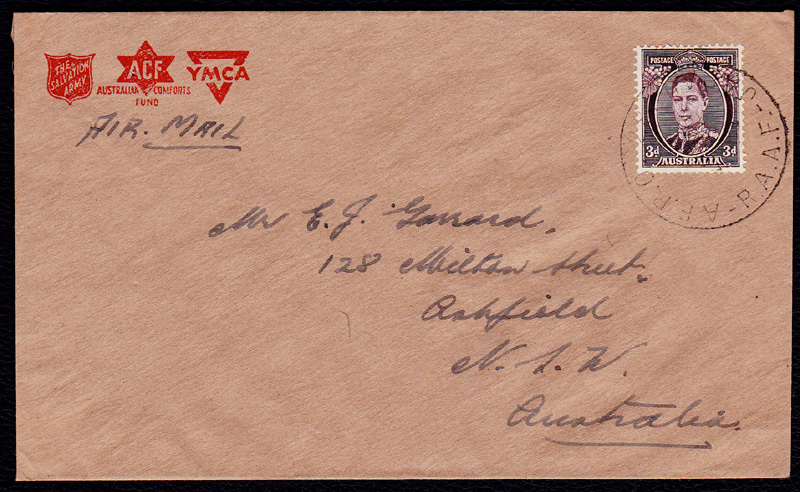 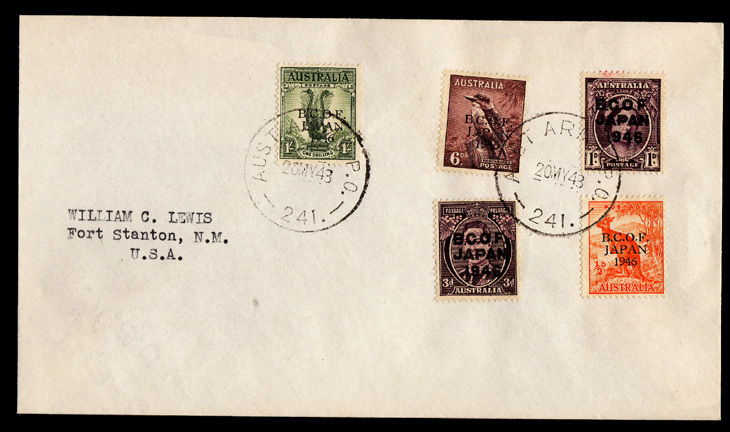 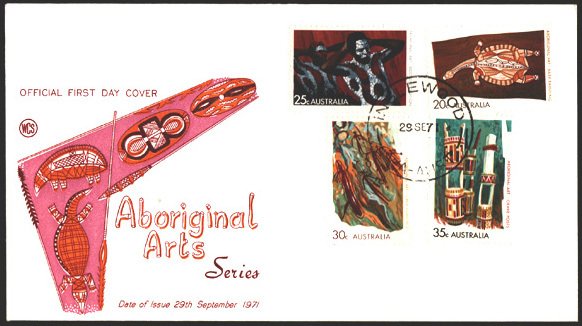 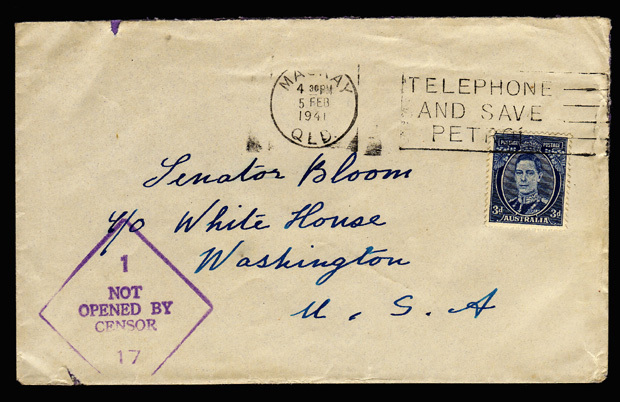 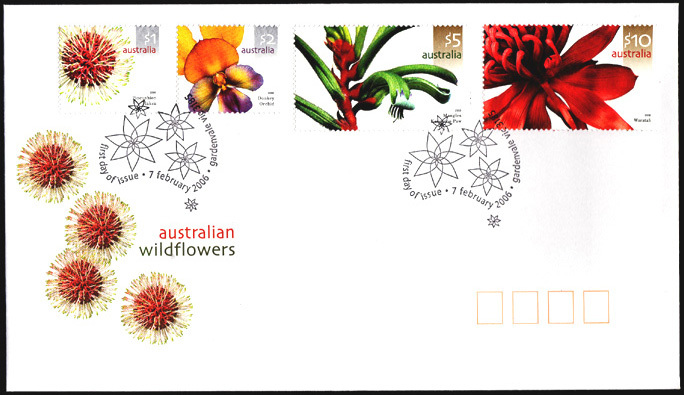 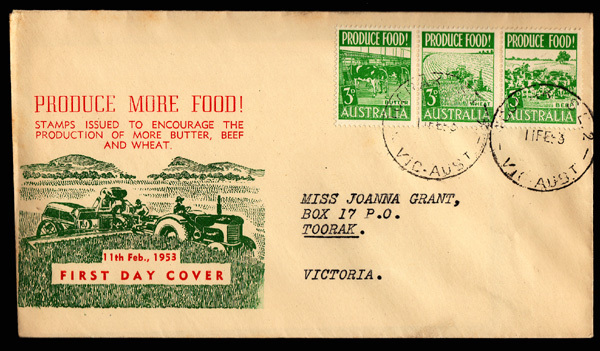 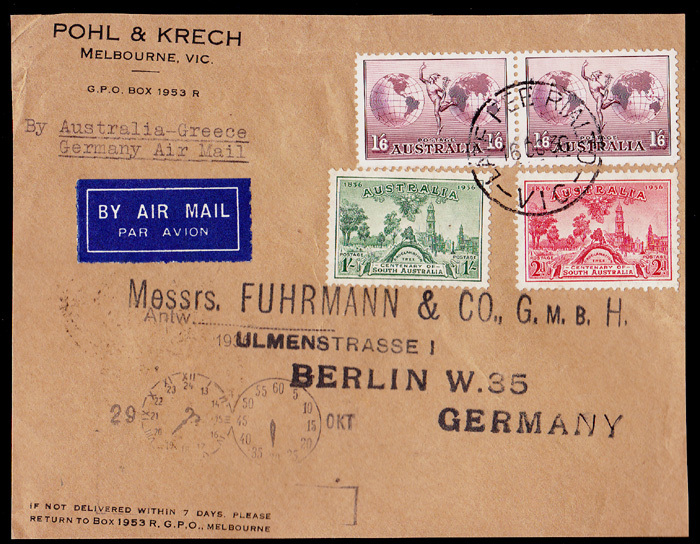 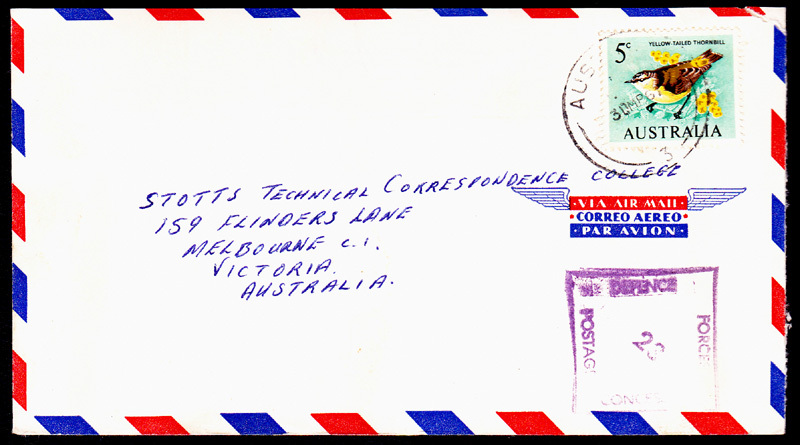 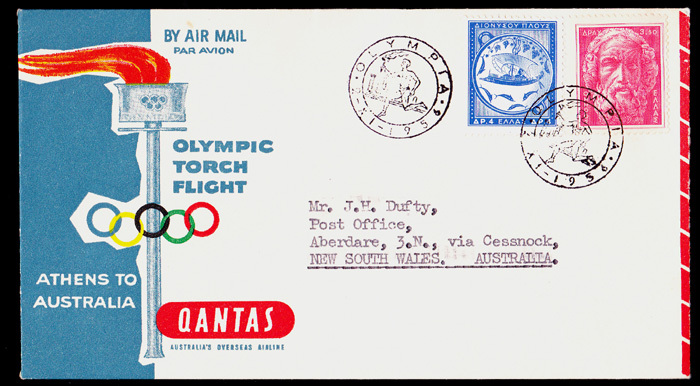 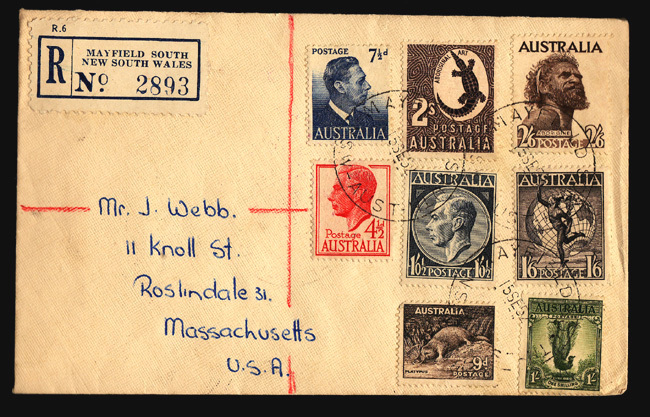 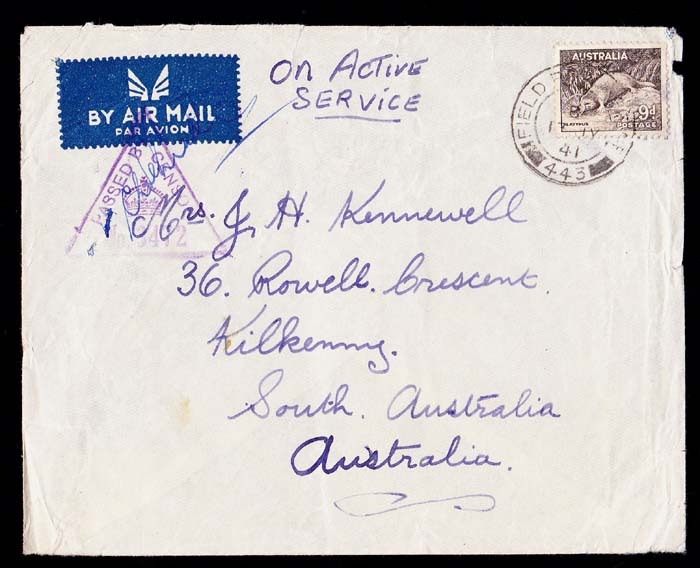 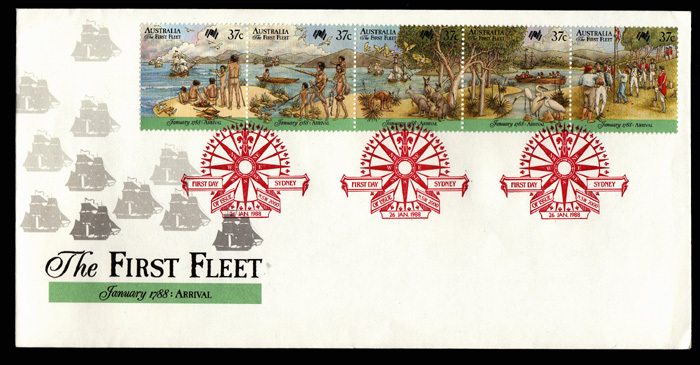 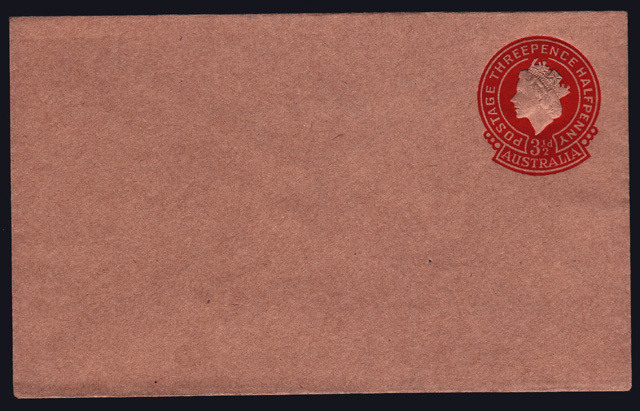 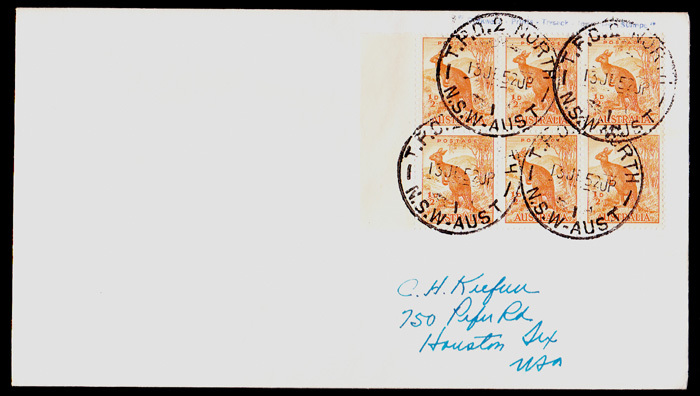 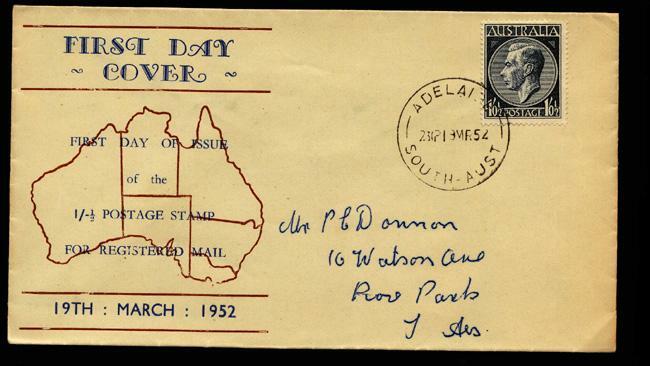 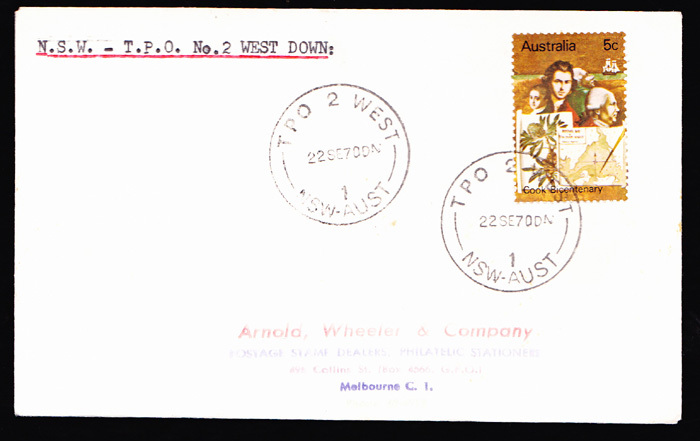 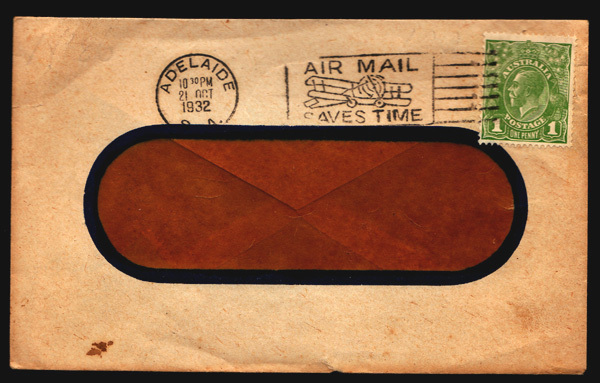 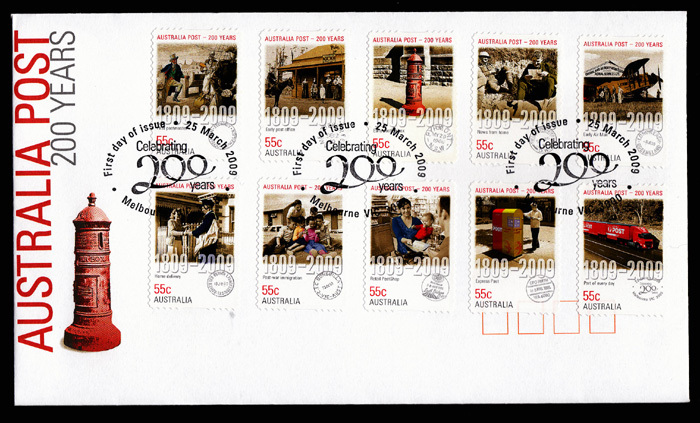 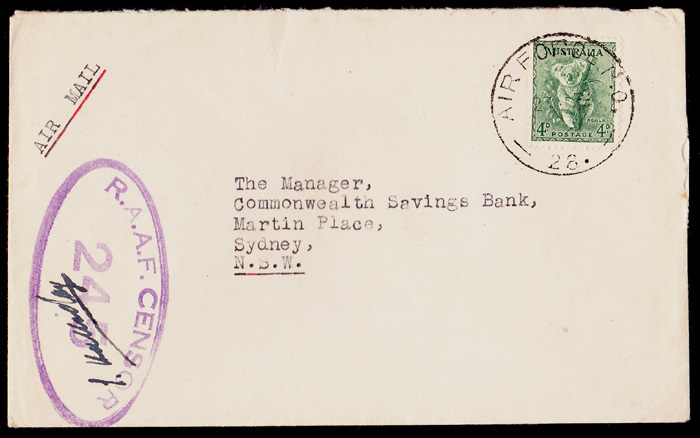 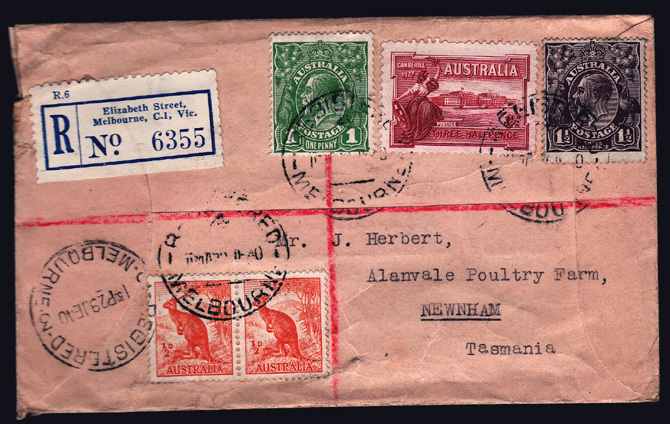 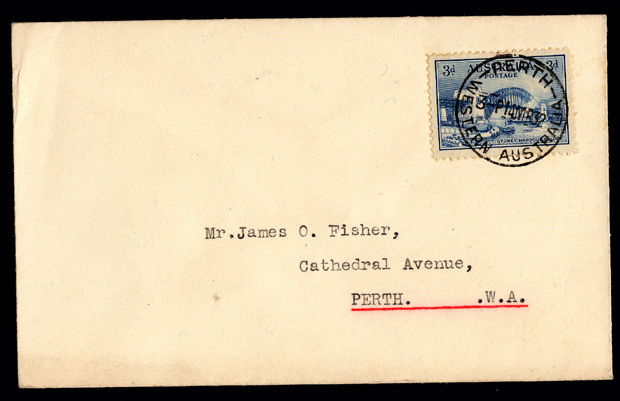 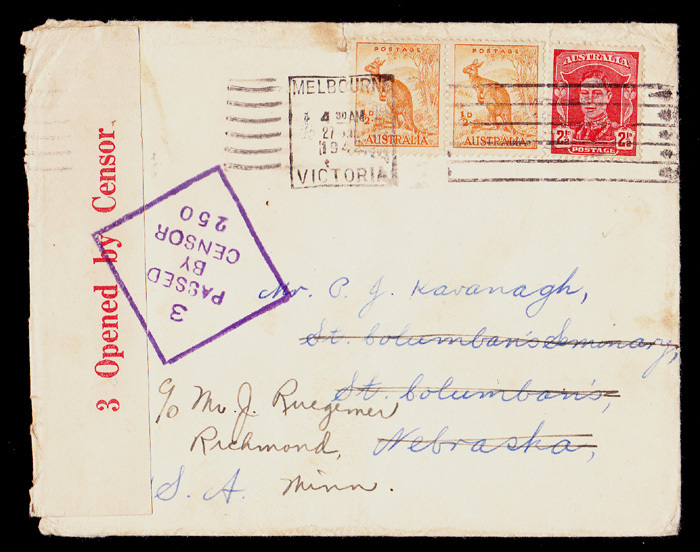 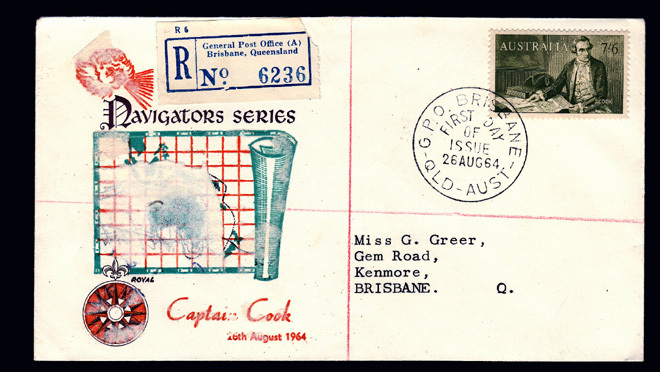 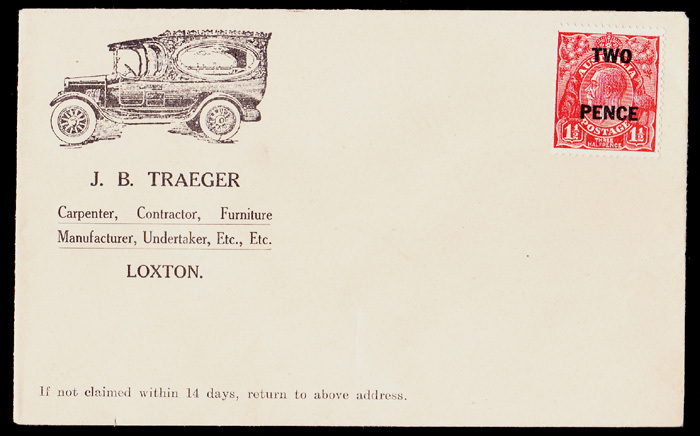 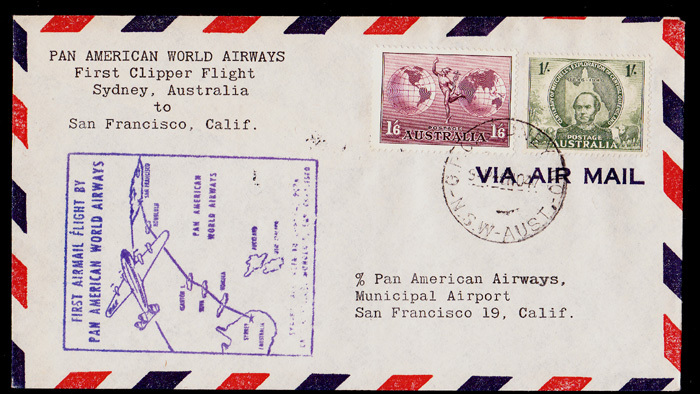 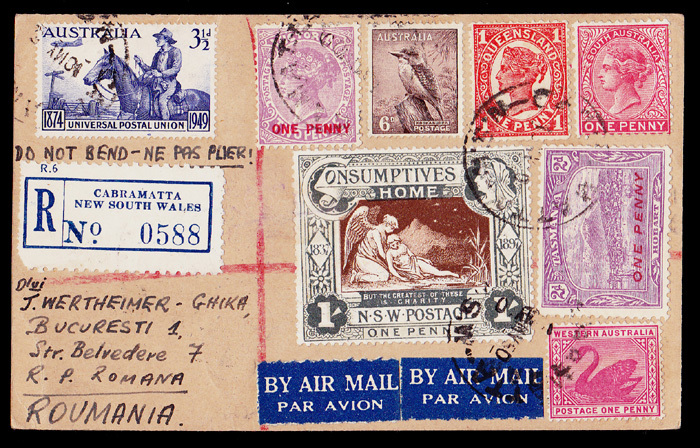 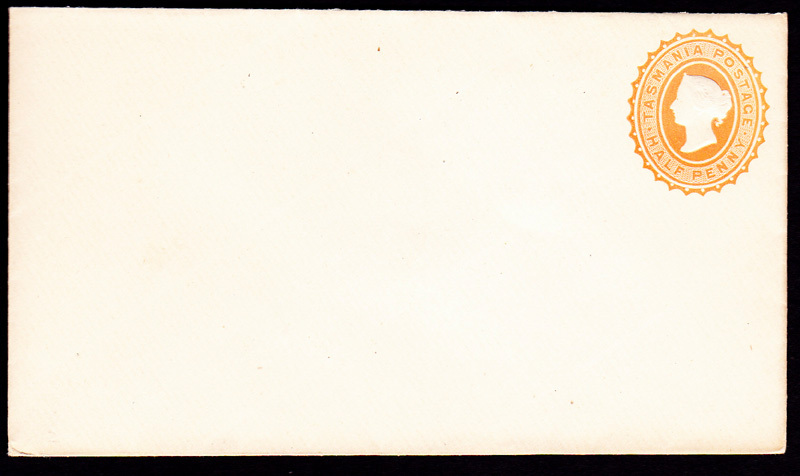 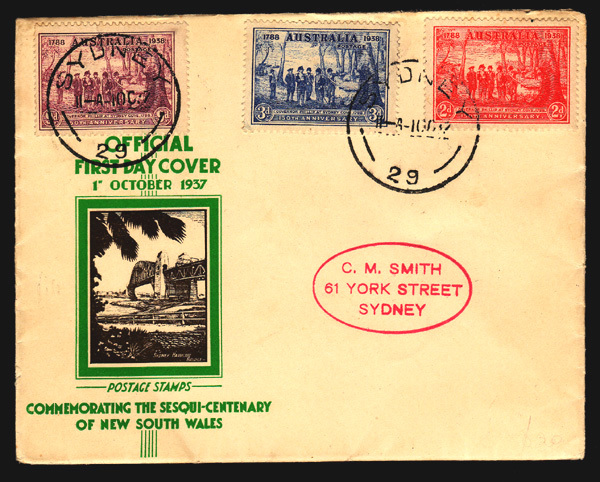 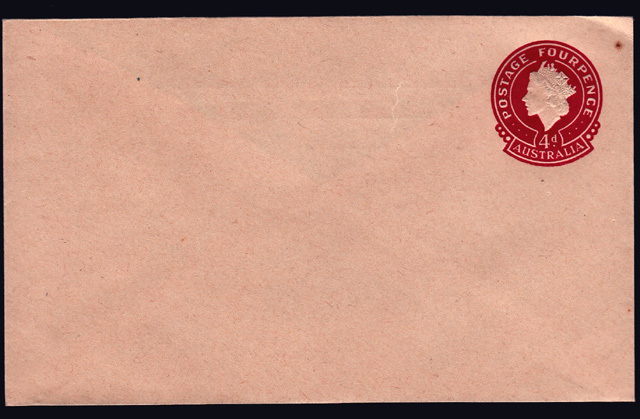 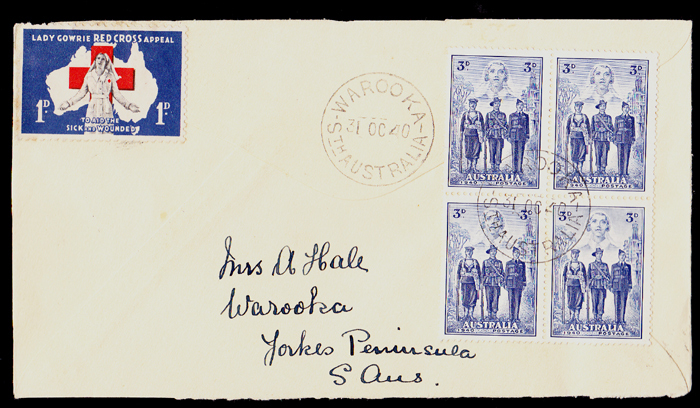 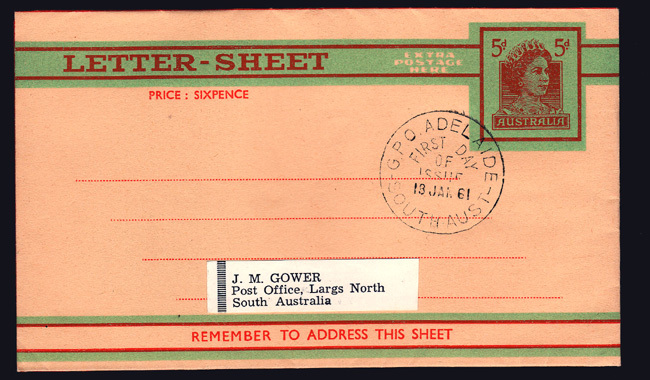 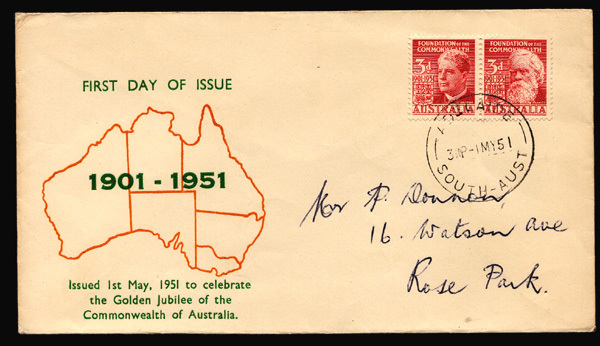 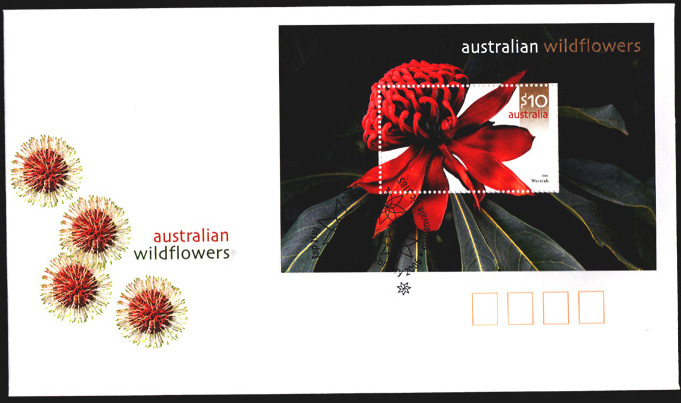 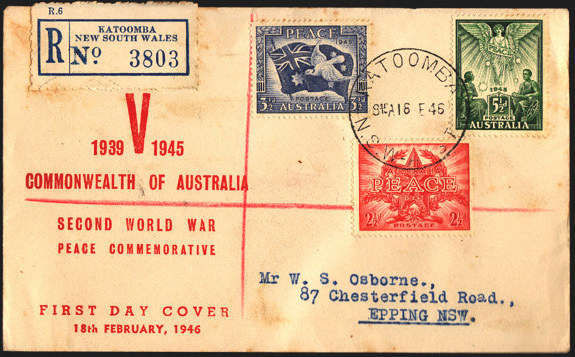 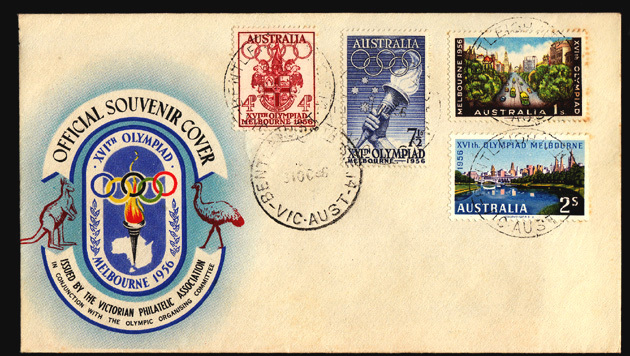 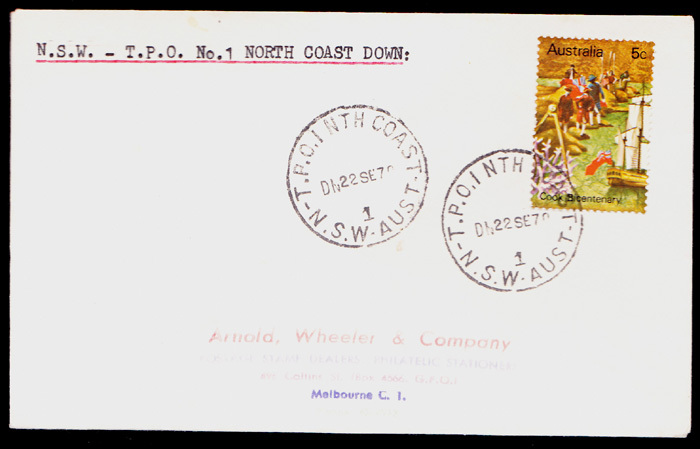 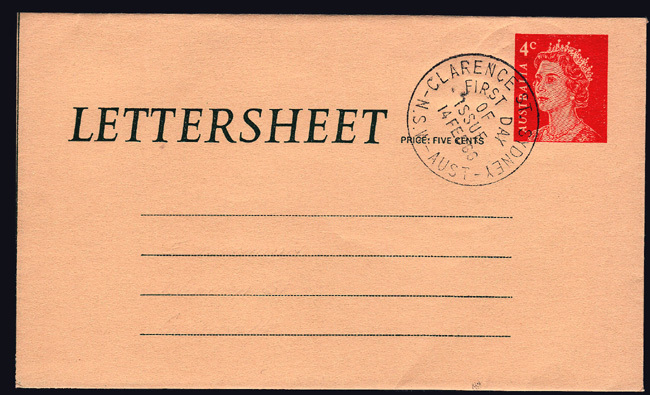 13/06/1952 Kangaroo ½d Orange "Block of 6"
"Qantas Olympic Torch Flight Cover"
"Centenary of First South Australia Postage Stamp"
07/03/1962 "Stampless" Cover Nuriootpa to Adelaide SA.